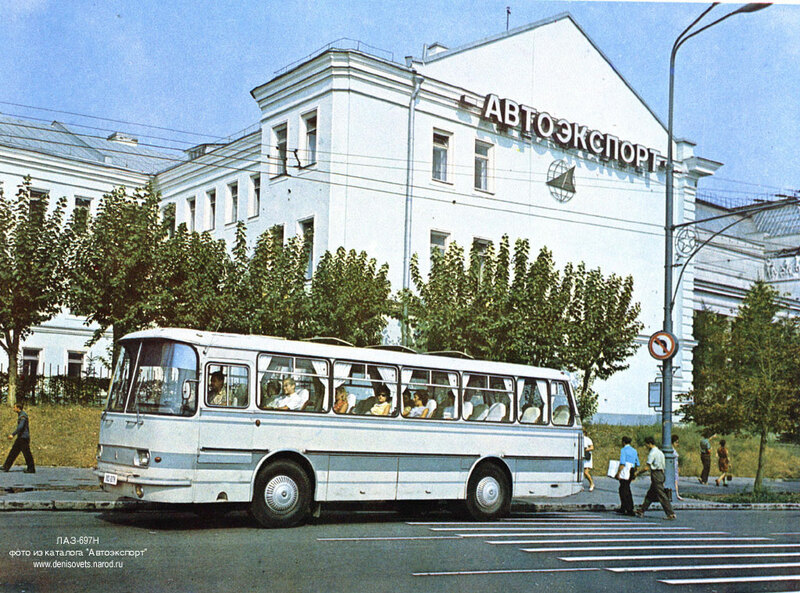 The Lviv Automobile Factory, (Ukrainian: Львівський автомобільний завод, L’vivs’kyi Avtomobil’nyi Zavod), mostly known under its obsolete name L’vivs’ky Avtobusnyi Zavod (Ukrainian: Львівський автобусний завод, literally “Lviv Bus Factory”) is a bus manufacturing company in Lviv, Ukraine. 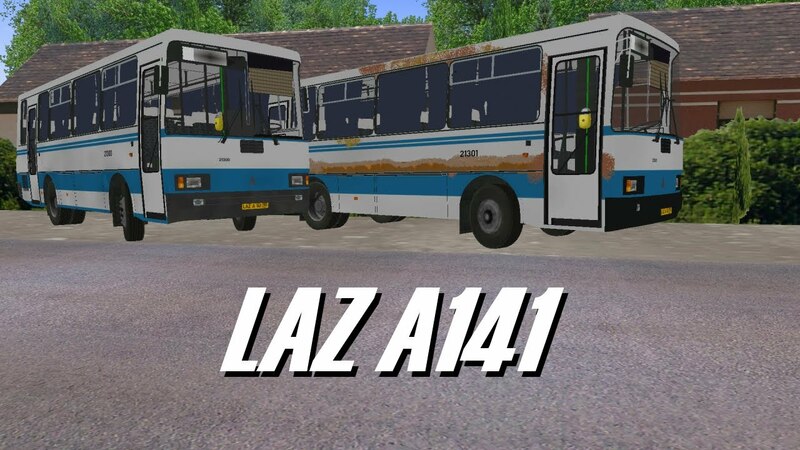 Their brand-name is LAZ (ЛАЗ), and the company and its products are often referred to with this acronym rather than the full name. 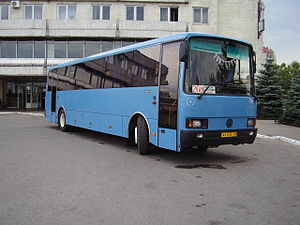 LAZ Holding consists of a few companies. 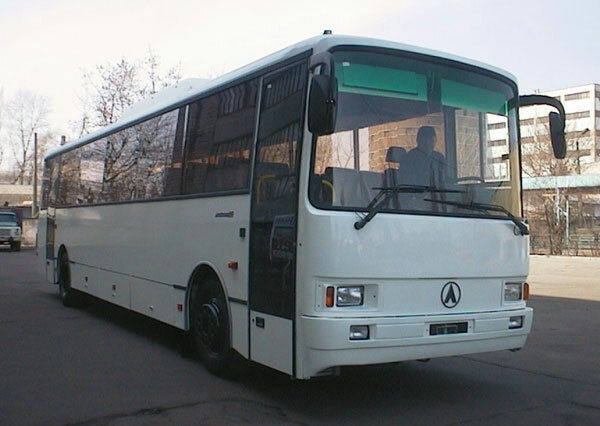 LAZ Holding has two factories located in Ukraine. 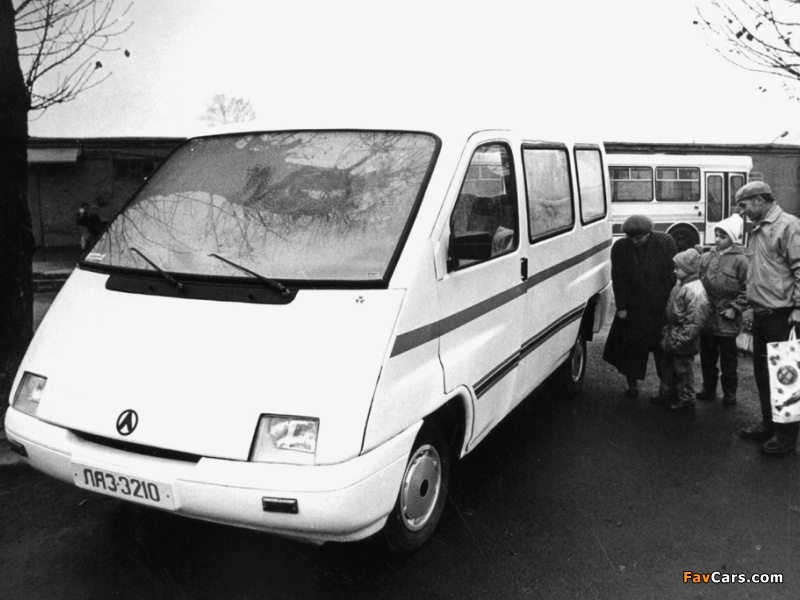 LAZ being the bigger one and DAZ being the smaller one. 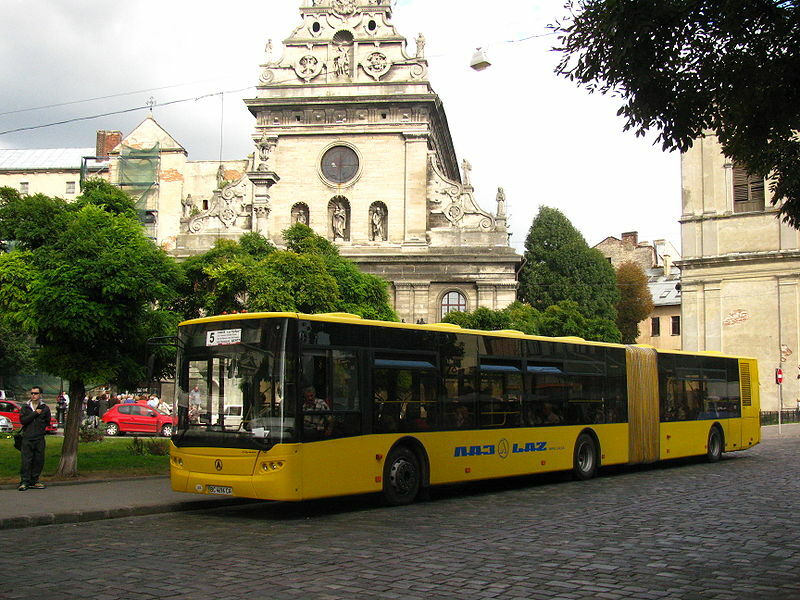 LAZ is in Lviv, Ukraine and consists of over 300 buildings sitting in a small city of its own. 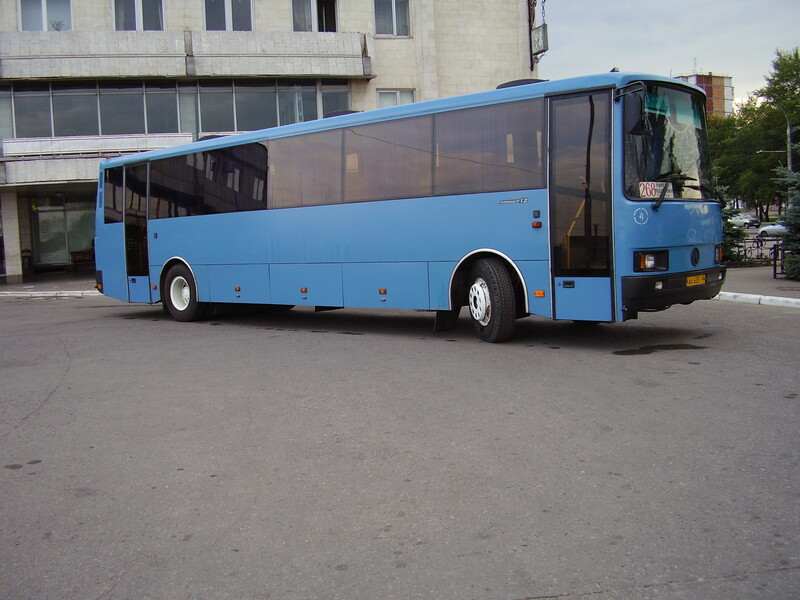 The Factory Property is equipped with its own water pumping system, power transforming plant, gas filtration system, water cleaning and discharging system, machinery cooling system, centralized compressed air, fire house, police team, internal telephone/PA system, press building, laser cutting shop, chroming shop, metalworking shop, painting center, design borough, and marketing center. 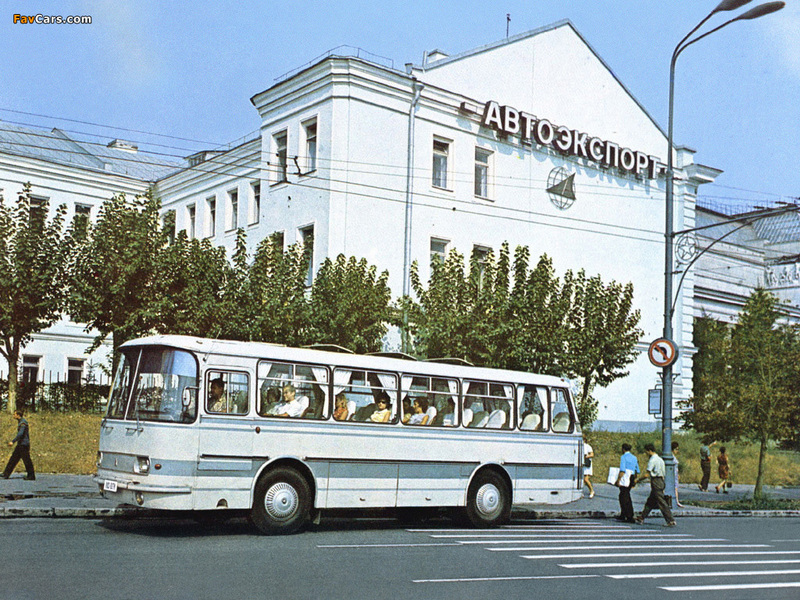 The Factory spans more than 20 city blocks wide and 30 deep. 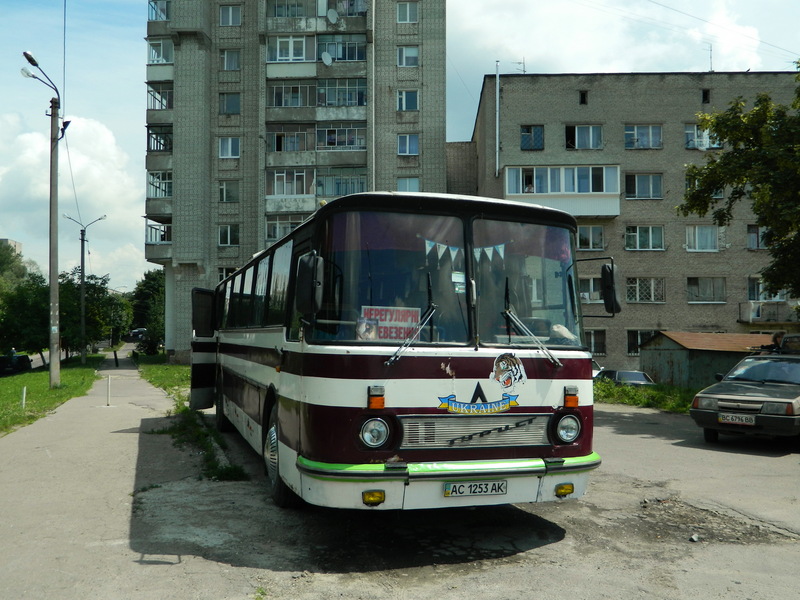 DAZ is smaller, Consisting of 20 large buildings located in Dneprodzershinsk. DAZ is equipped with a large assembly hall, central compressed air, welding, painting, testing center, and much more. 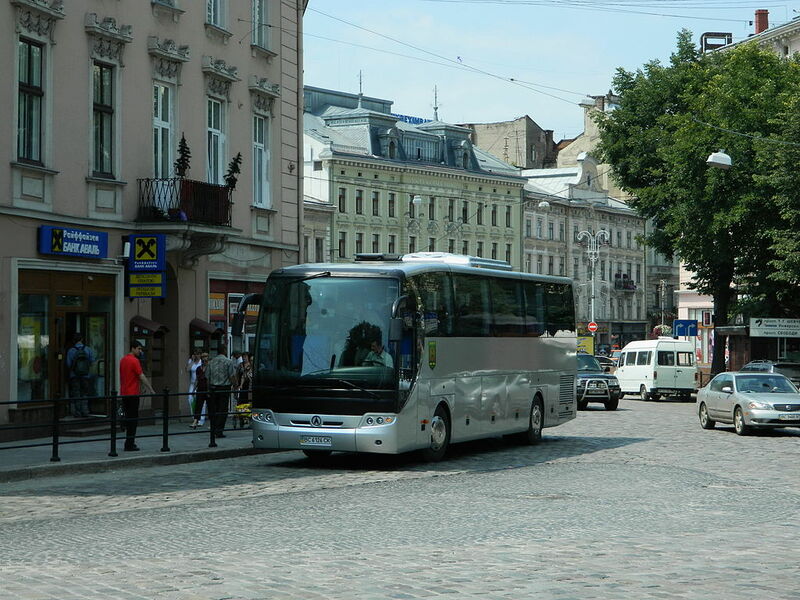 The central office for LAZ Holding is in Kiev, Ukraine and is located in the city center. 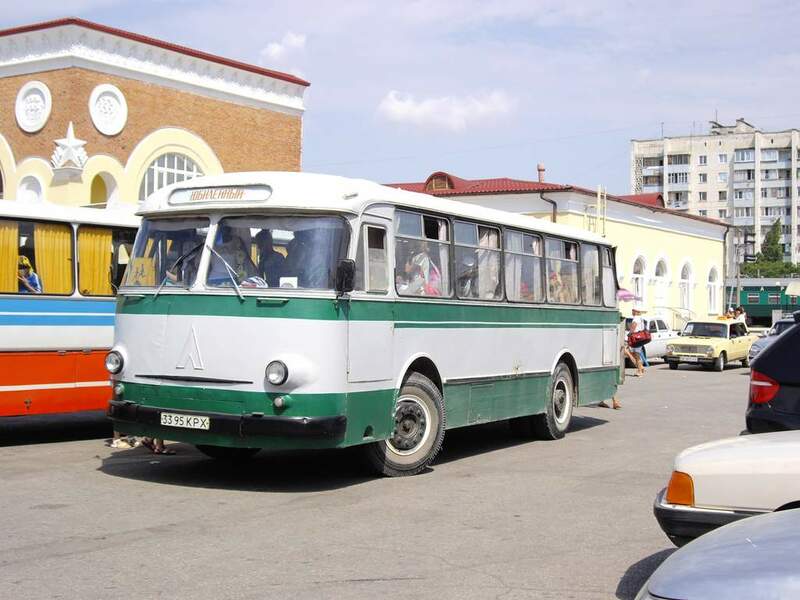 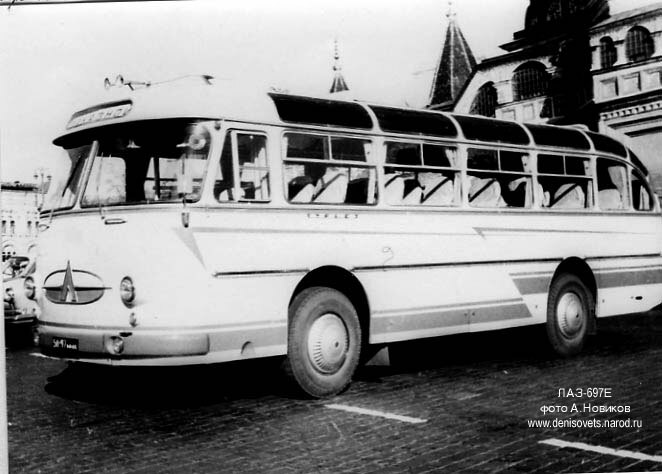 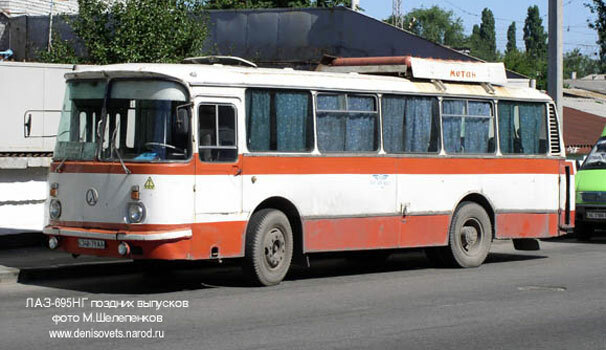 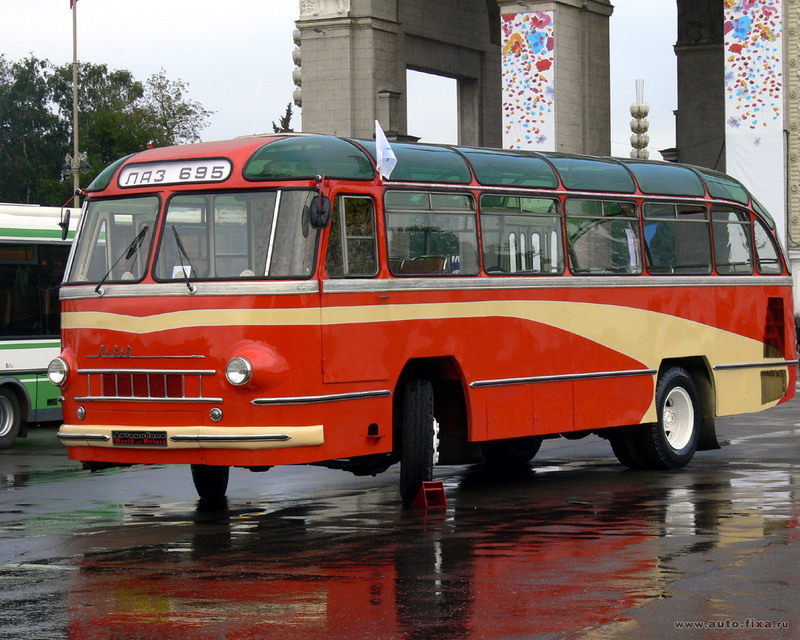 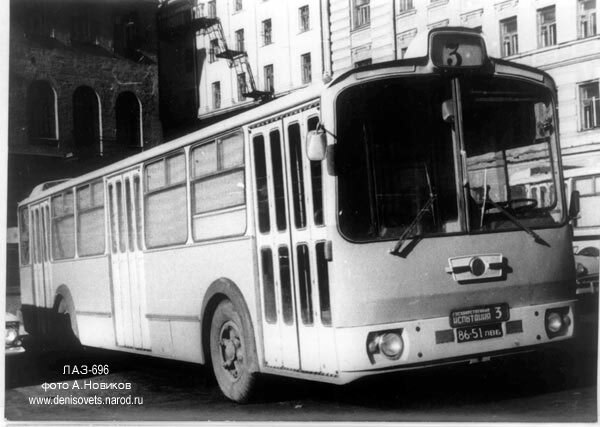 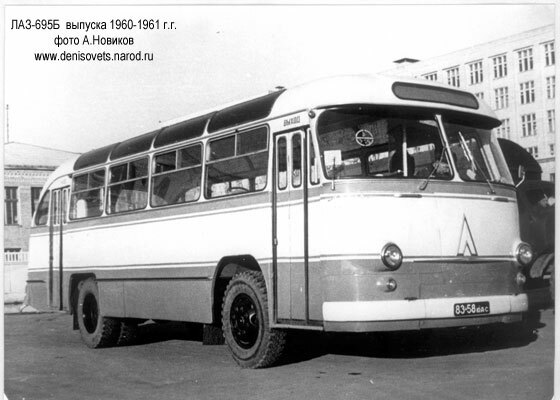 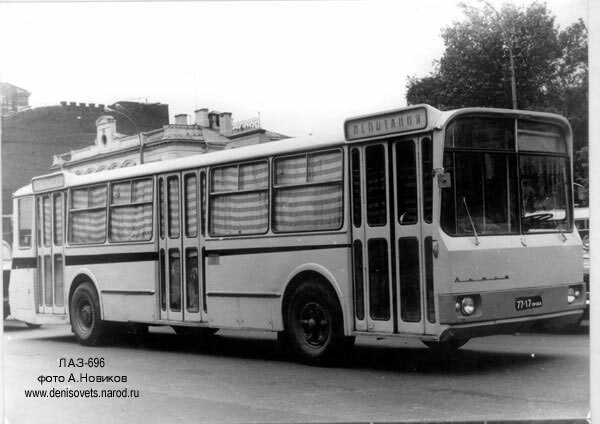 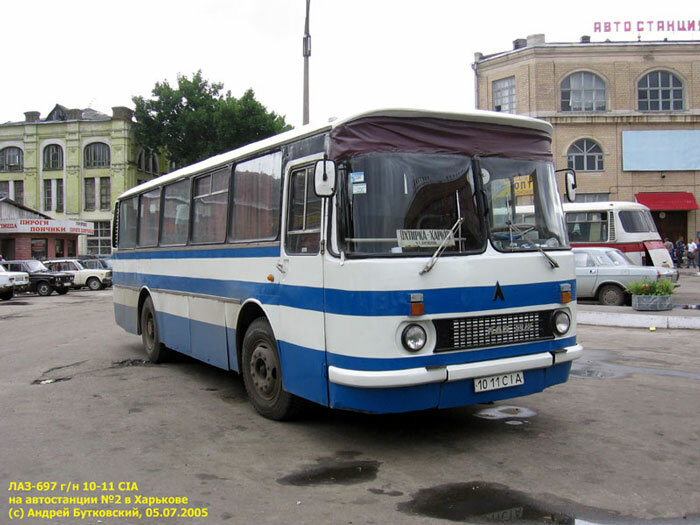 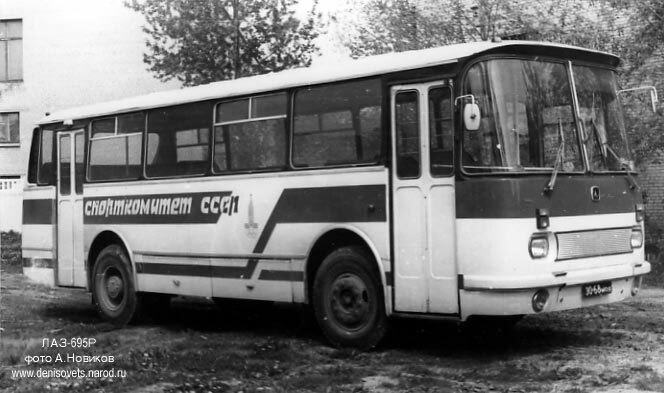 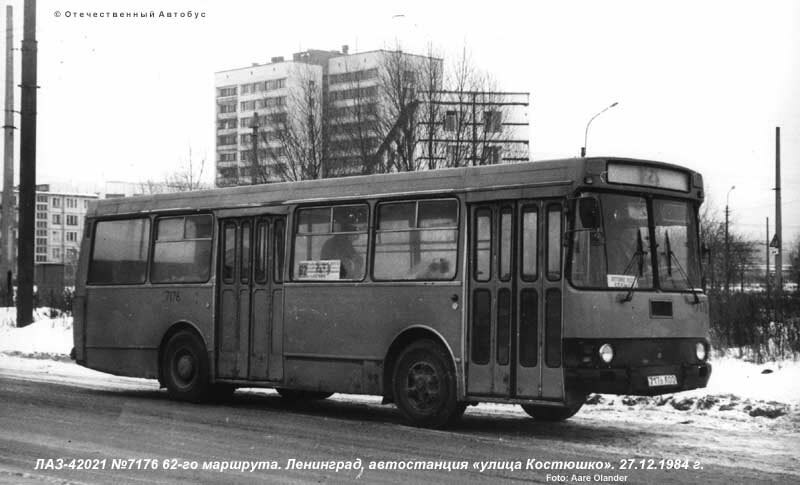 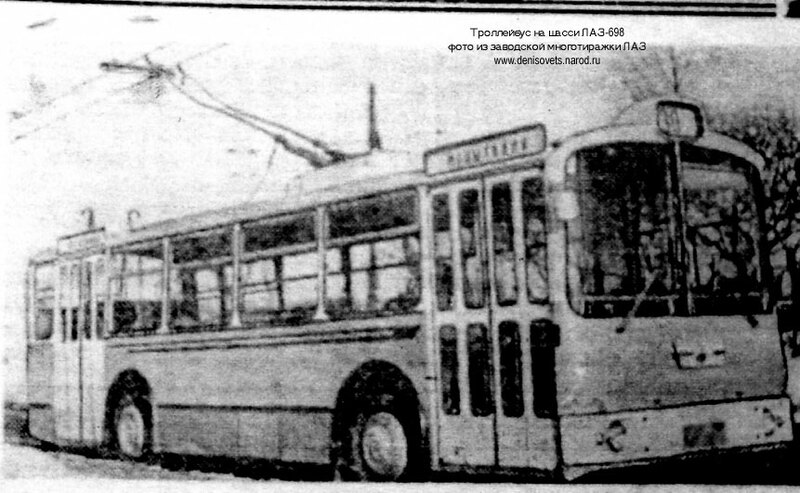 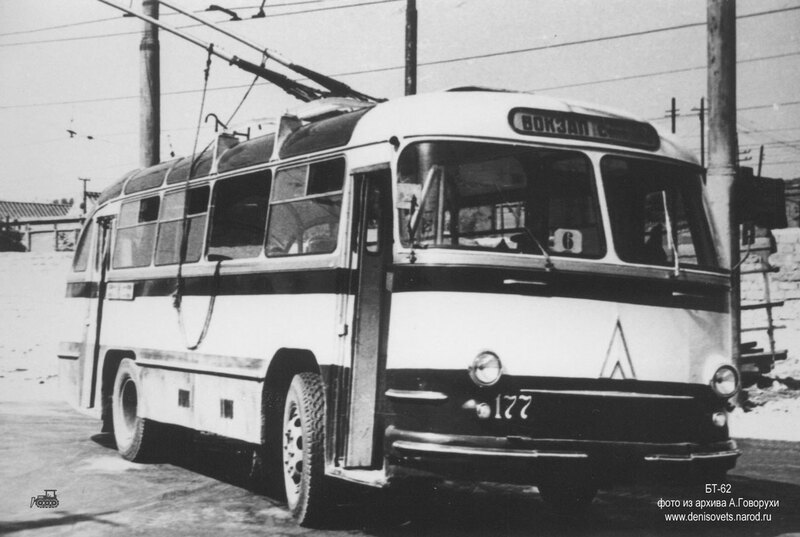 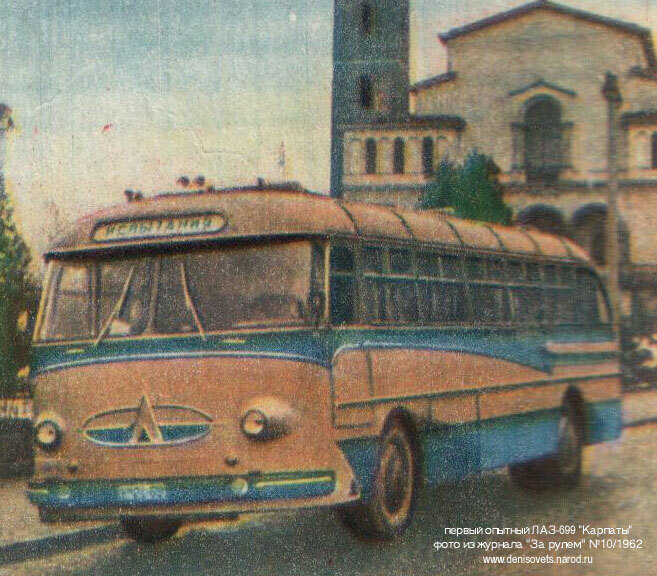 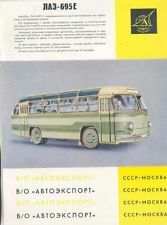 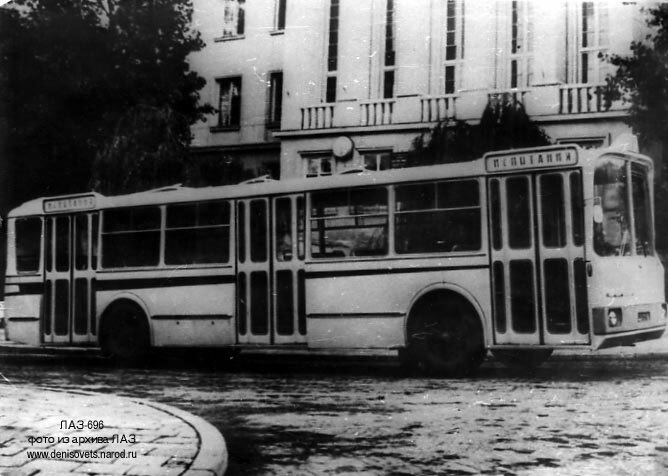 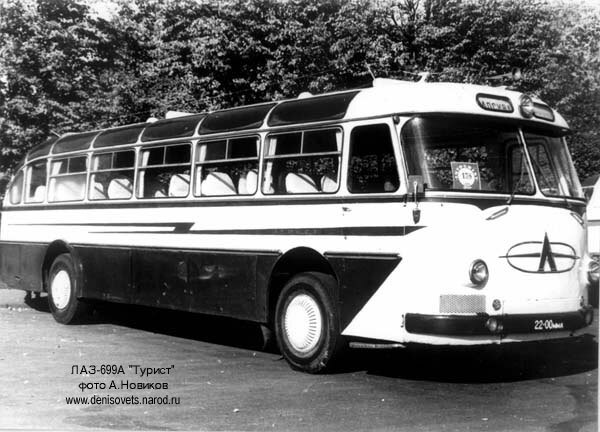 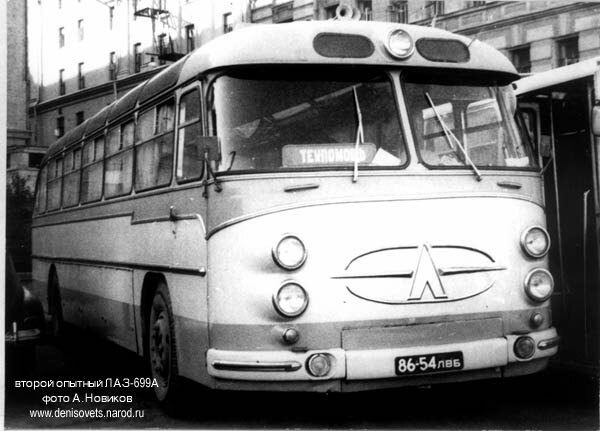 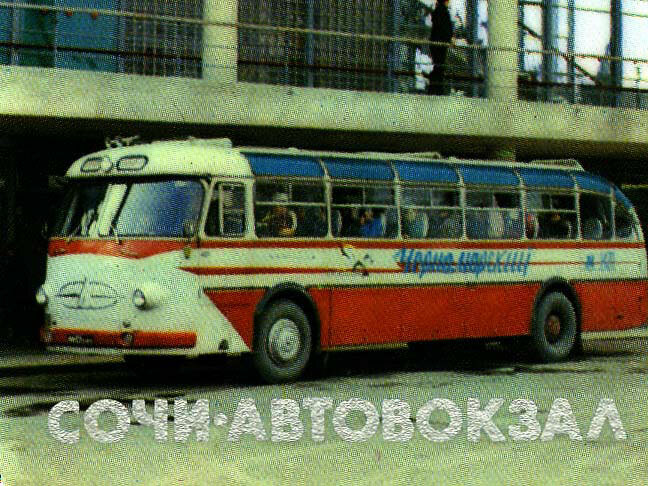 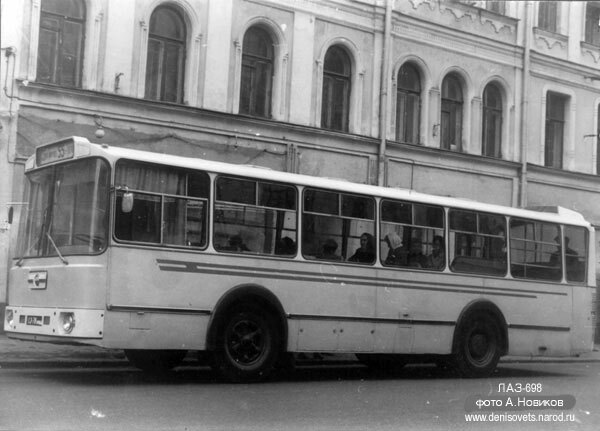 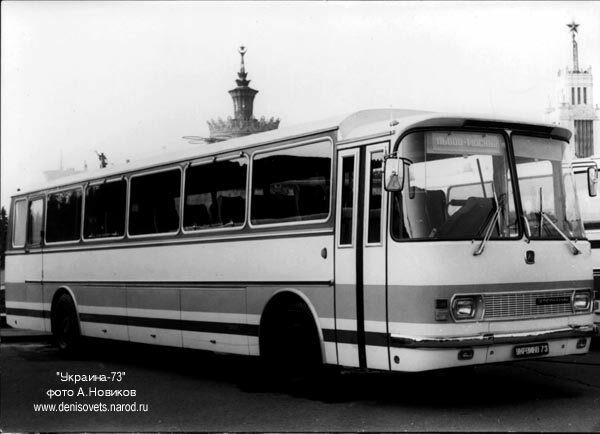 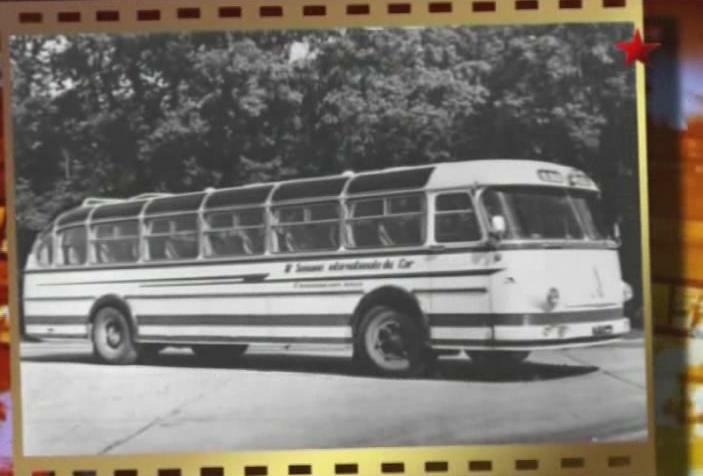 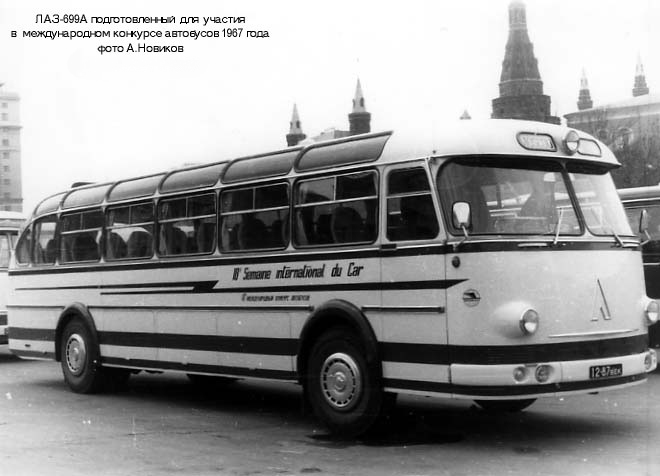 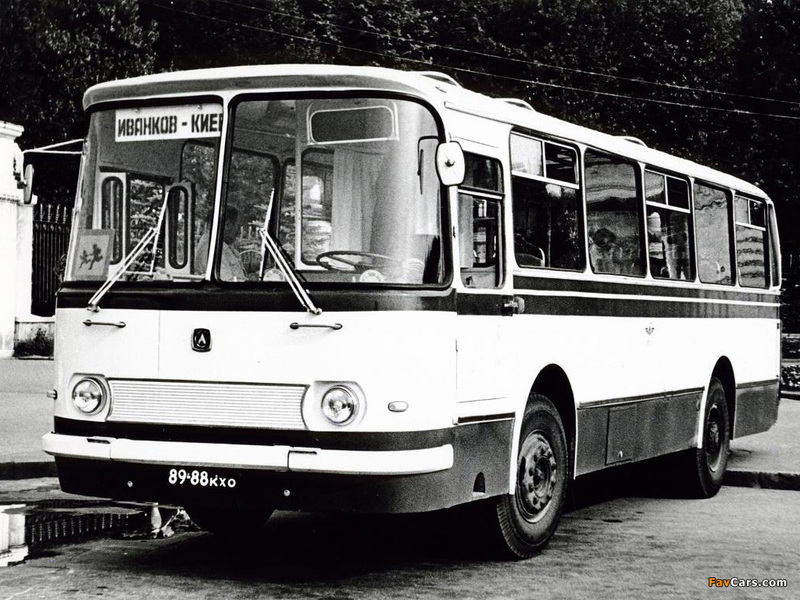 It was one of the major bus manufacturers in the Soviet Union and the largest-ever industrial company in the city. 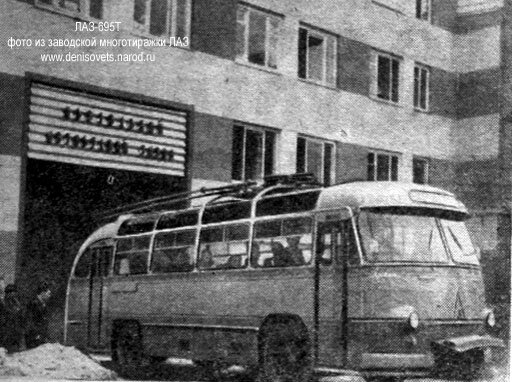 Now it is a private holding company. 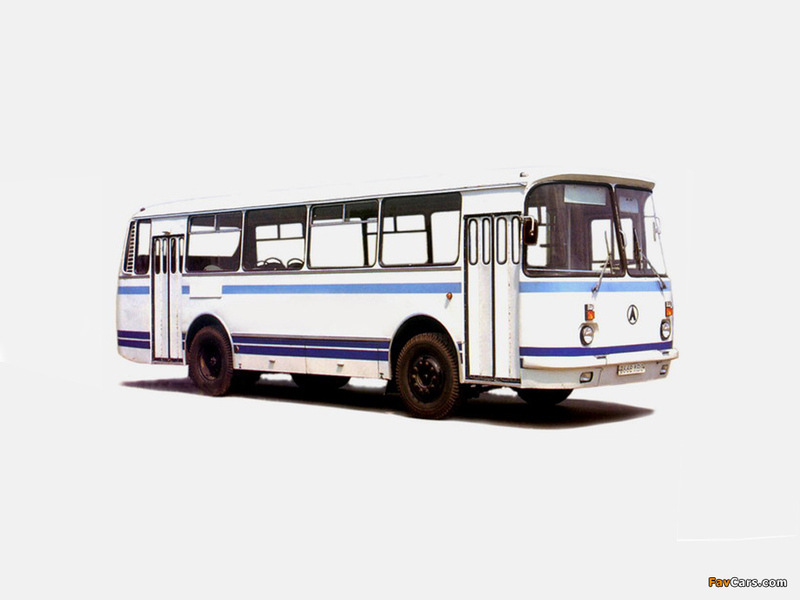 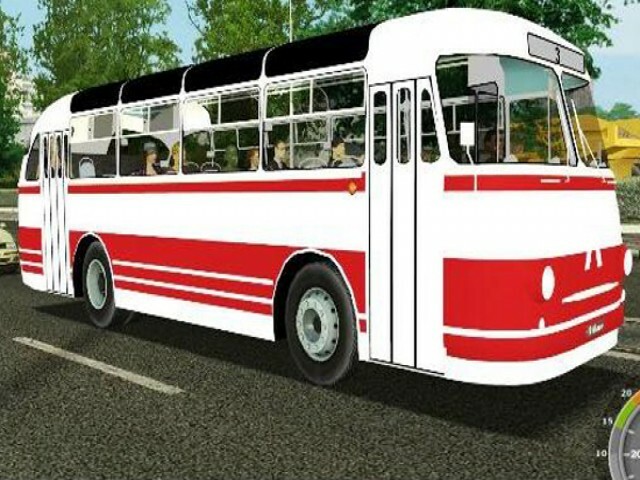 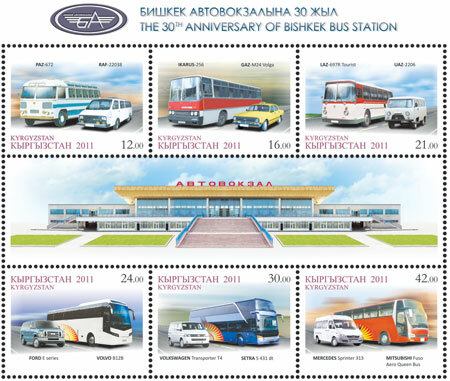 It still manufactures city buses, coach buses, trolley buses, and special purpose buses. 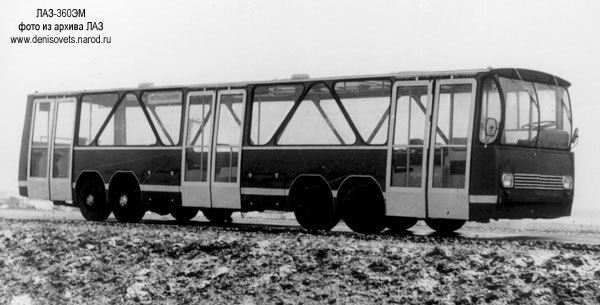 Trams are planned in the near future. 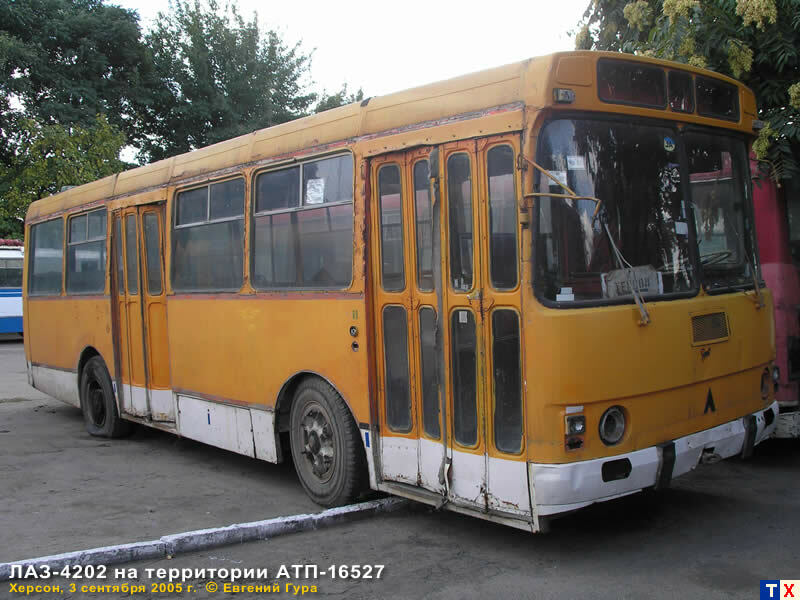 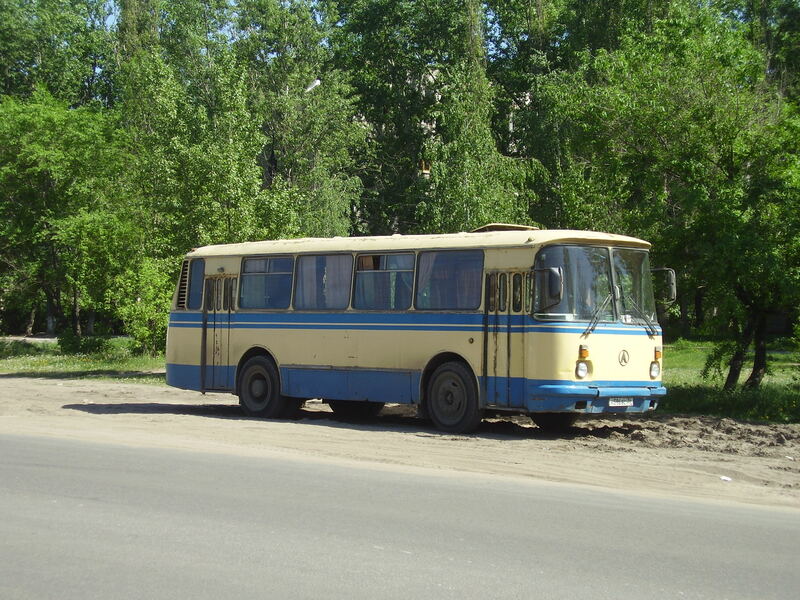 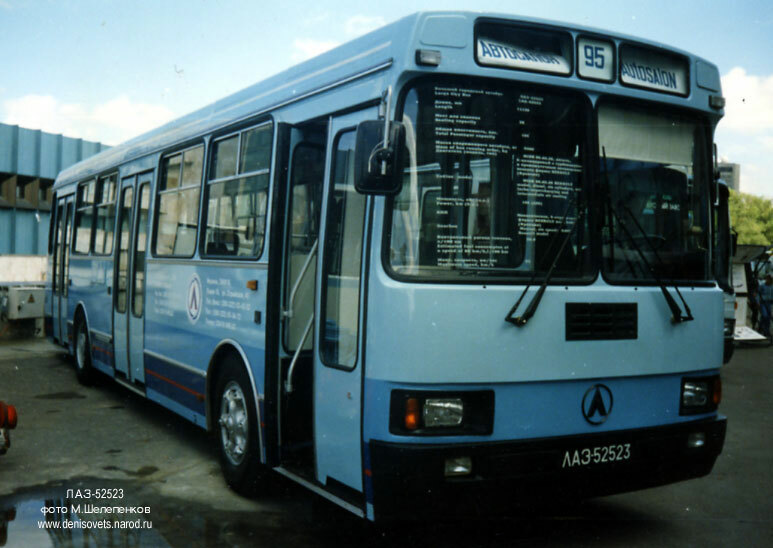 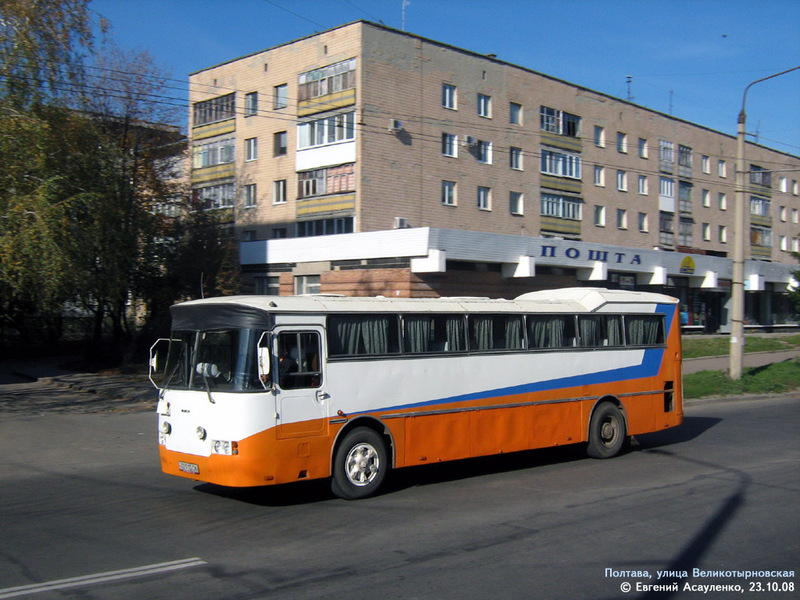 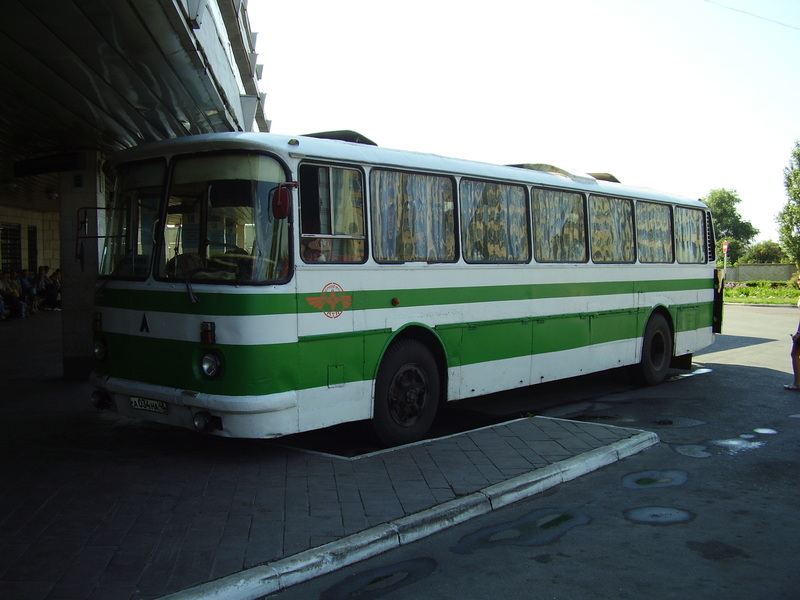 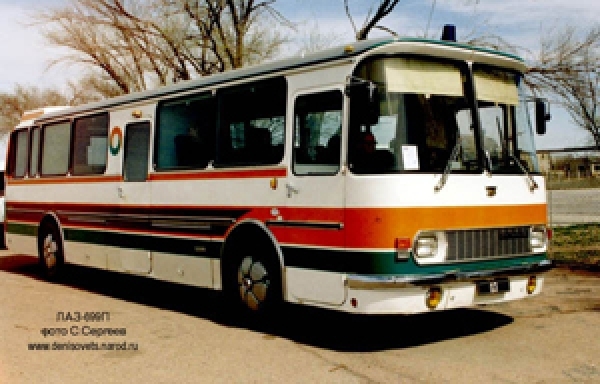 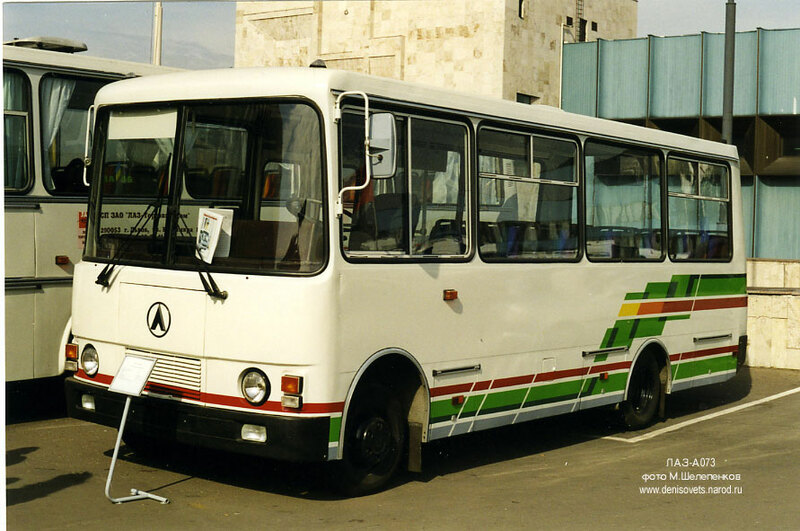 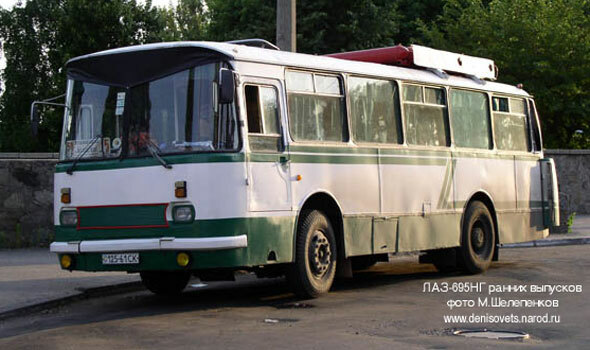 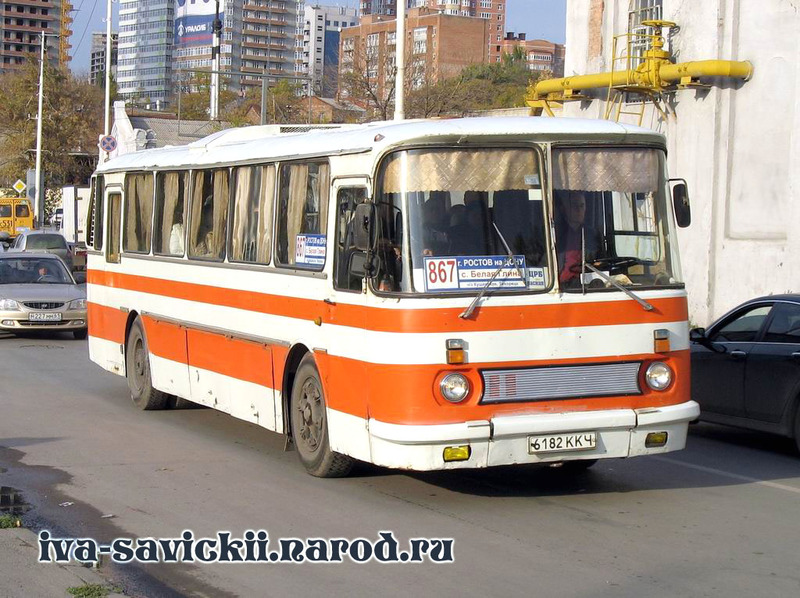 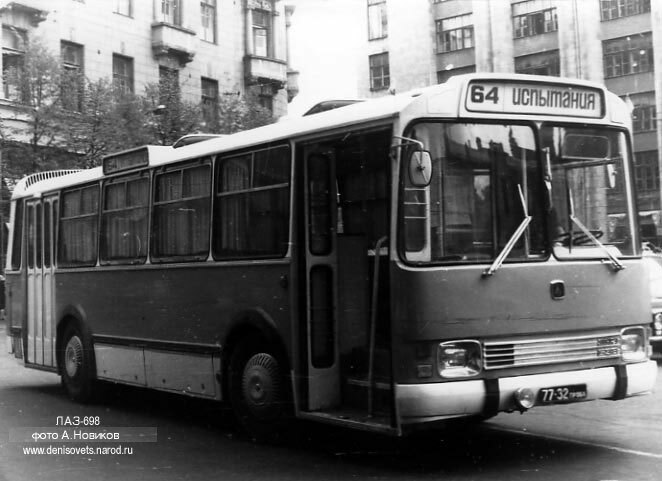 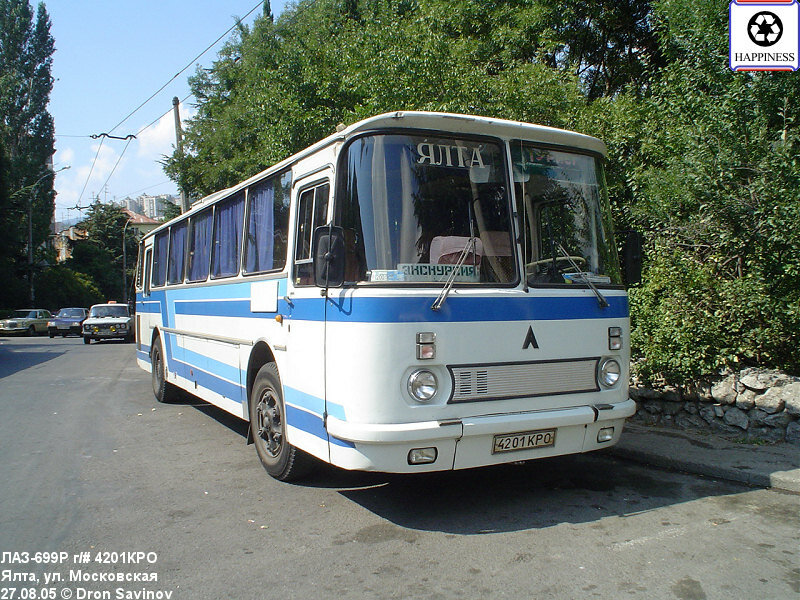 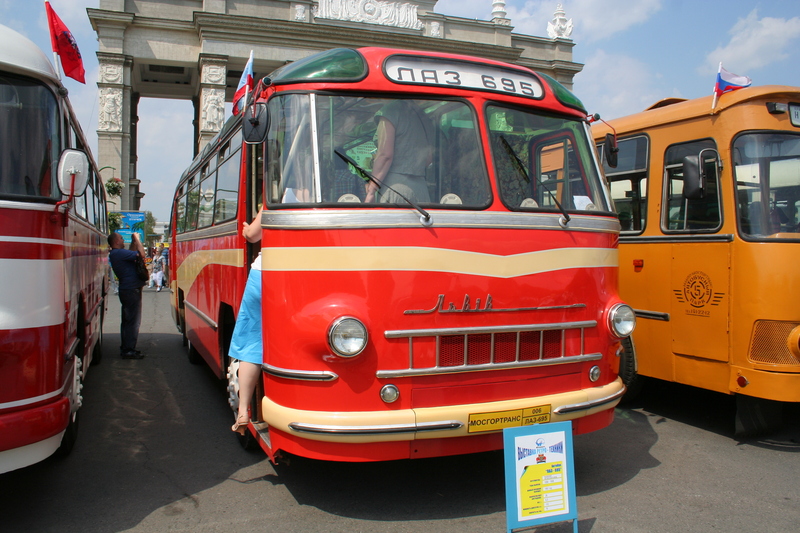 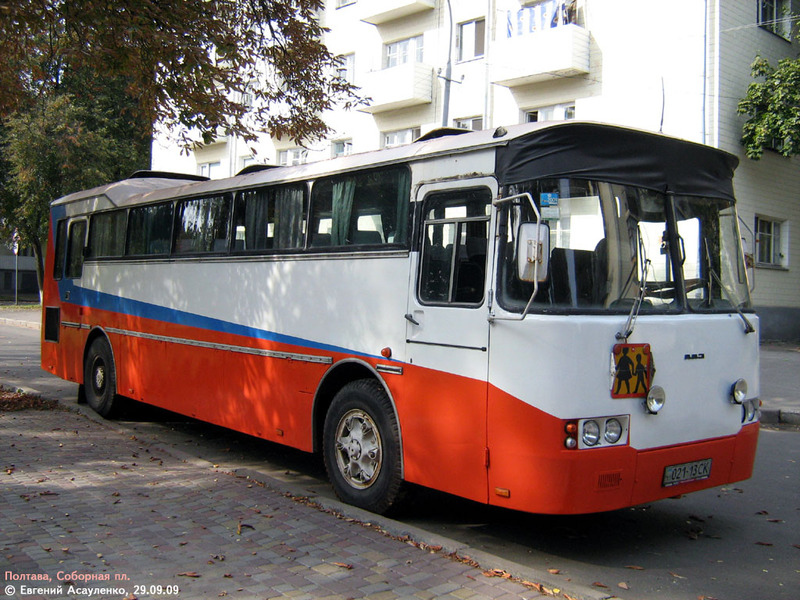 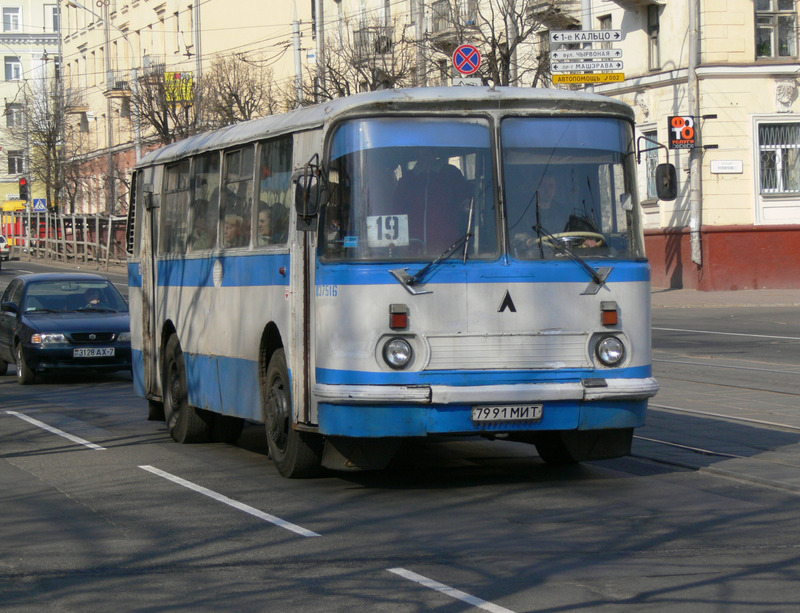 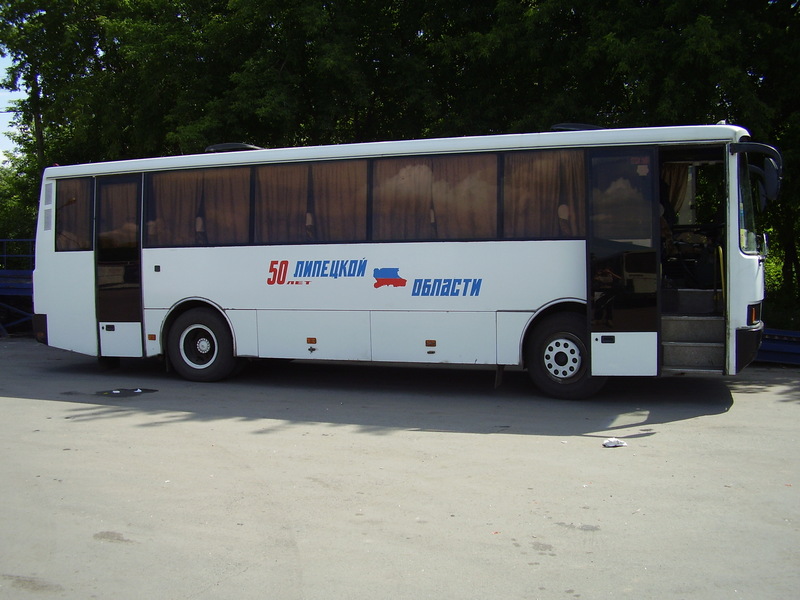 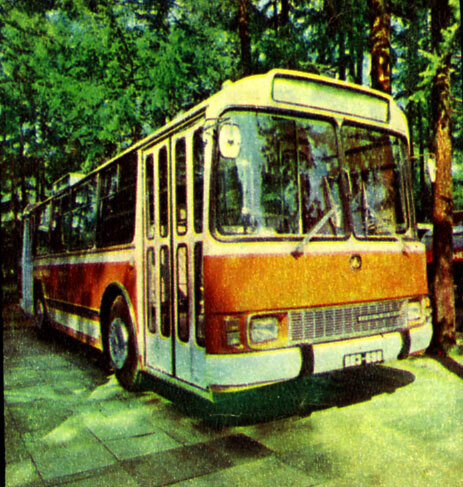 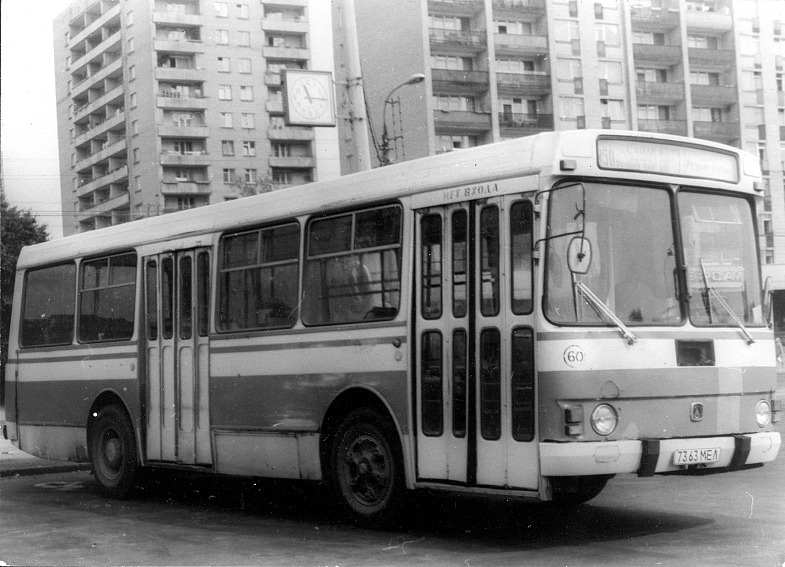 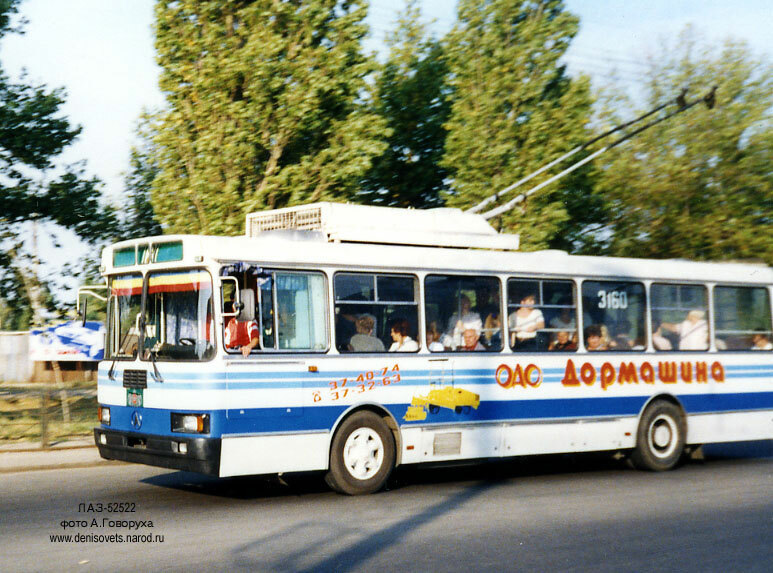 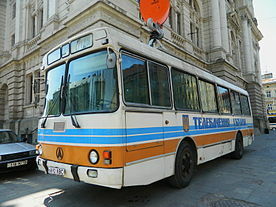 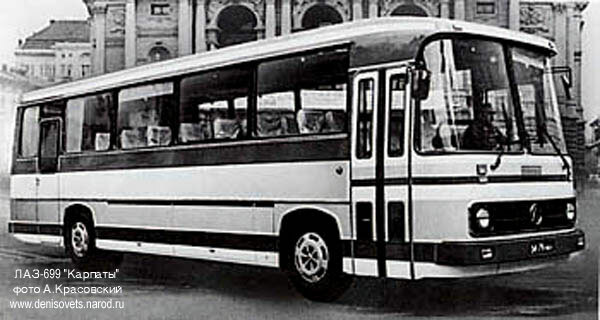 Some of its most widely known products include the LAZ-695 city bus and its stretched tourist-oriented version, the LAZ-699. 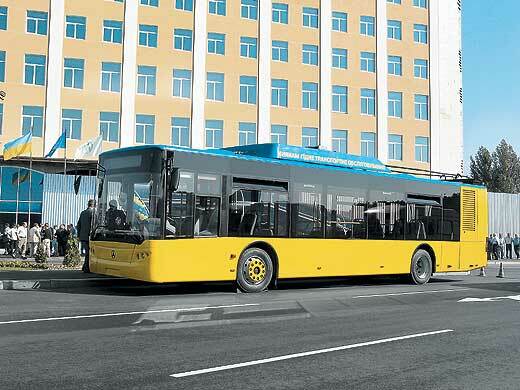 ElectroLAZ, the distinctive modern LAZ trolleybus can be seen circulating in over 25 cities around the world. 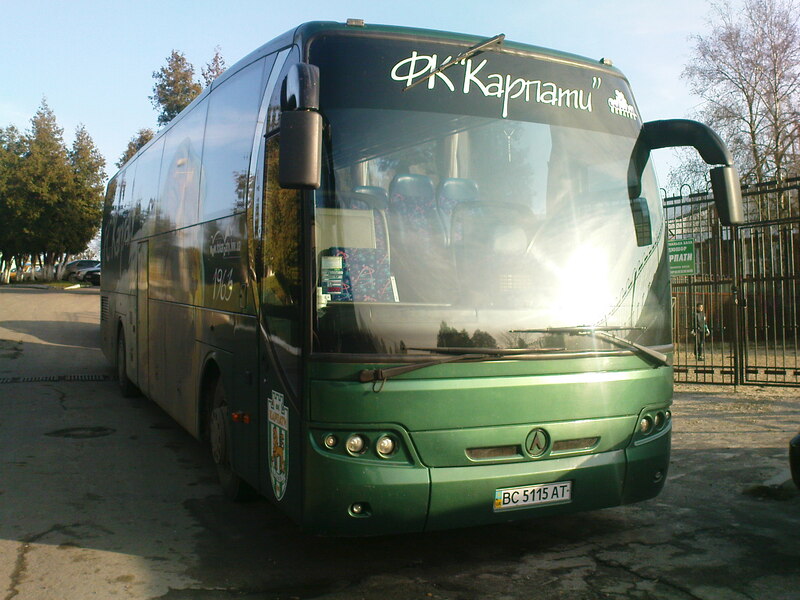 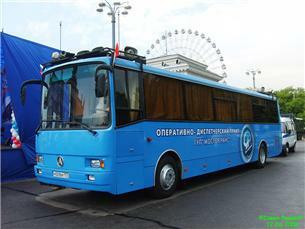 LAZ provided transportation for the UEFA Euro 2012 championship that was held in Ukraine and Poland in 2012. 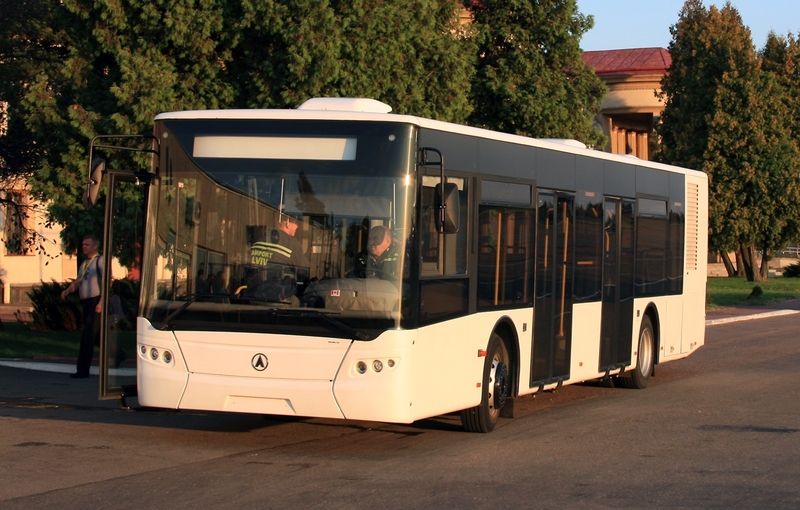 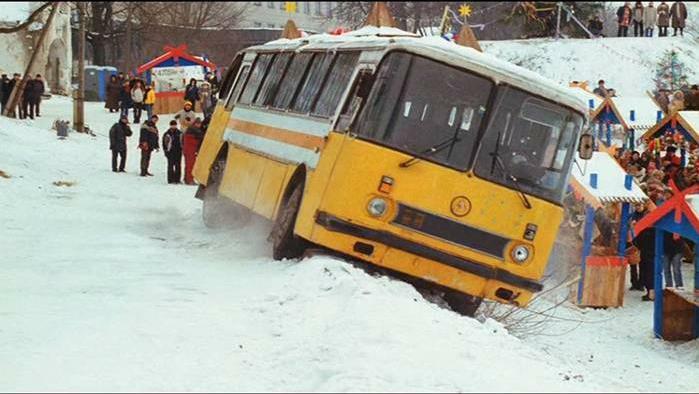 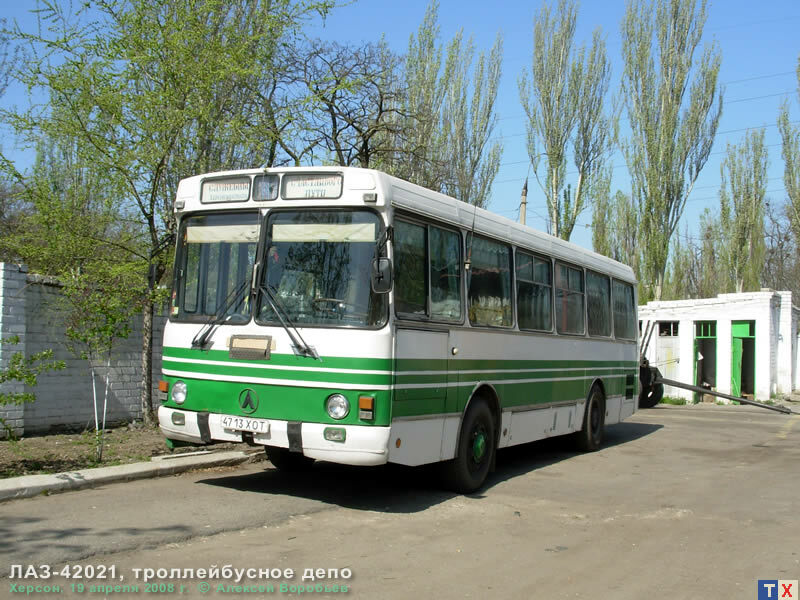 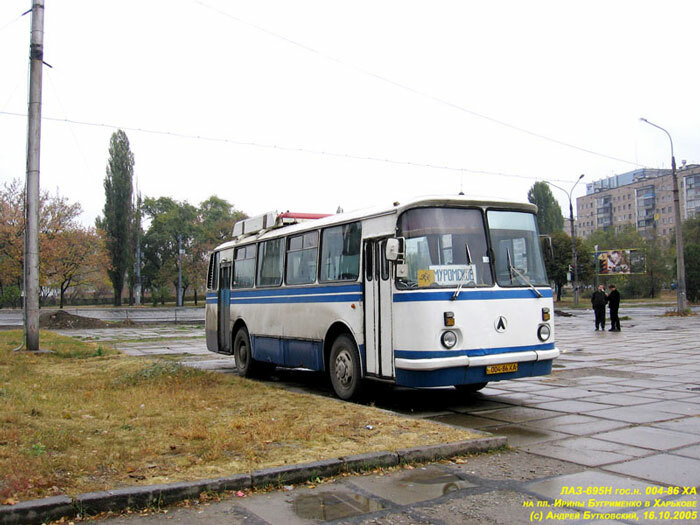 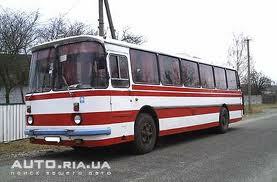 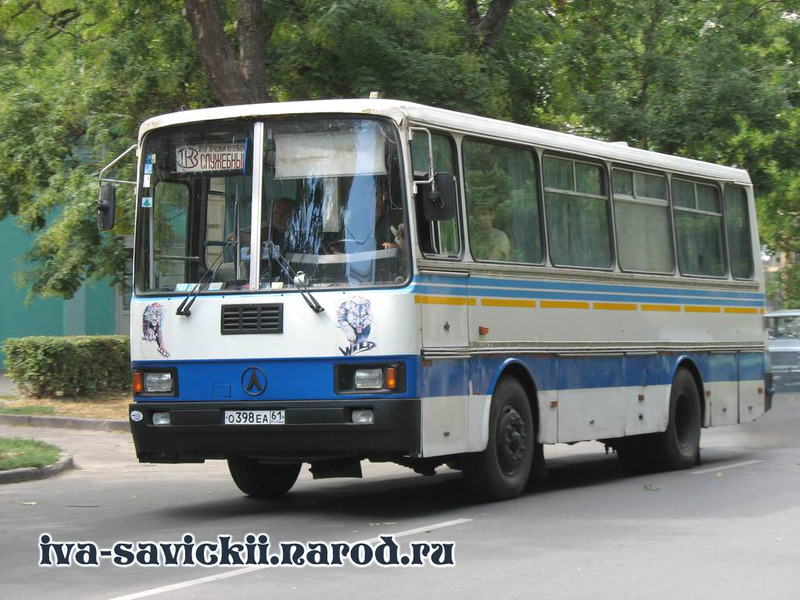 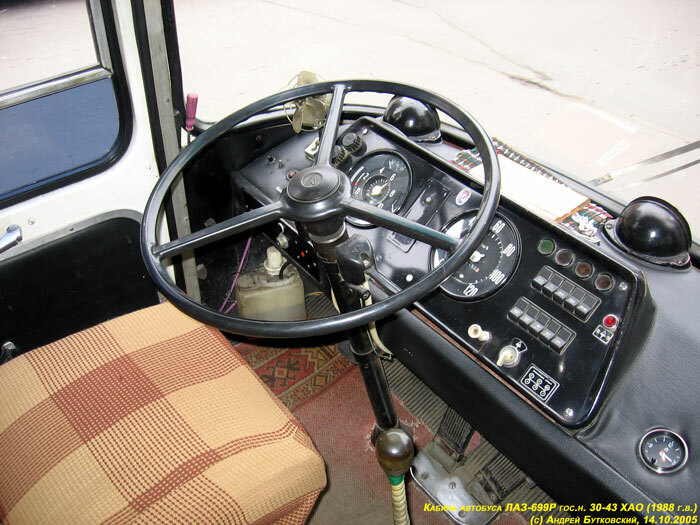 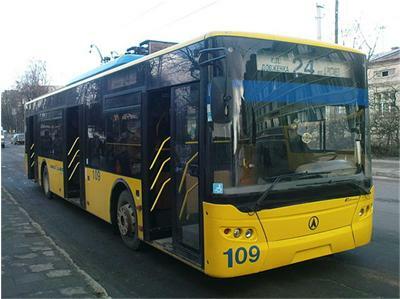 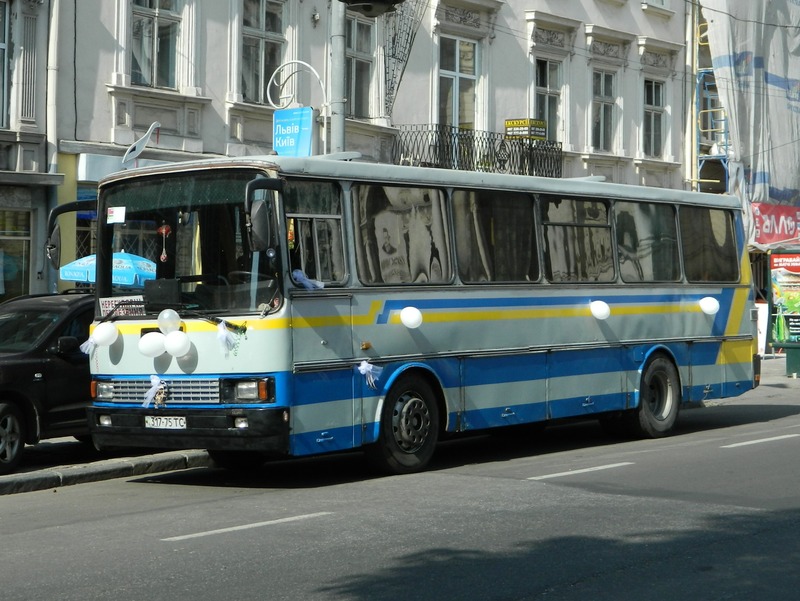 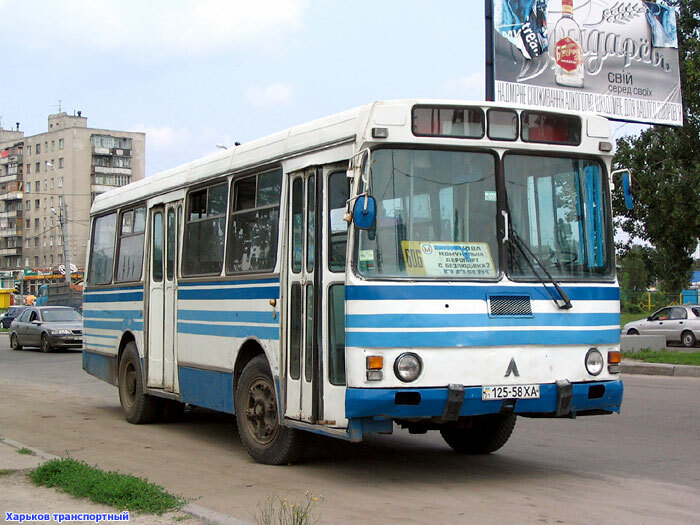 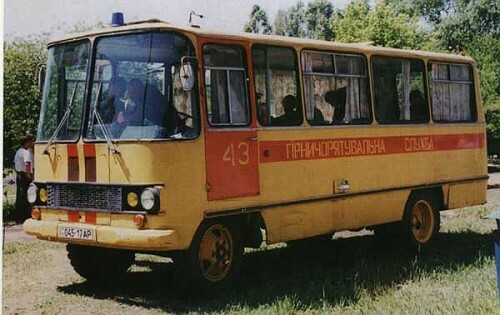 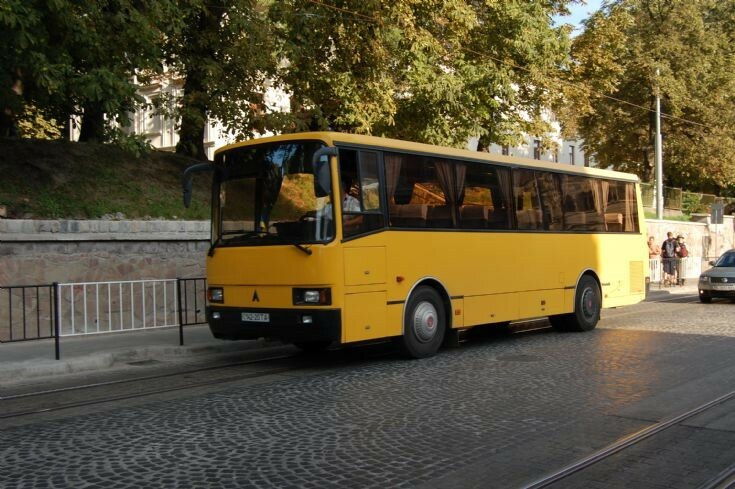 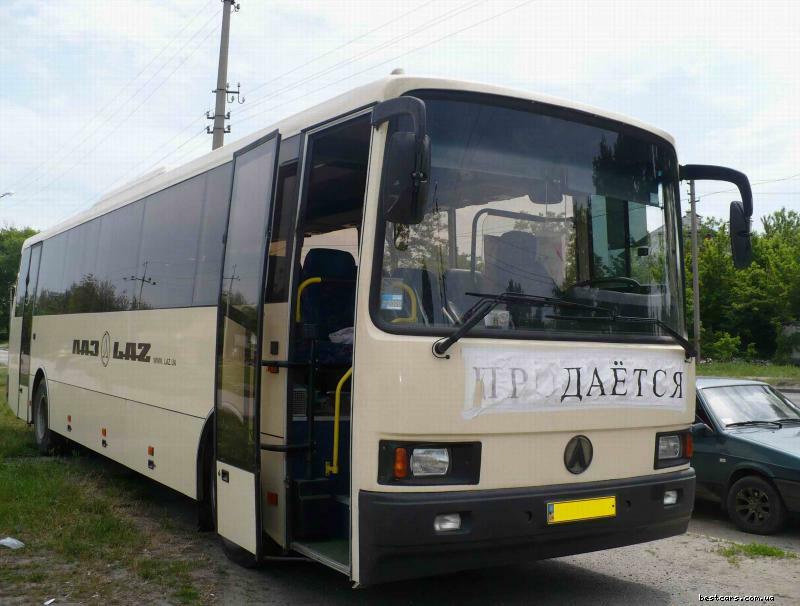 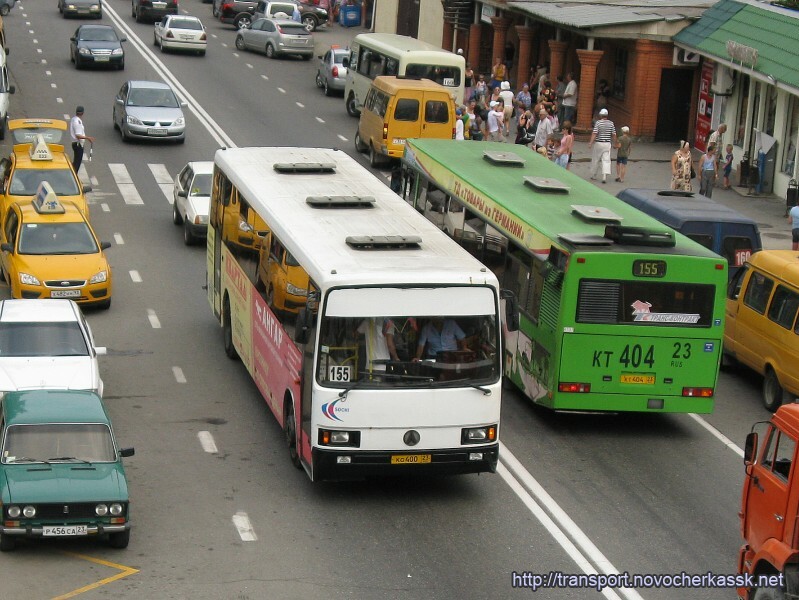 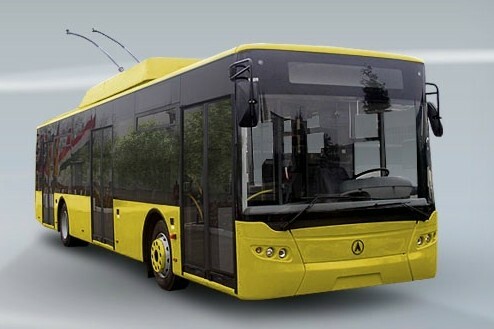 The Ukraine government signed a contract to purchase 2500 new “CityLAZ” buses along with a possible 800 more. 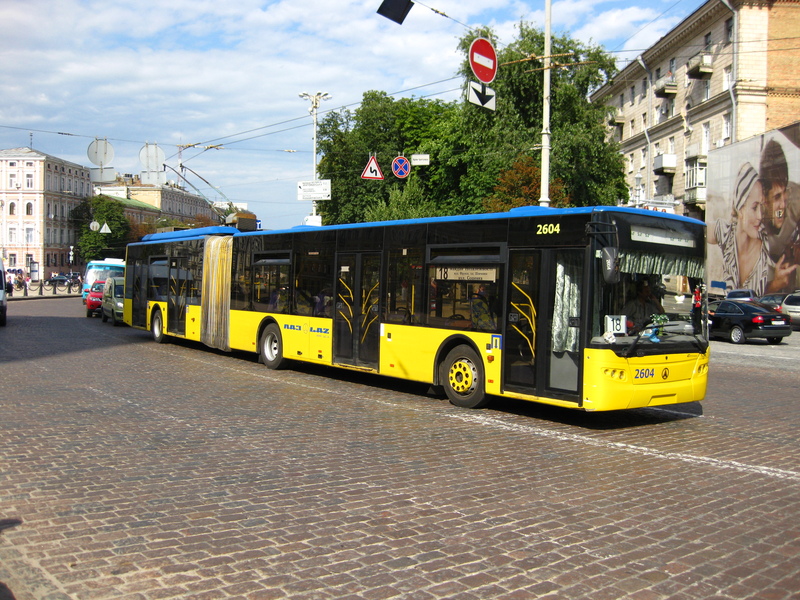 After the championship, LAZ buses are used as regular city transportation in the cities hosting EURO 2012. 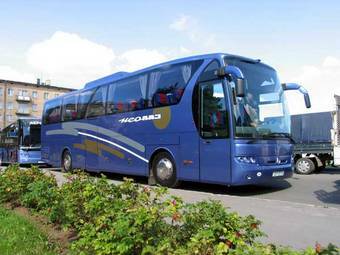 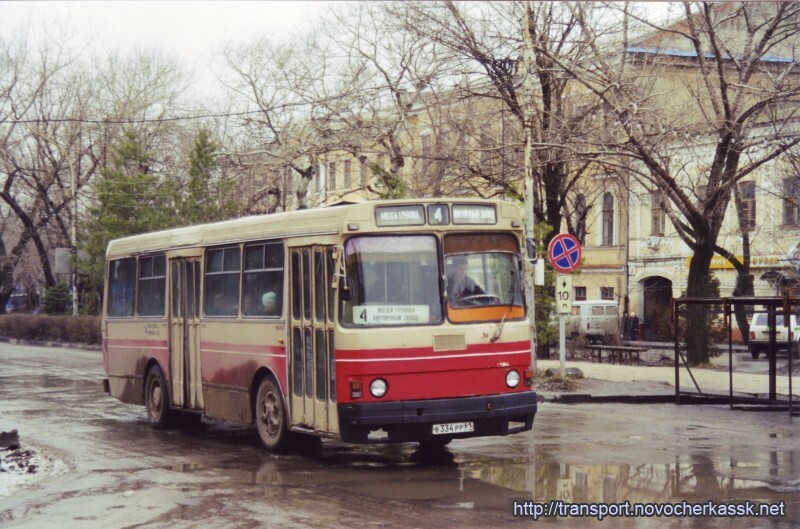 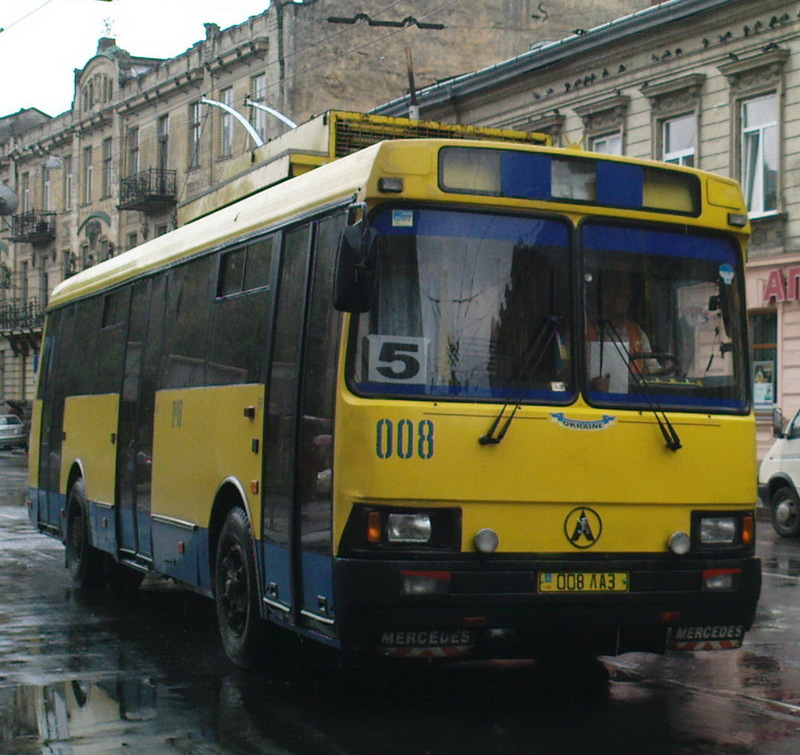 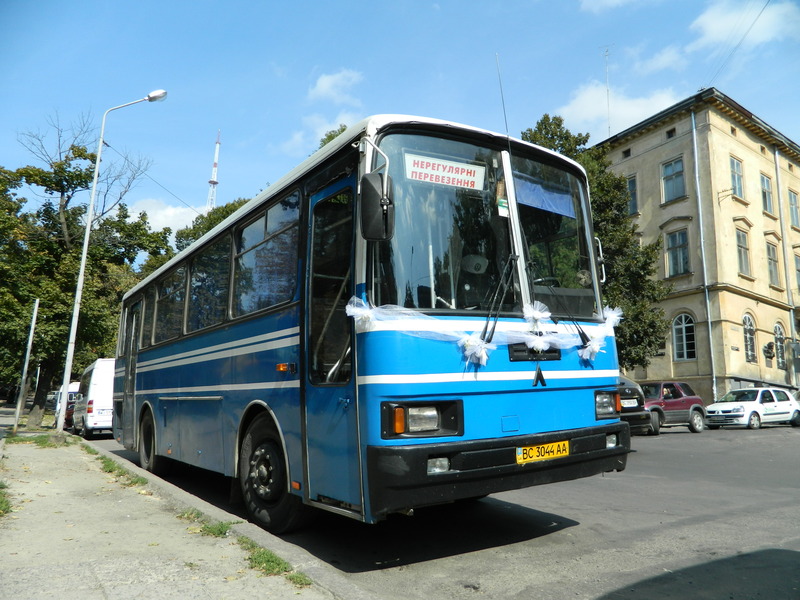 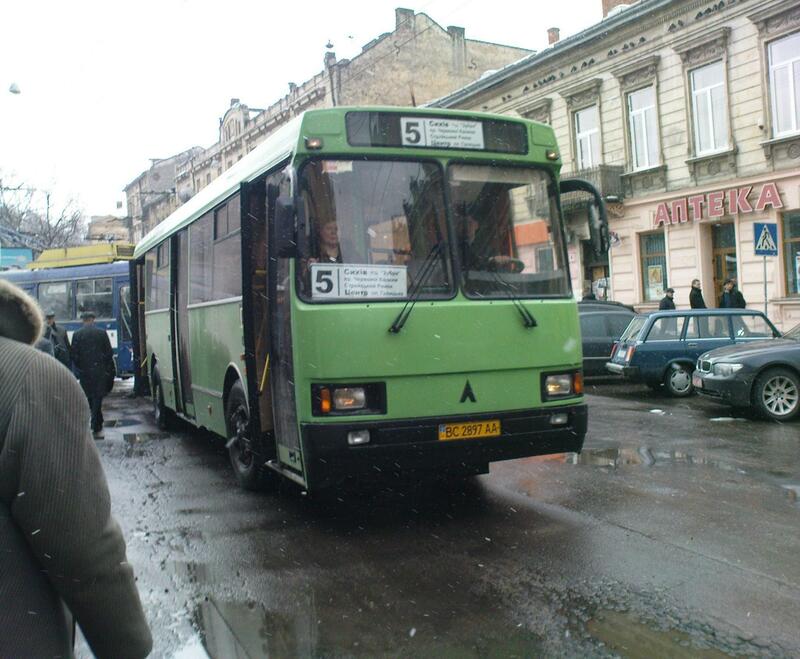 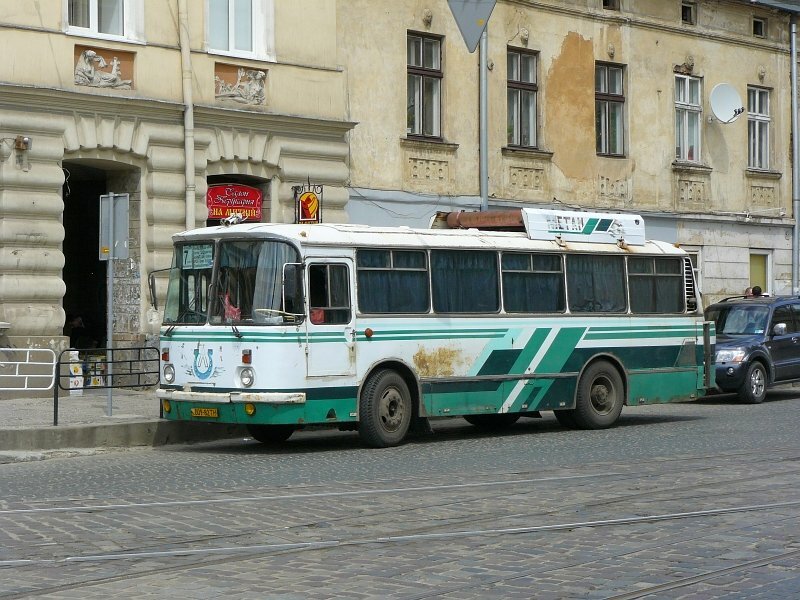 The Lviv Bus Factory (LAZ) is undergoing constant change for the better. 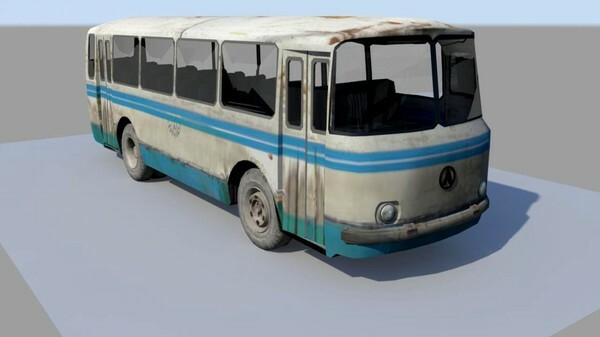 An example of this is the fact that LAZ is moving into the American market very soon. 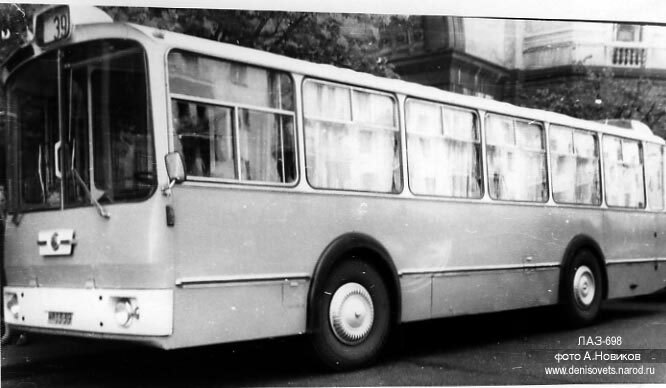 The trip for the company starts in New York, where the American offices are located. 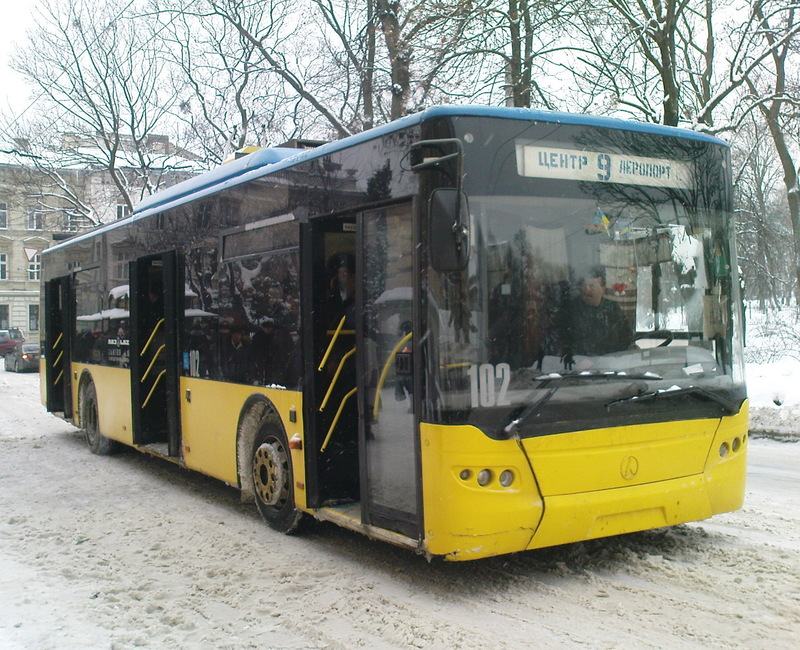 The first deliveries in Macedonia were made in February 2011. 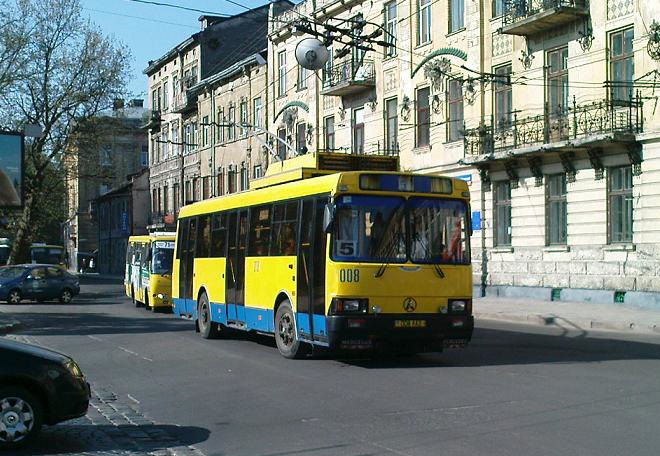 Deliveries for cities in Ukraine were be made throughout the year of 2011. 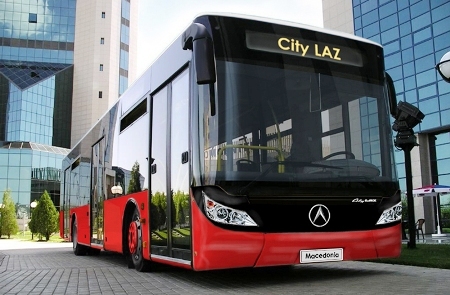 In 2012, LAZ continues to develop many new models and continues to make the old ones better. 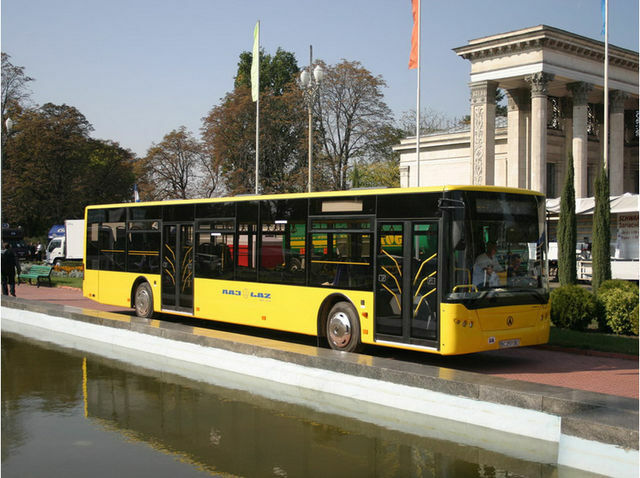 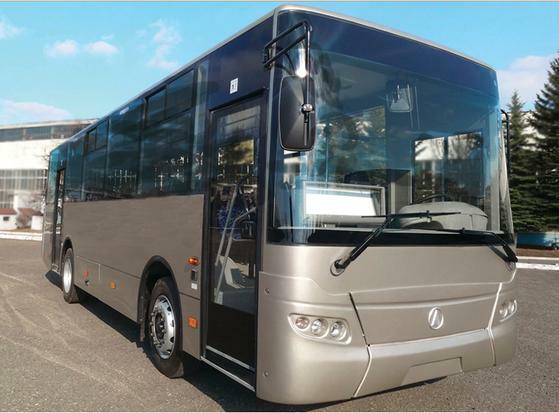 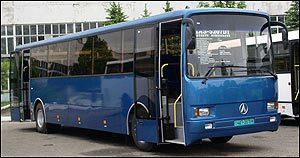 2012 is a year of great potential and proved to be a big year for the Lviv Bus Plant LAZ as 3 new models were introduced. 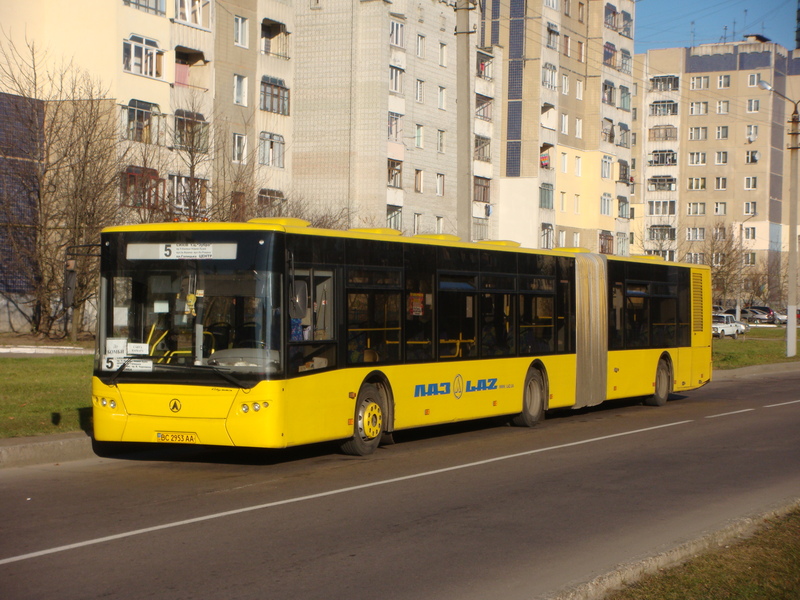 The LAZ 695 Soyuz, the LAZ 4207 DM, and the LAZ A183 CNG. 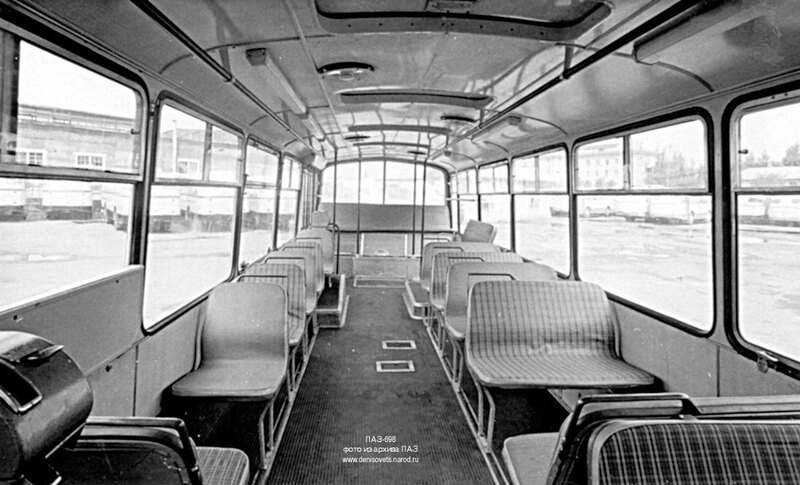 2013 may be the year that the first tram LAZ will be introduced. 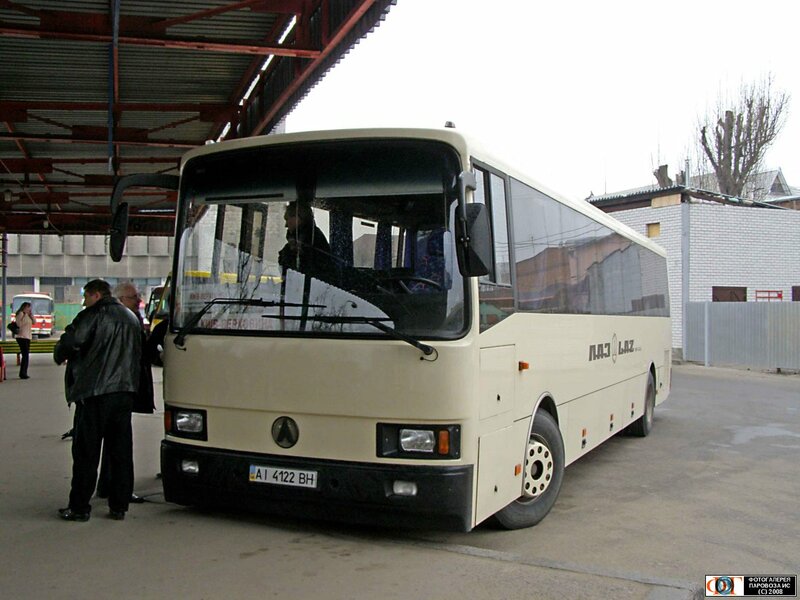 The Lvov Bus Factory is a very different company compared to other bus plants in many ways. 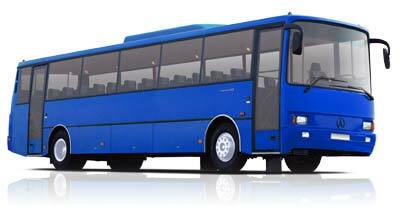 The first way is that LAZ can produce buses for an extremely low price if compared to other bus makes. 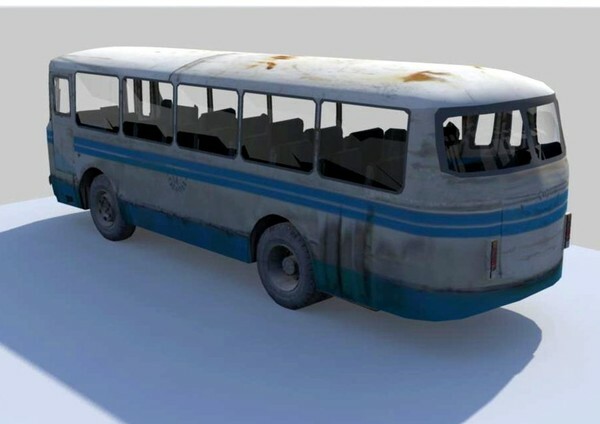 The next is that LAZ uses a system called “flexible assembly line” which means that many models which are completely different can be produced on the same line reducing production time and cost. 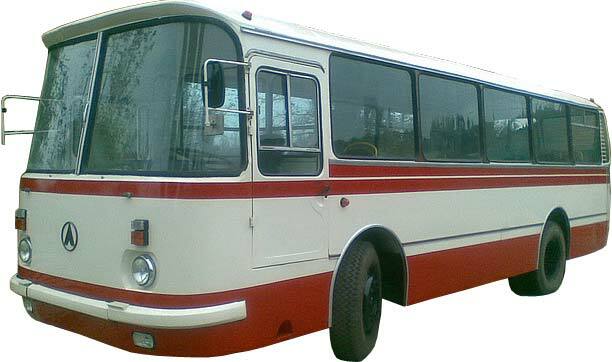 Most factories produce one model on an assembly line requiring many different assembly lines for different types of buses. 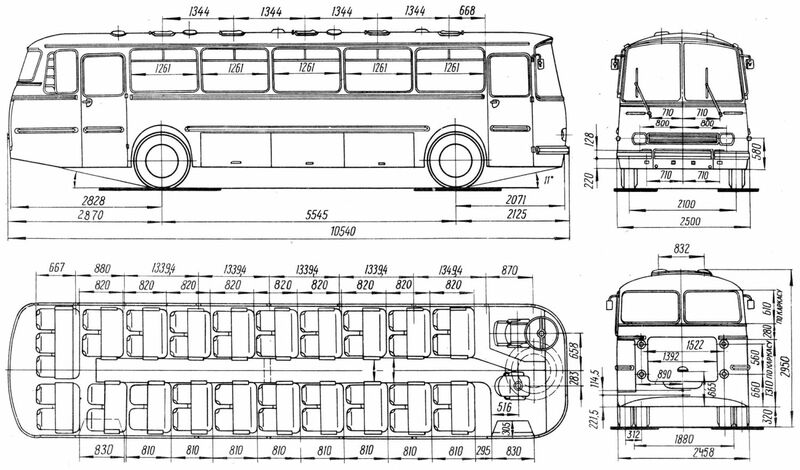 The reason why other factories do not move to this process is because it is too complicated and difficult to arrange. 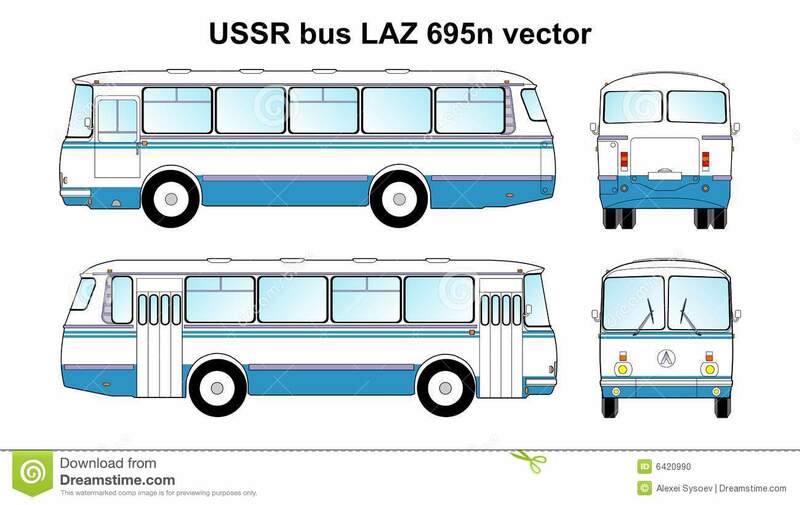 Another way LAZ is better is the assembly itself. 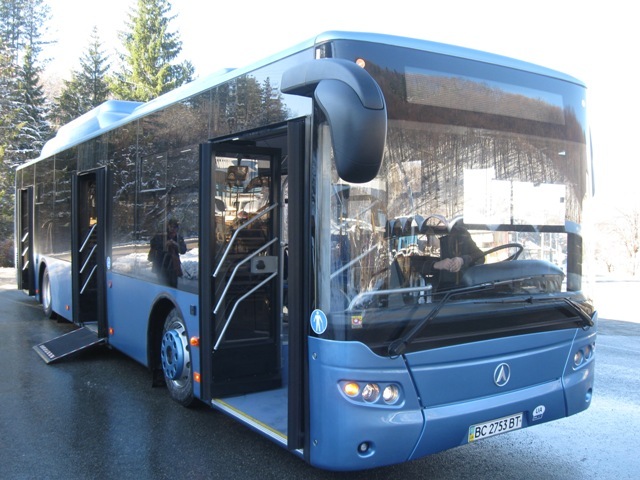 Most other buses are assembled by machine which means that making a custom vehicle to fit your needs is impossible. 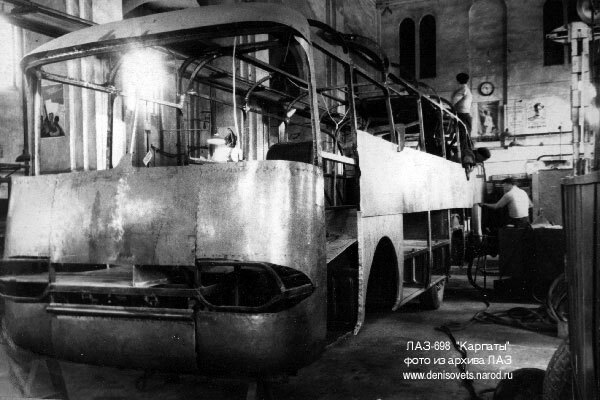 LAZ buses are all hand assembled. 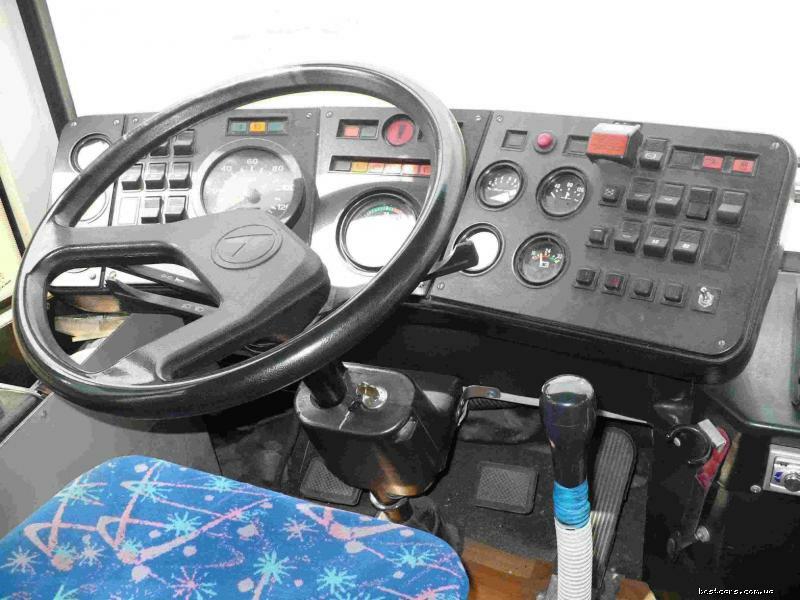 Hand assembly has two benefits. 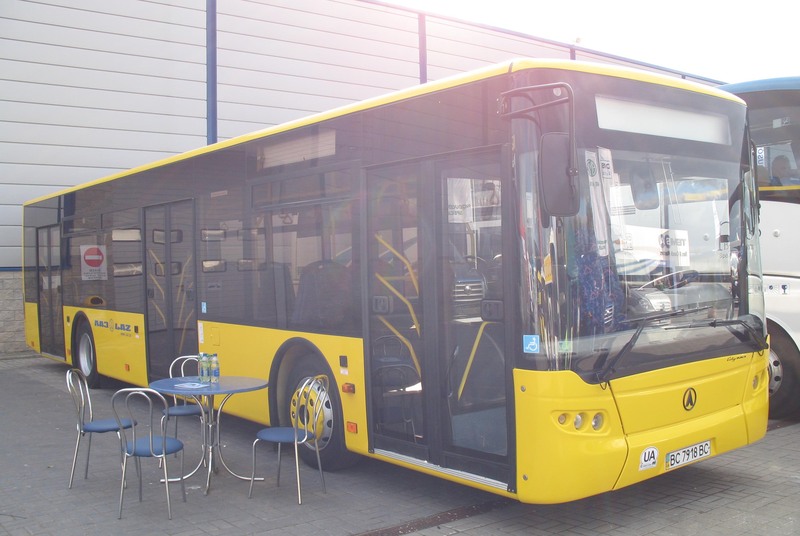 The first is that buses can be tailored to any customers needs. 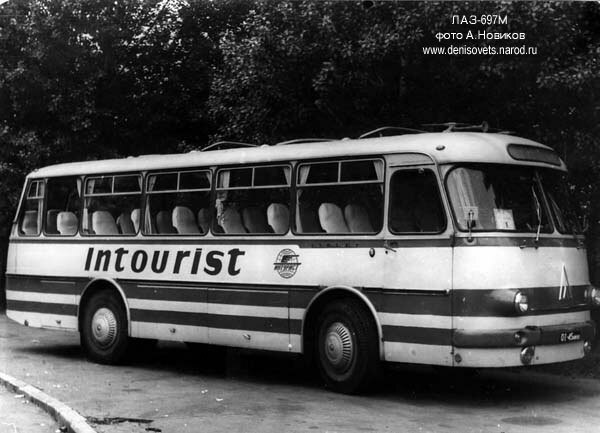 The next is that quality increases when people check over each other’s work. 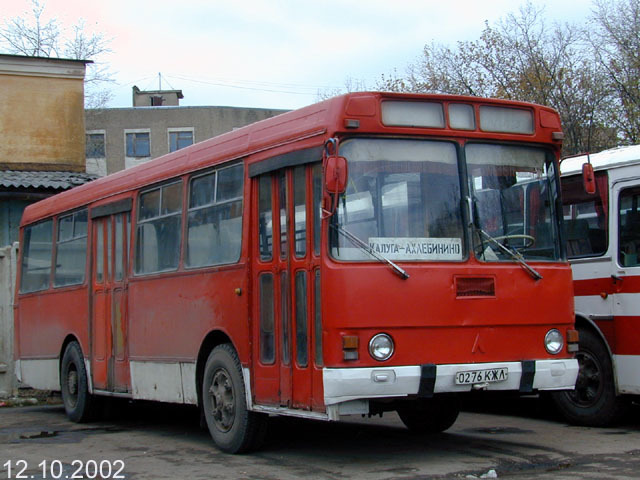 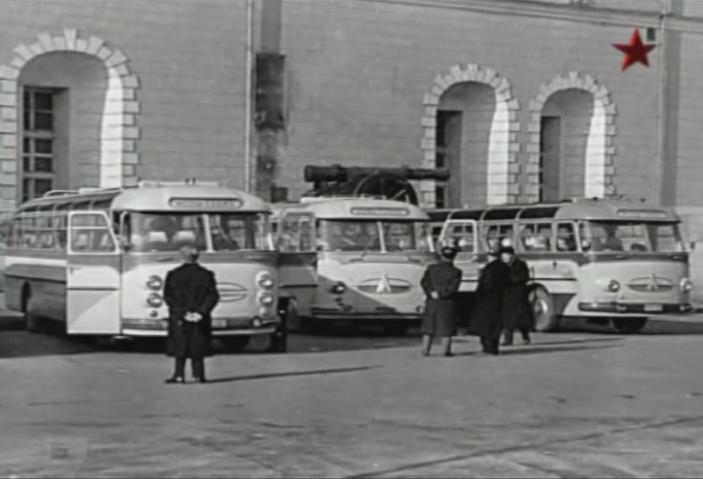 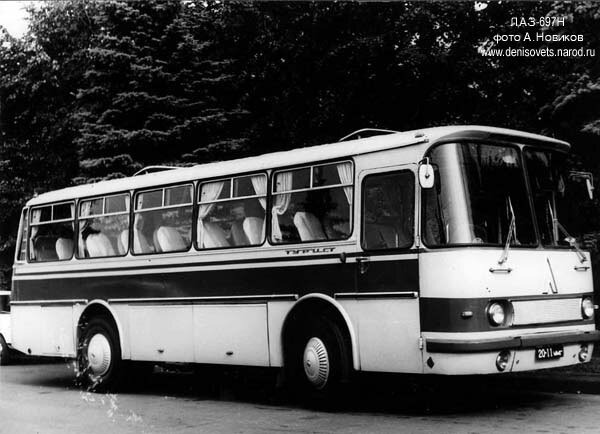 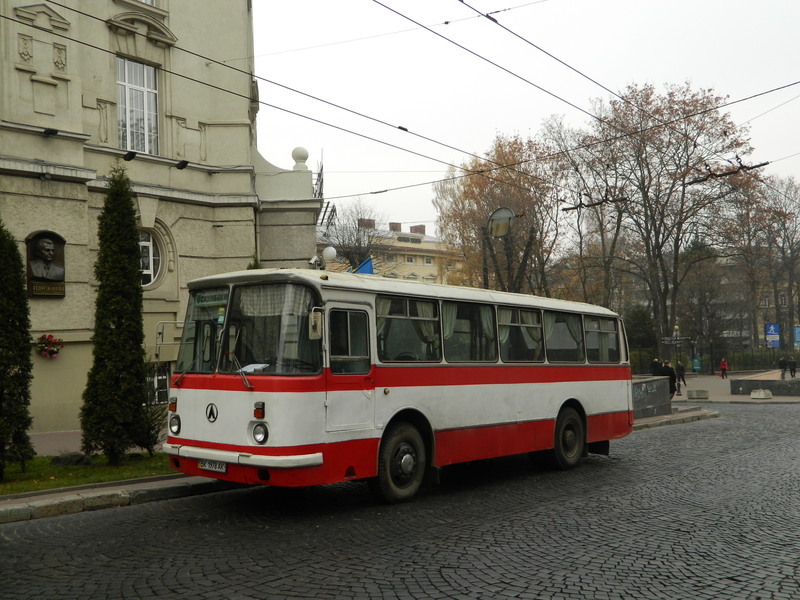 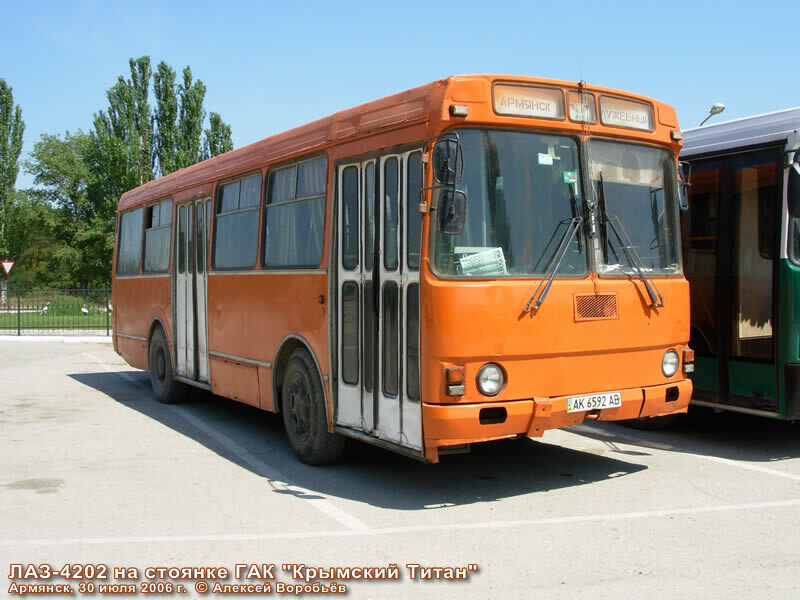 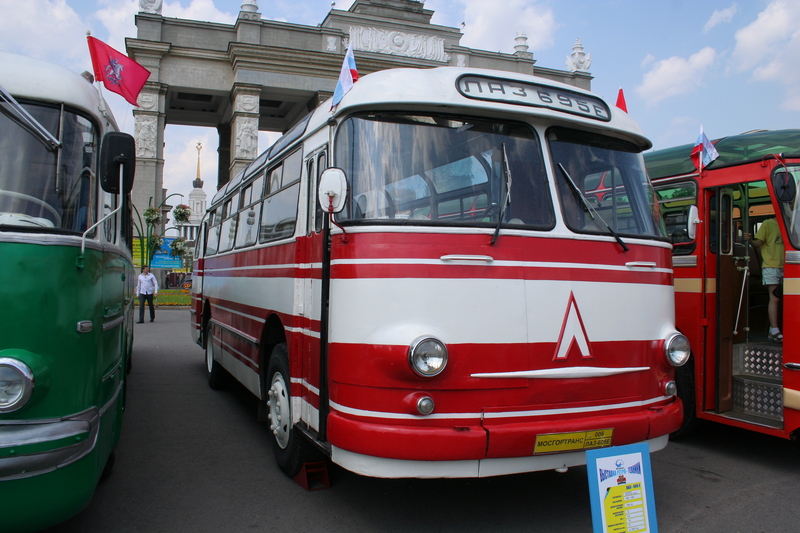 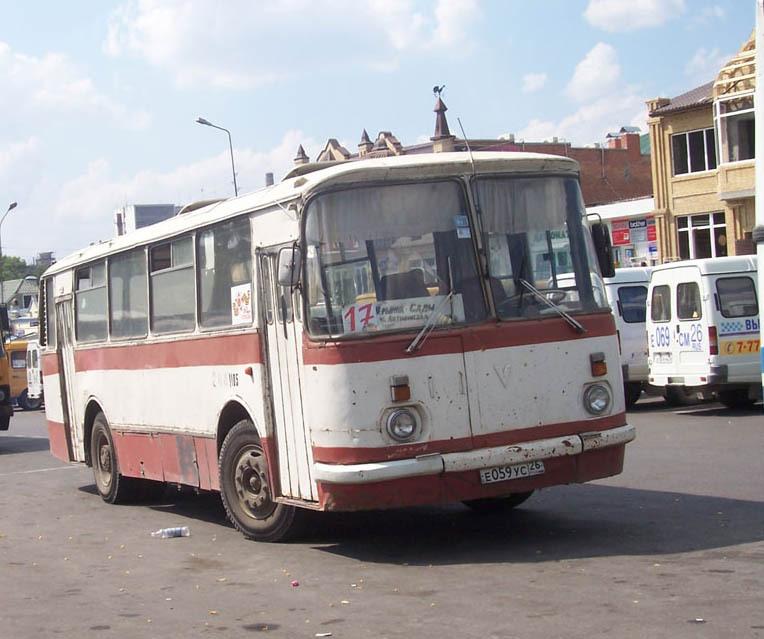 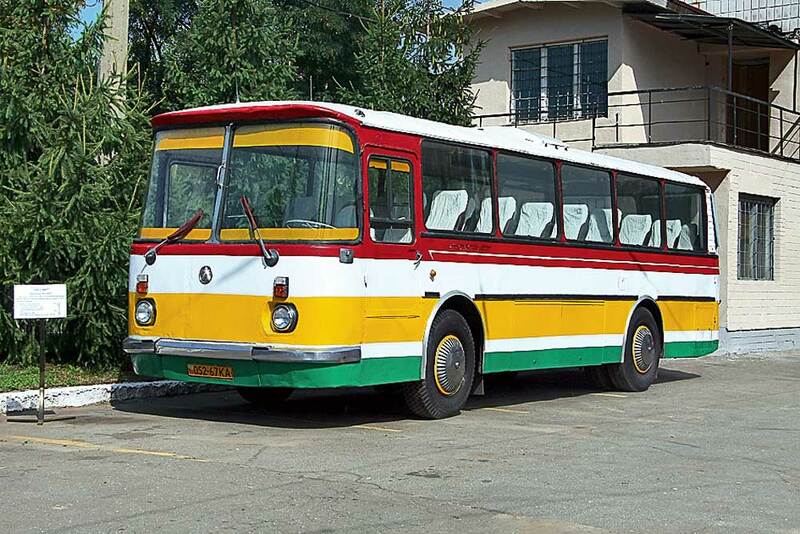 The Lvov Bus Plant LAZ was built in 1945 to produce Zis buses for the USSR. 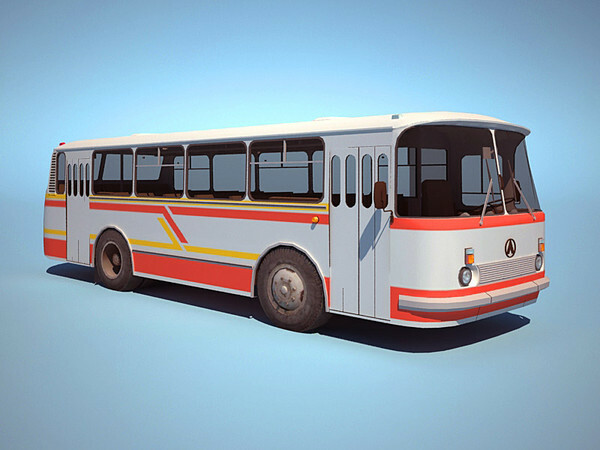 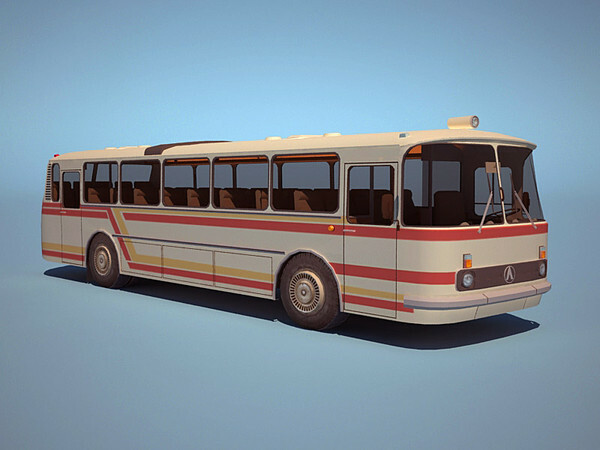 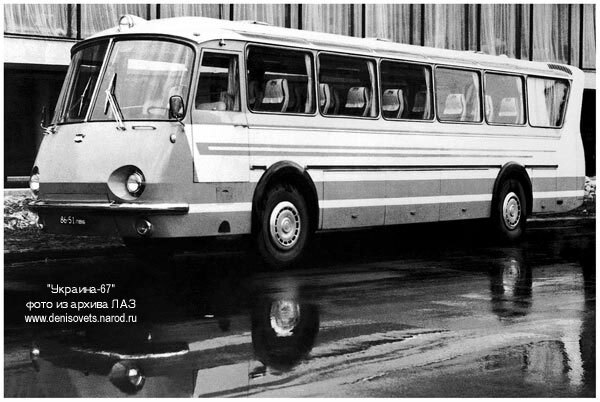 As an idea came about to create a whole new bus, the LAZ 695 bus was designed and approved by the Moscow Ministry of Transport. 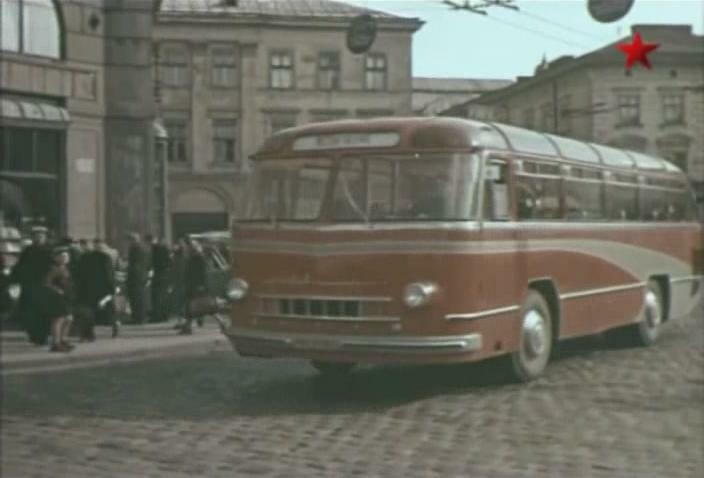 Production was launched in 1956 and continued until 2006. 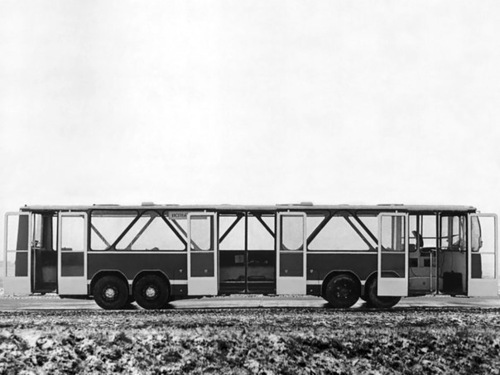 This is the most successful bus in the world and holds a world record for the longest in production. 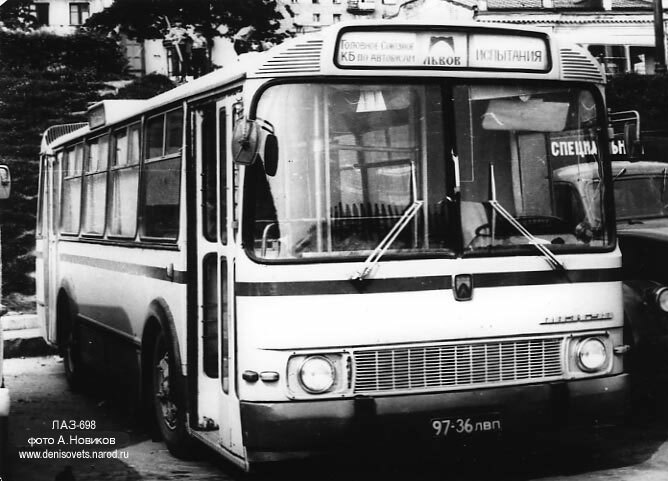 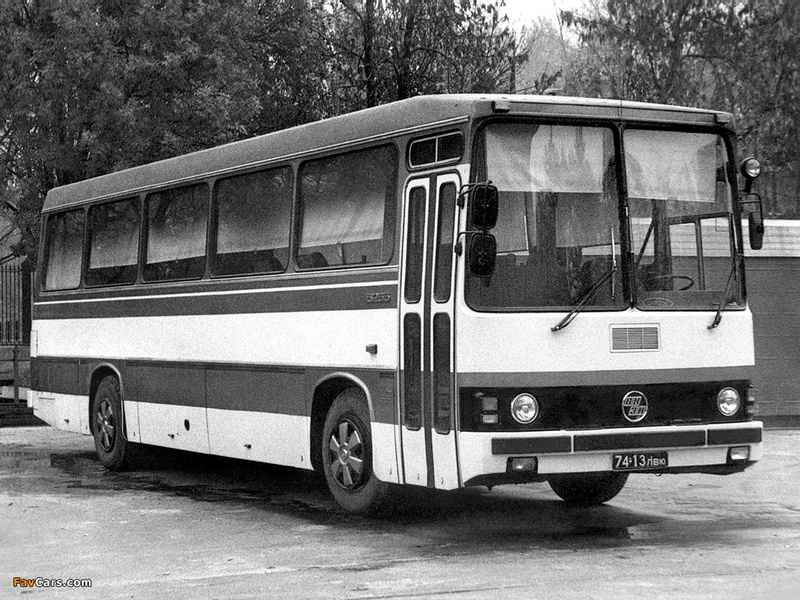 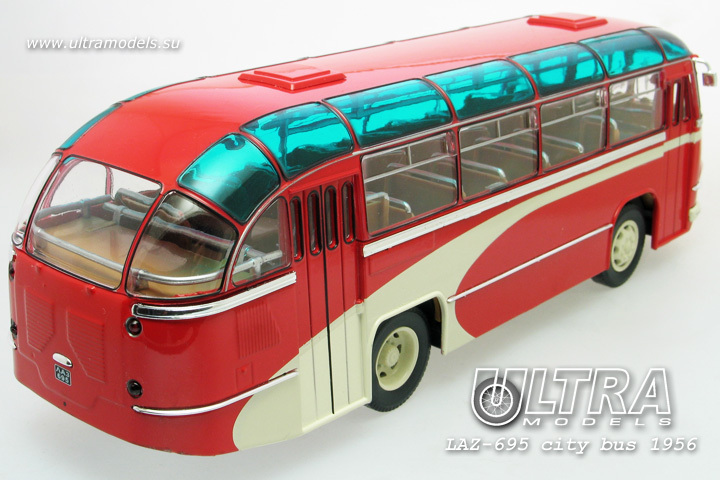 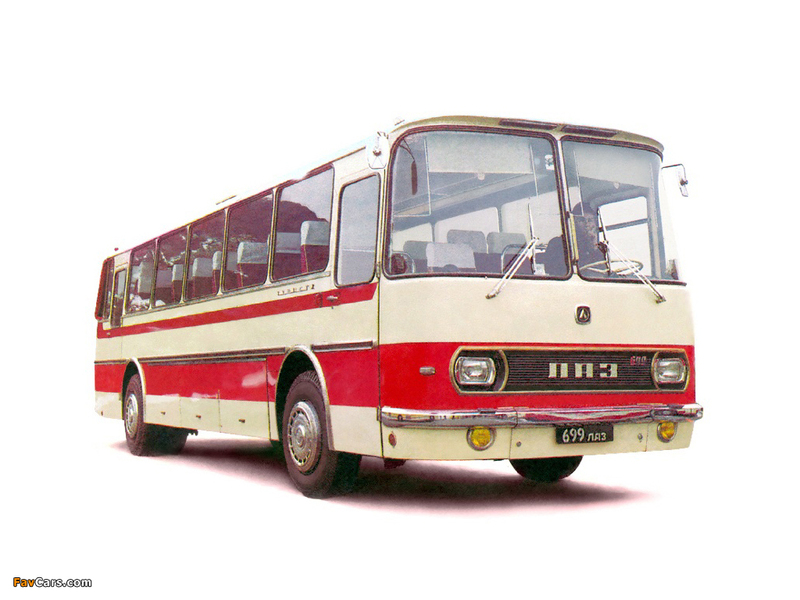 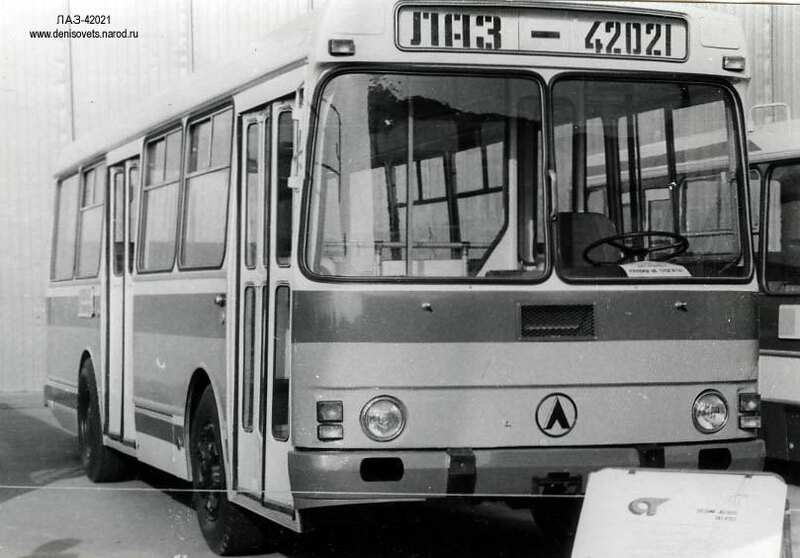 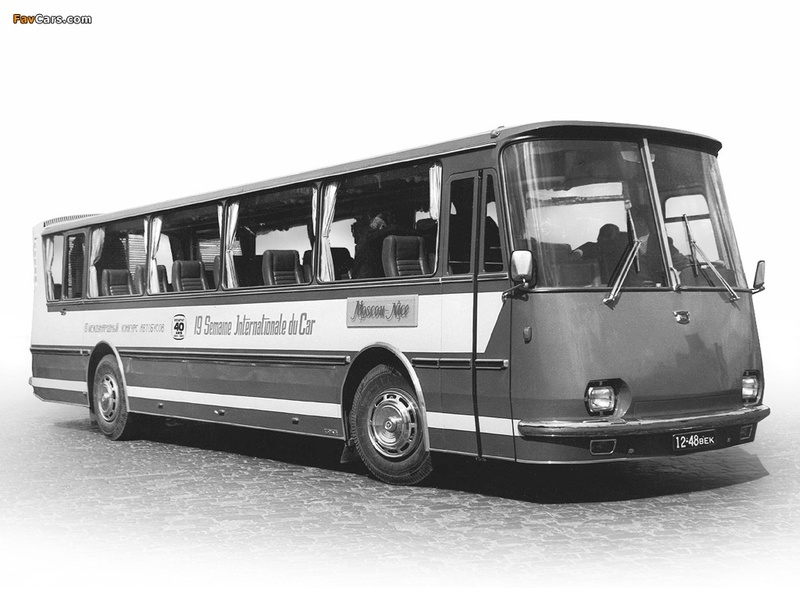 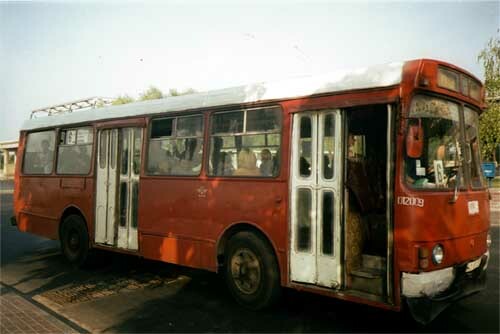 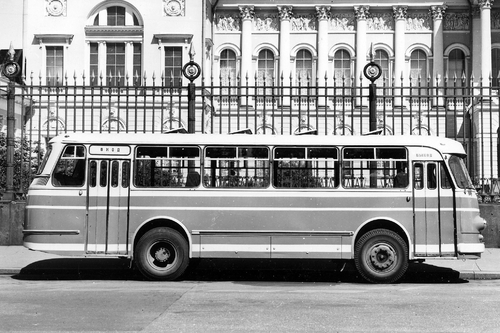 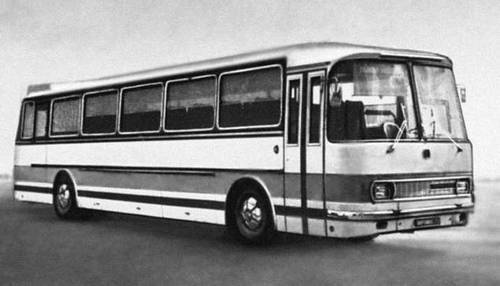 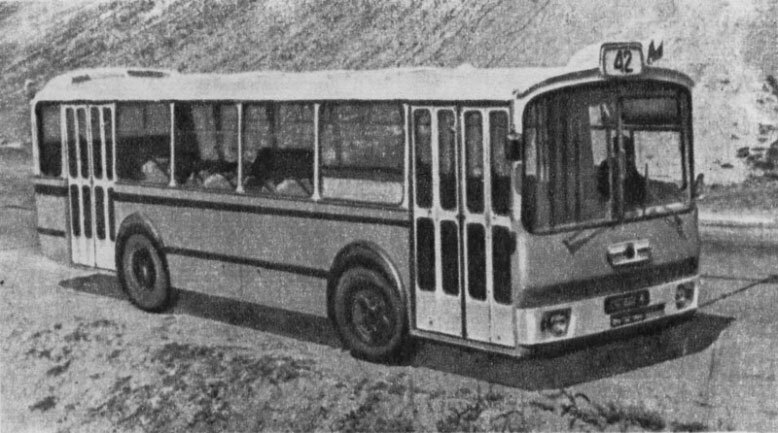 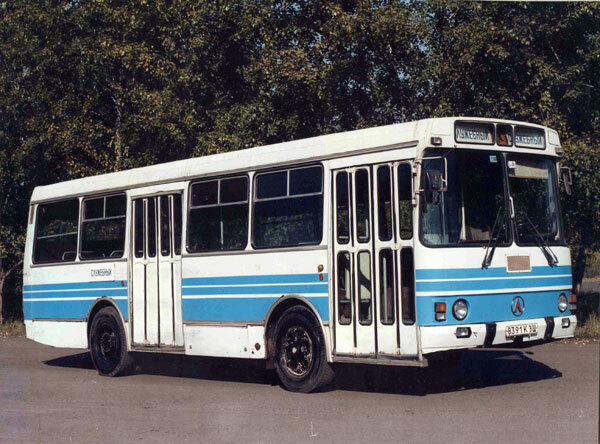 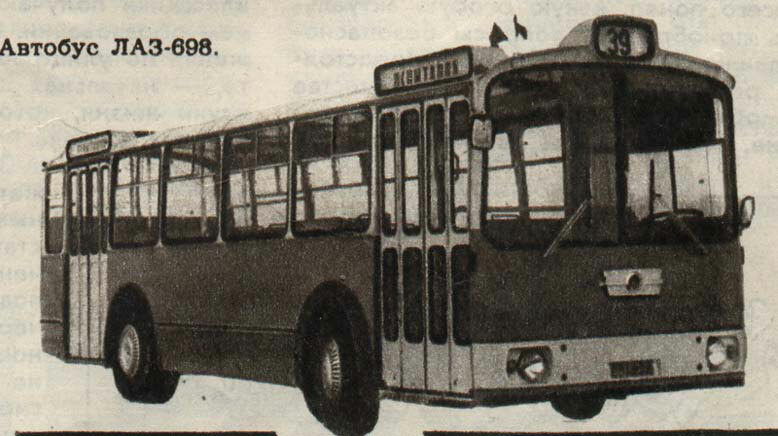 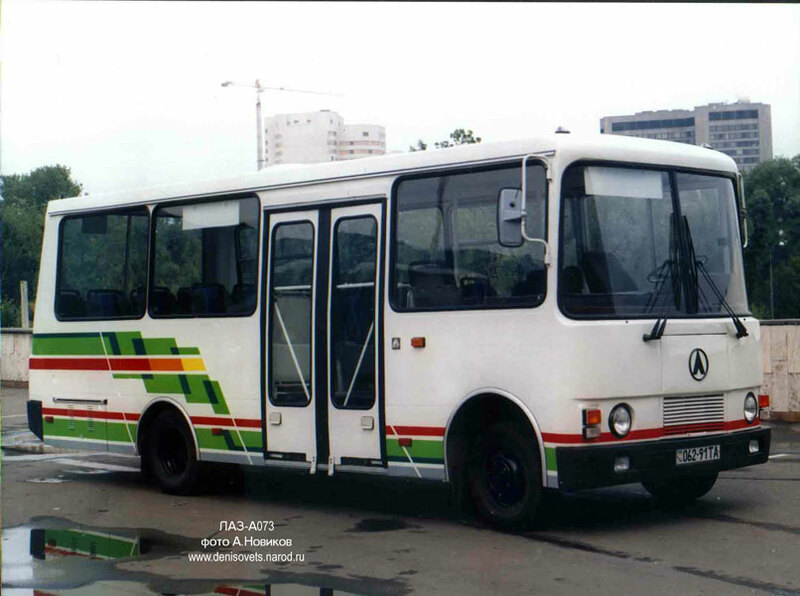 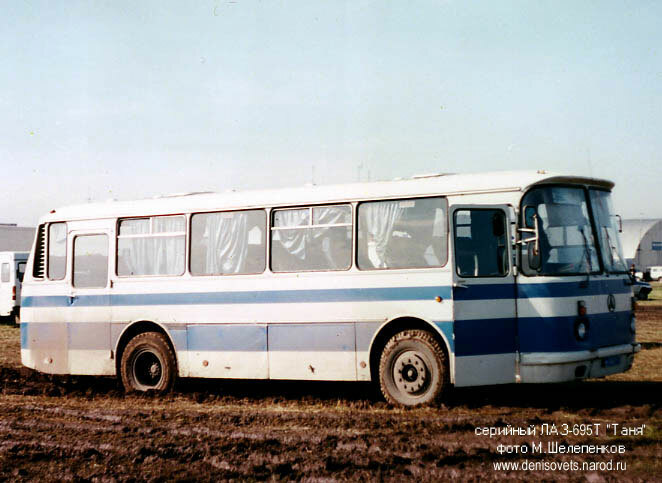 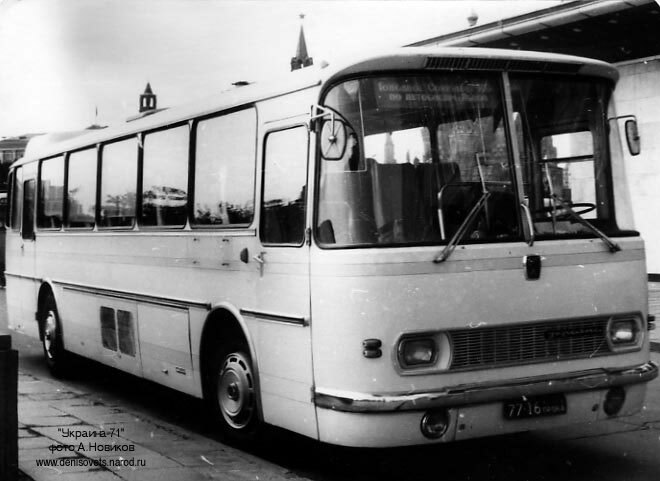 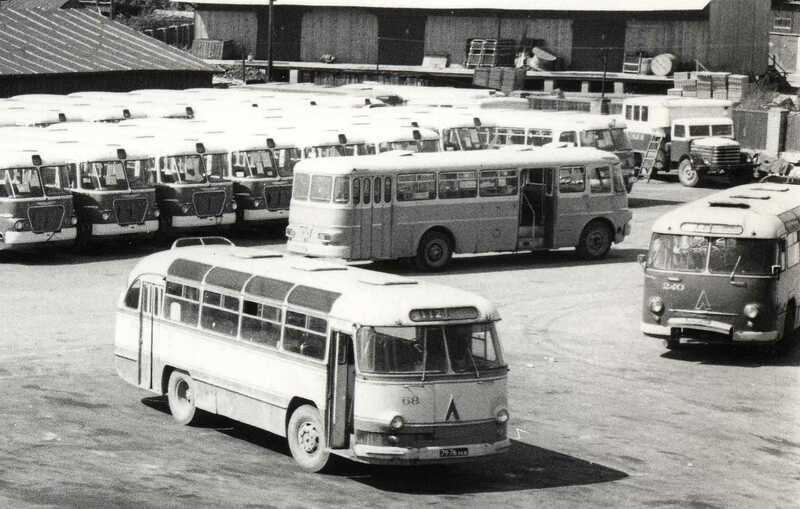 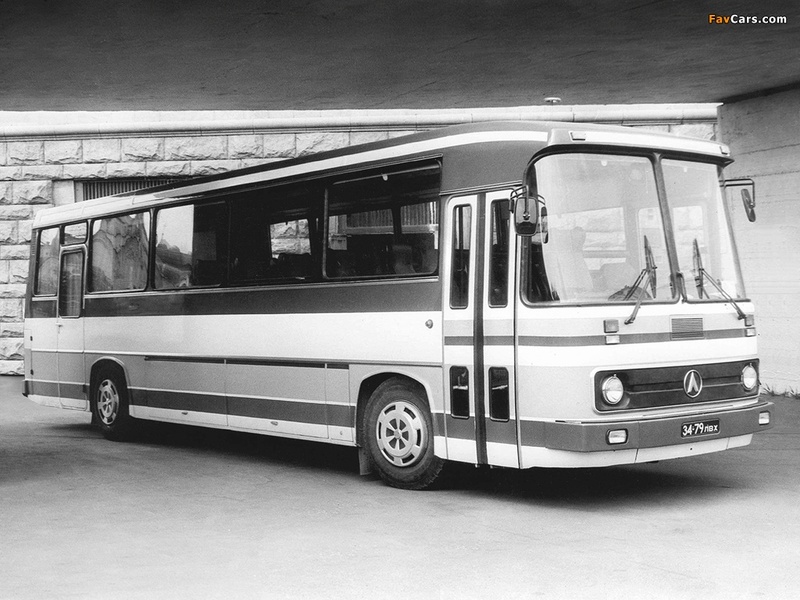 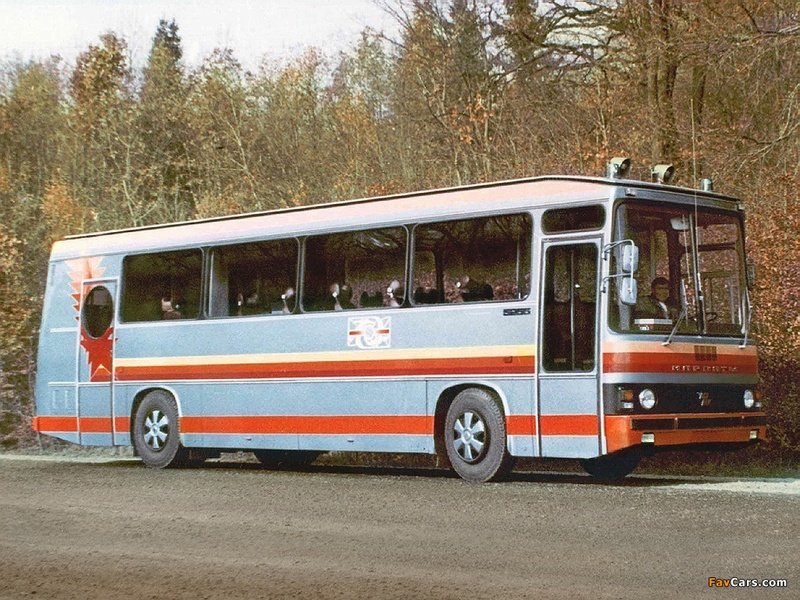 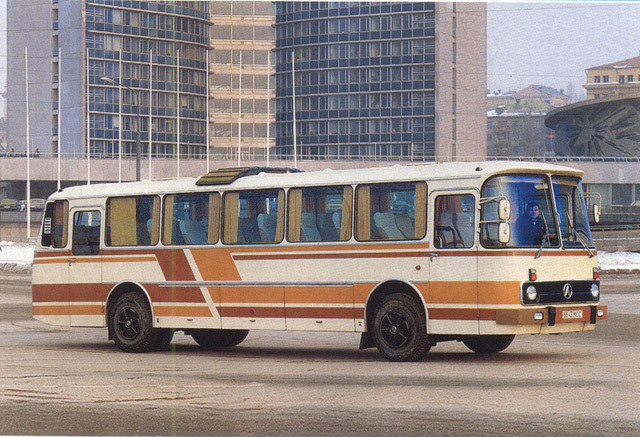 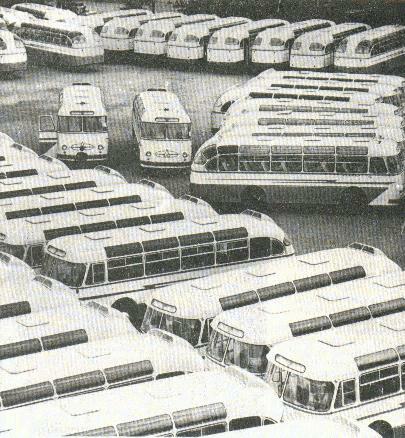 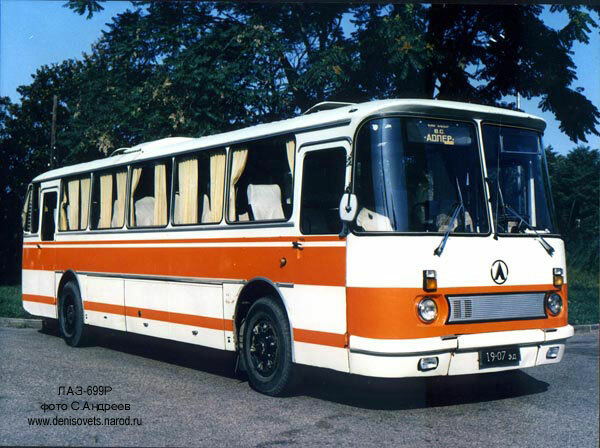 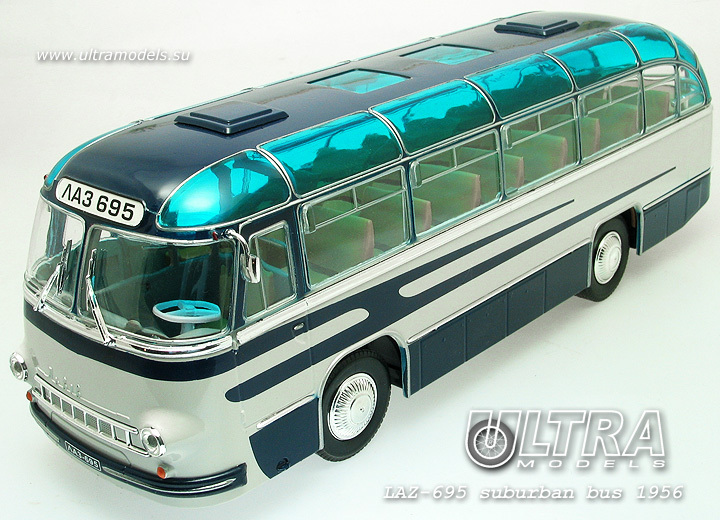 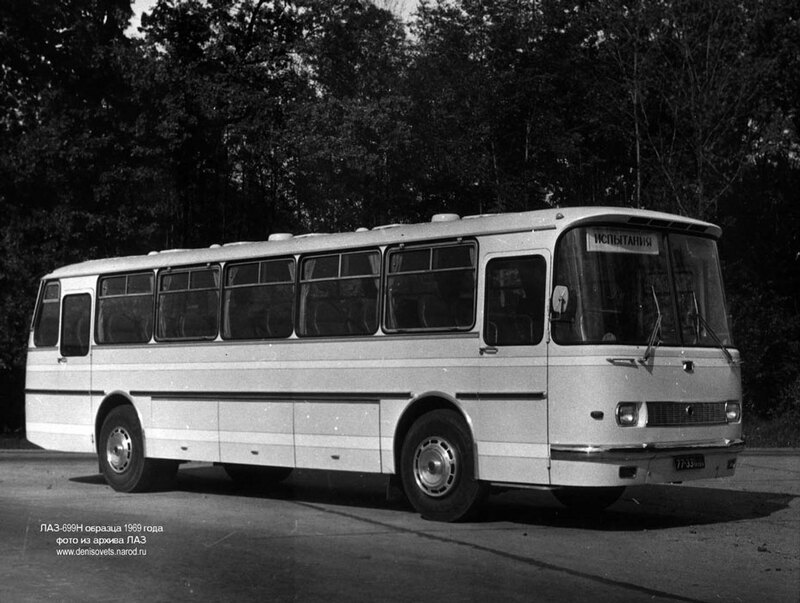 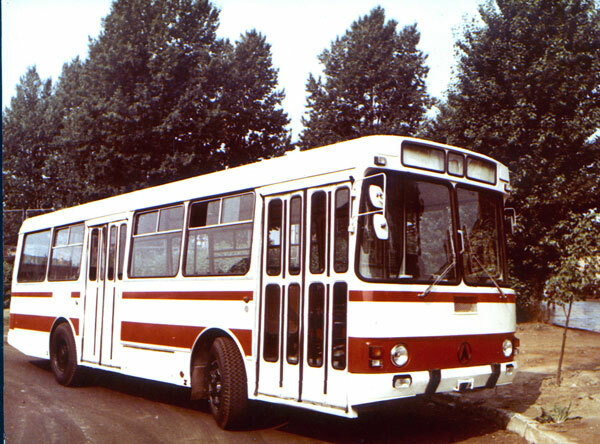 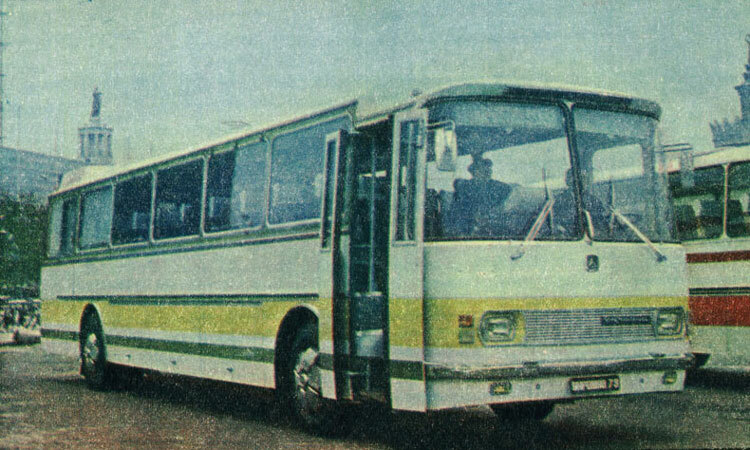 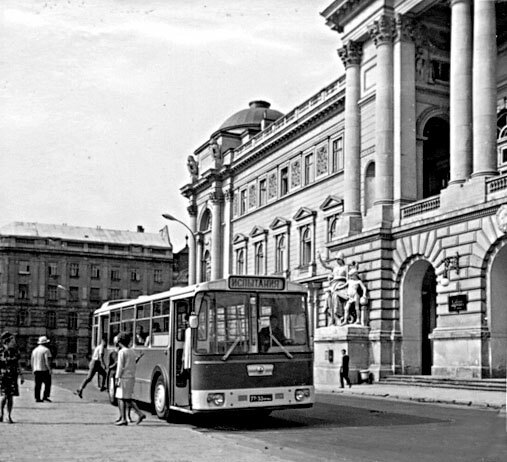 During the 1970s many new models were created such as the LAZ 699 and 697 which are both coach buses. 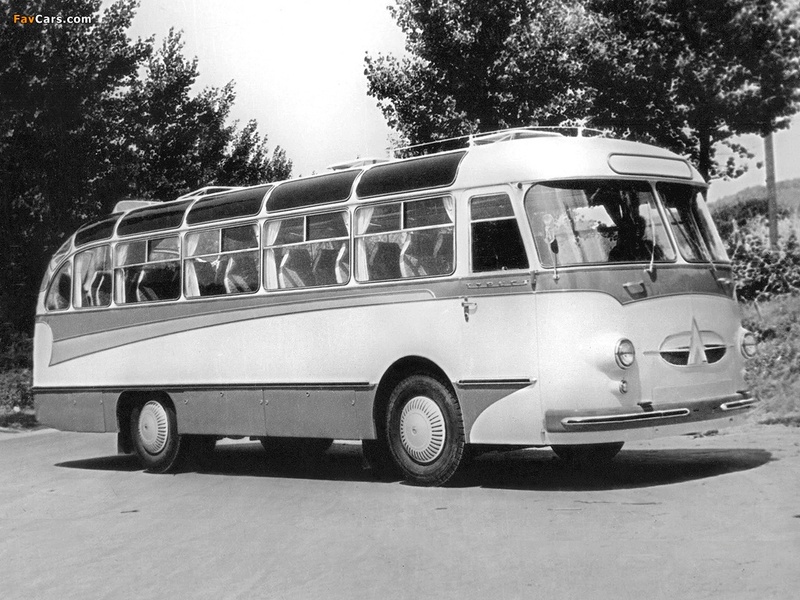 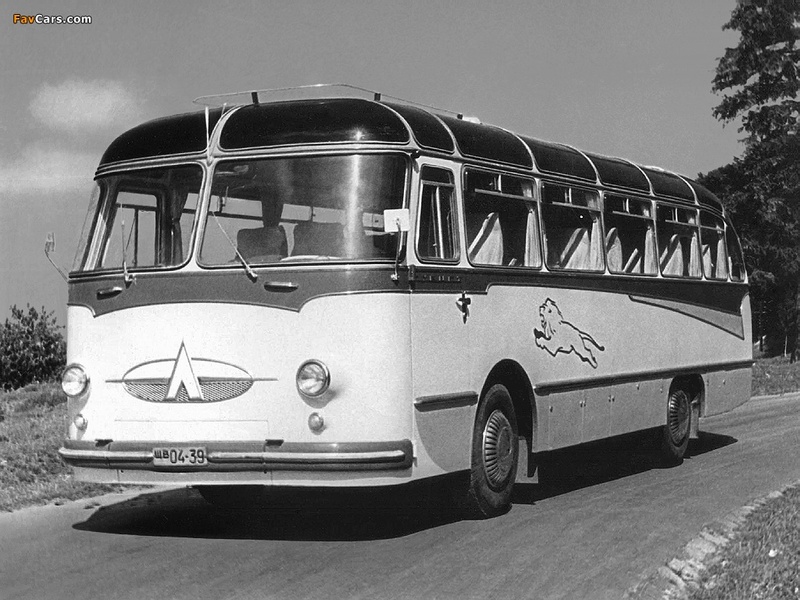 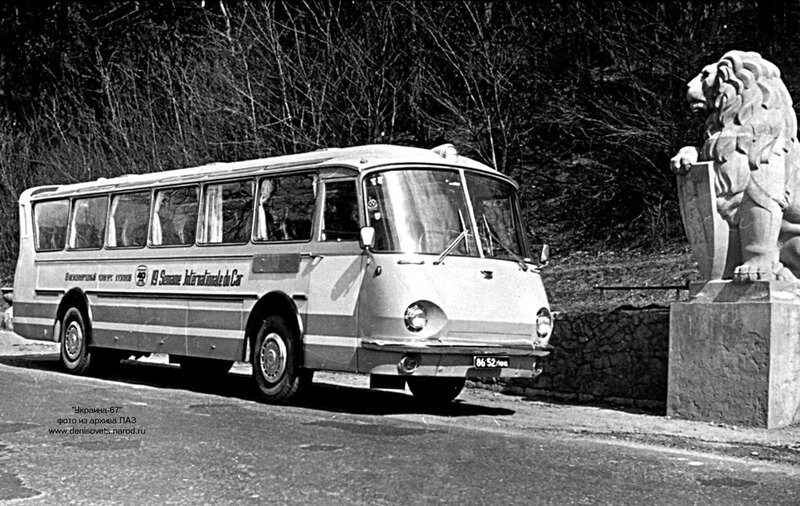 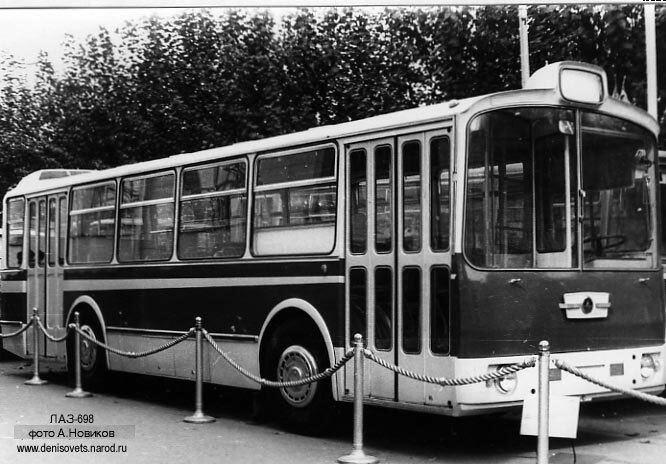 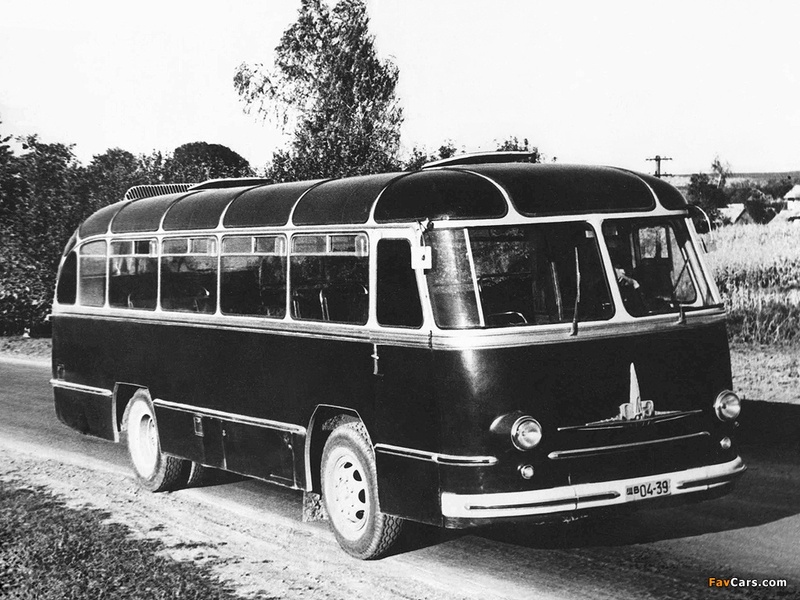 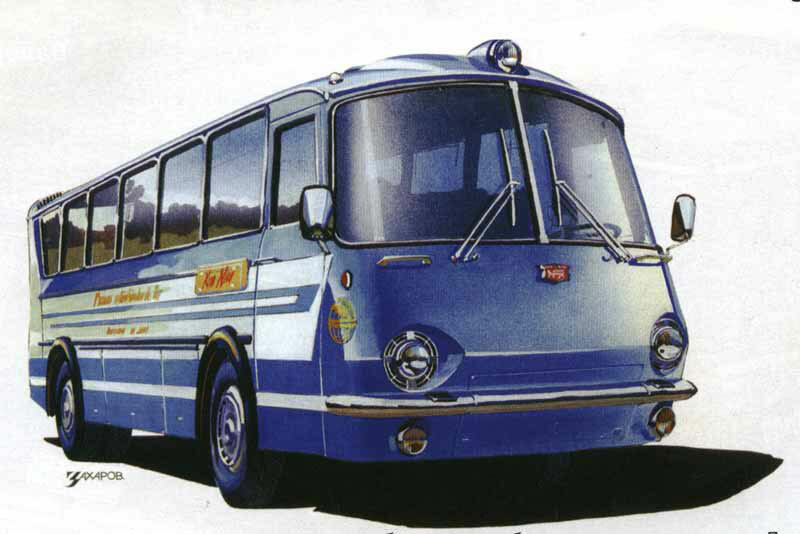 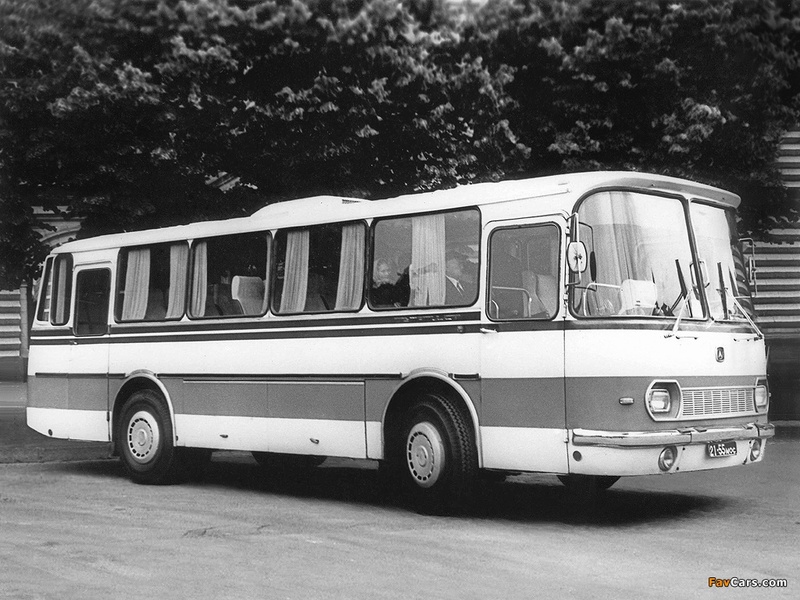 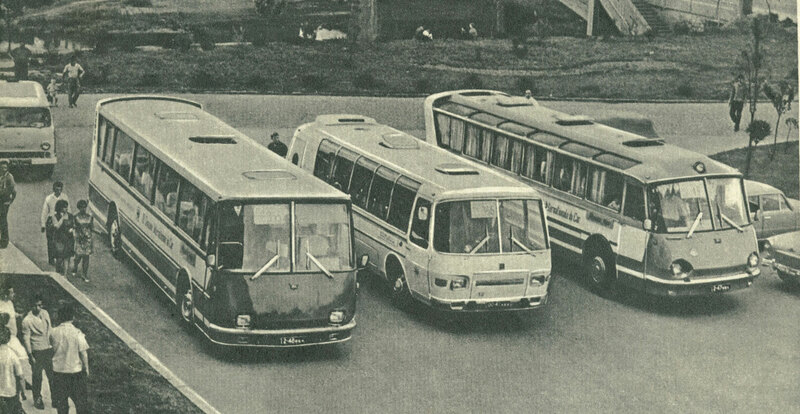 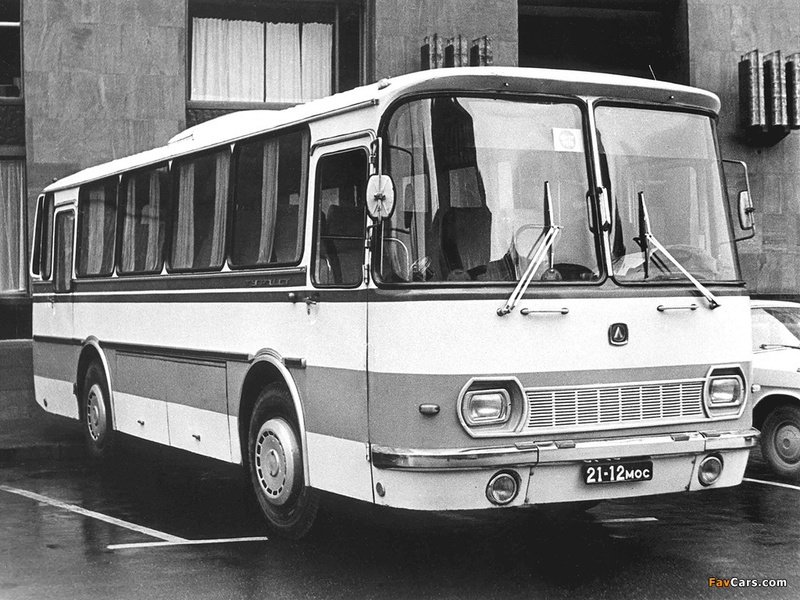 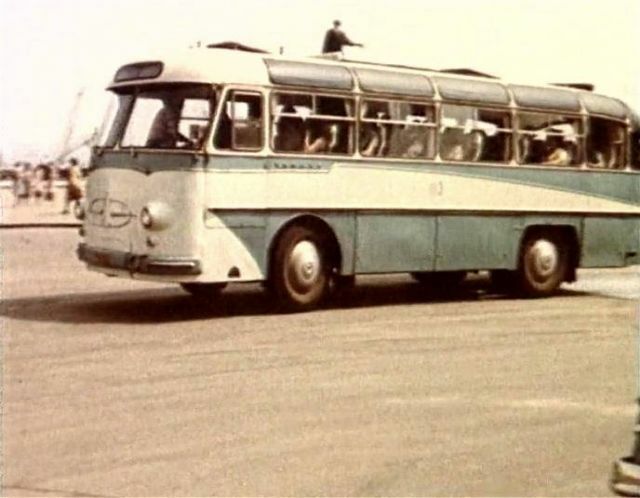 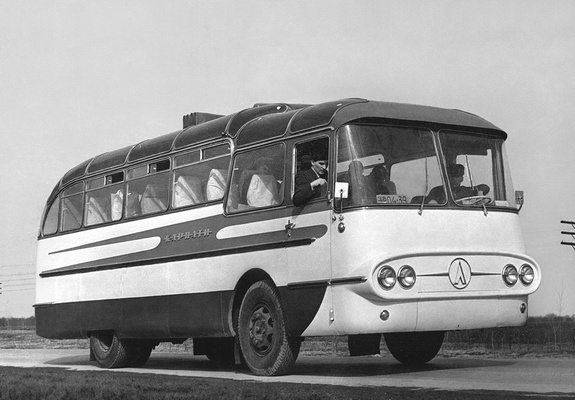 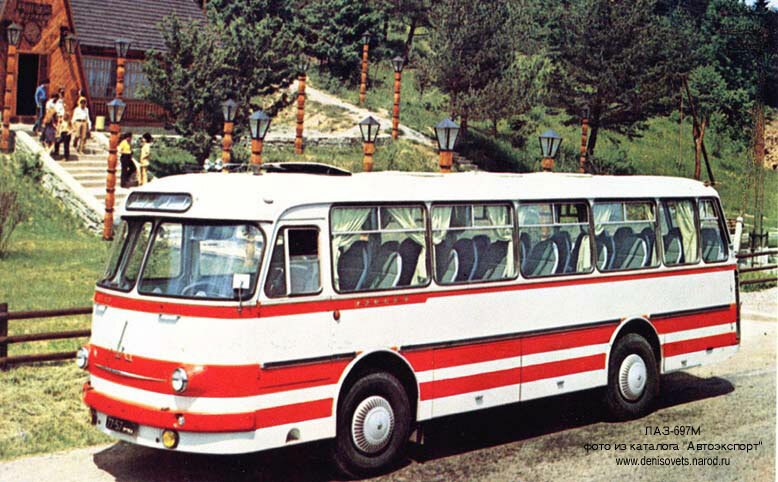 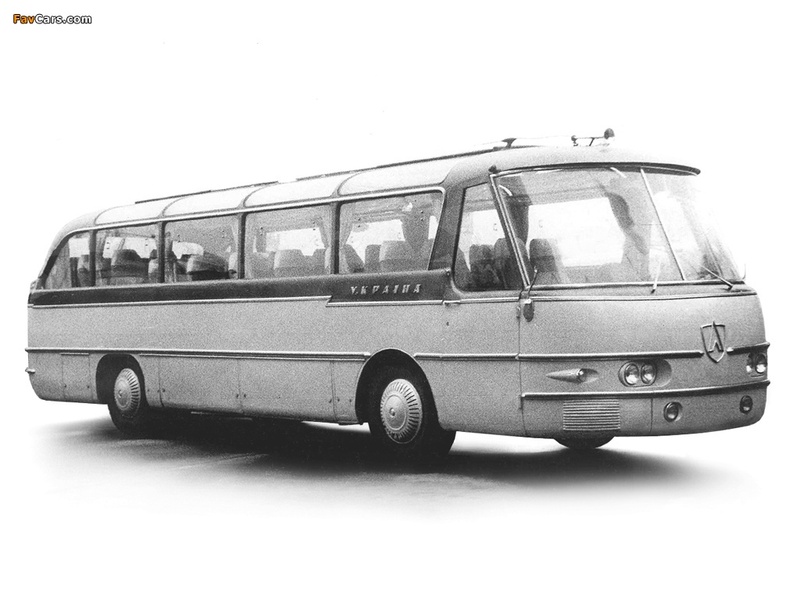 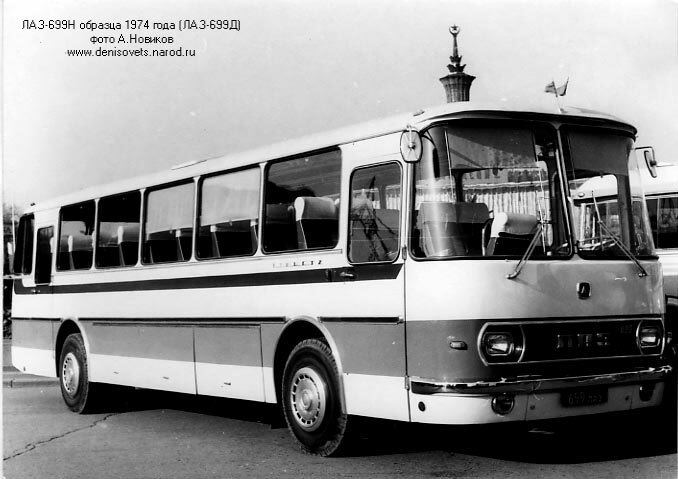 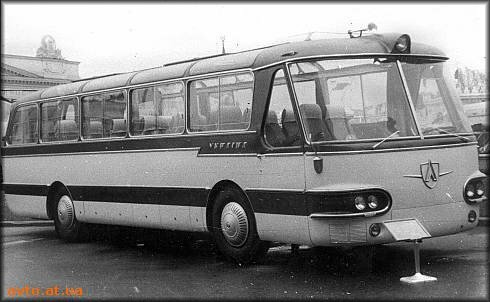 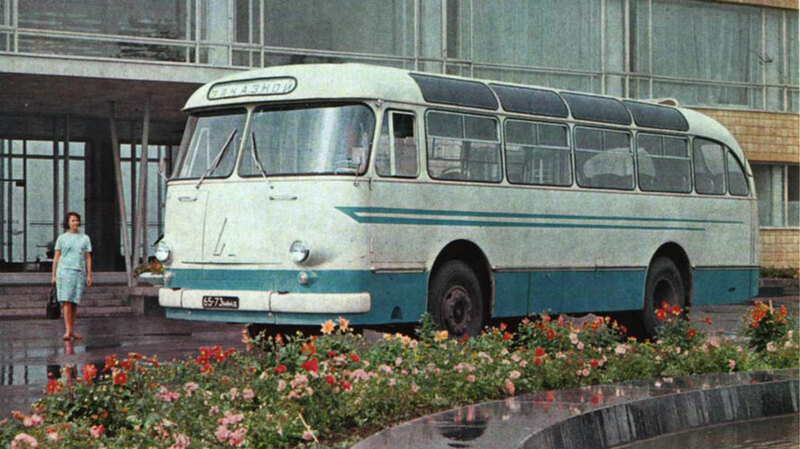 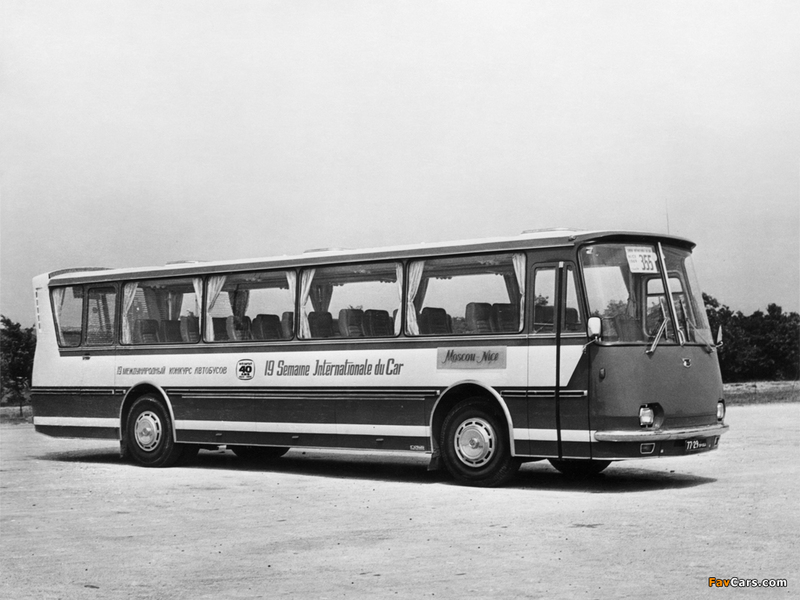 In 1967, LAZ won the best bus in Europe at the Brussels auto show. 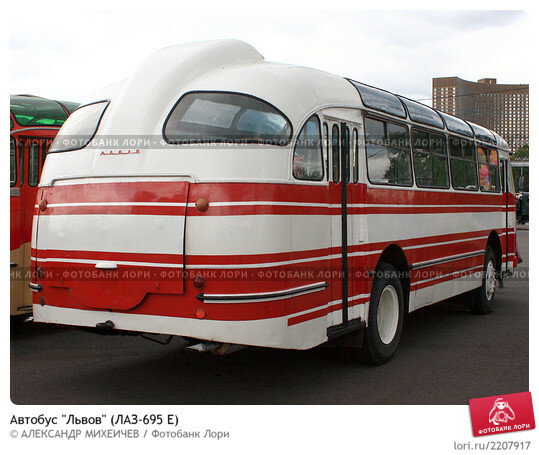 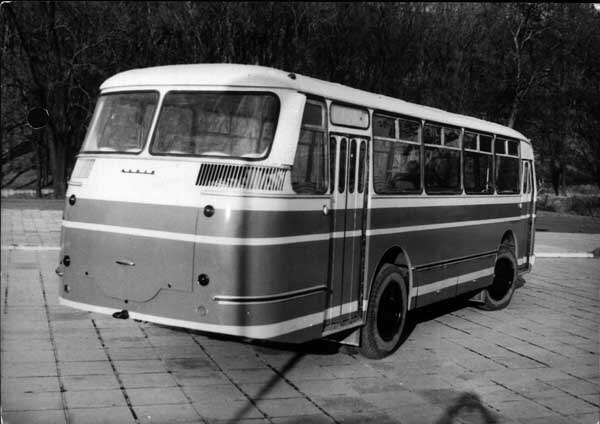 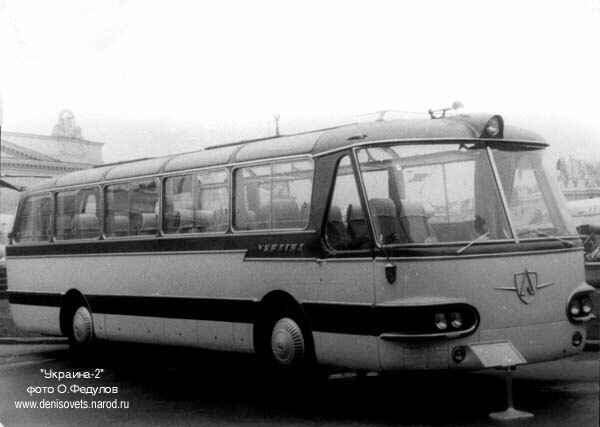 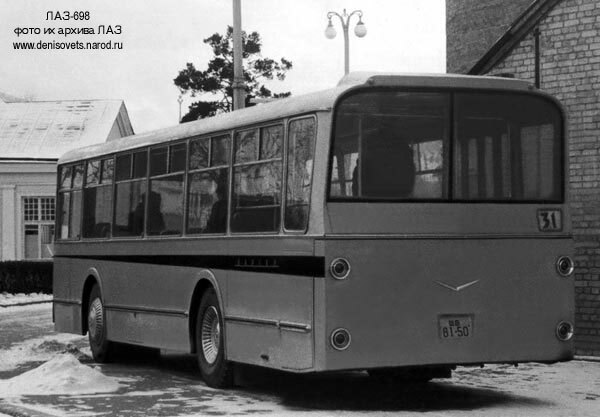 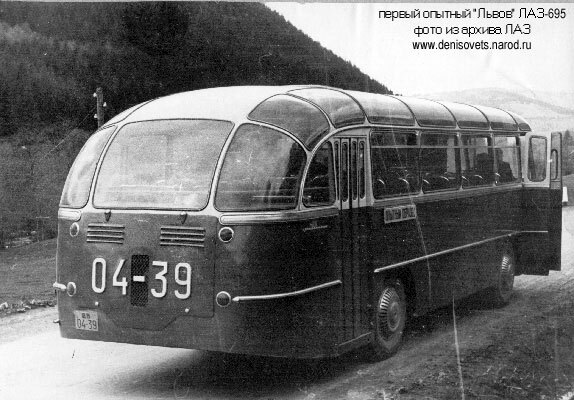 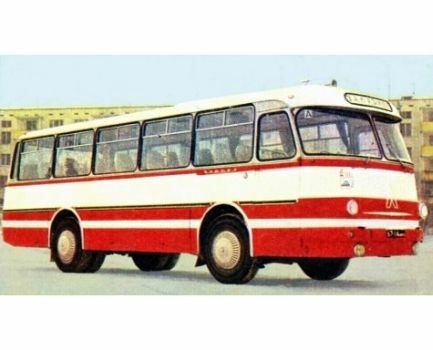 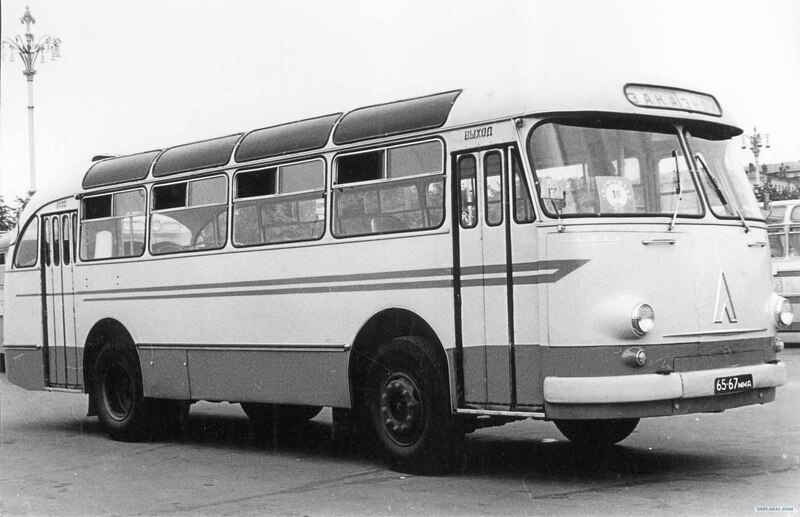 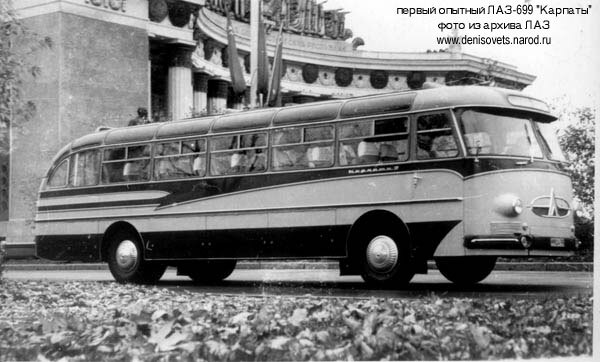 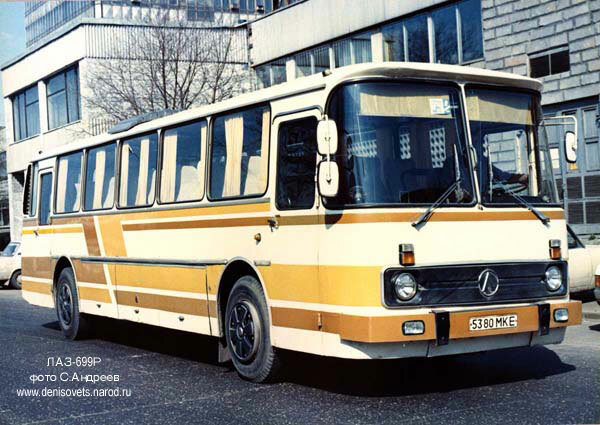 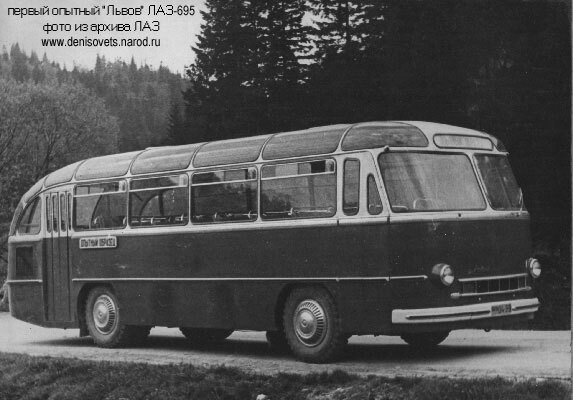 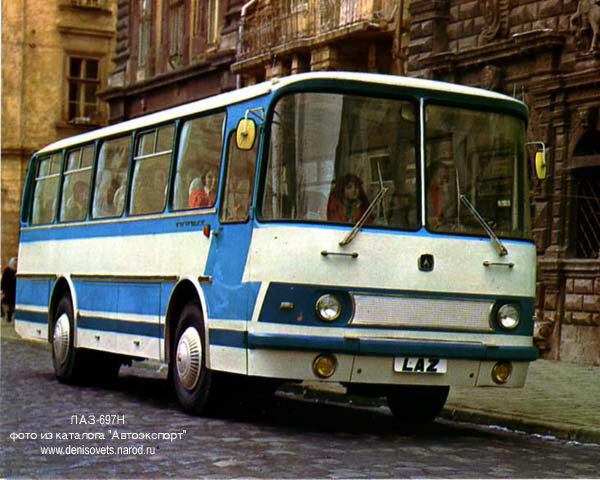 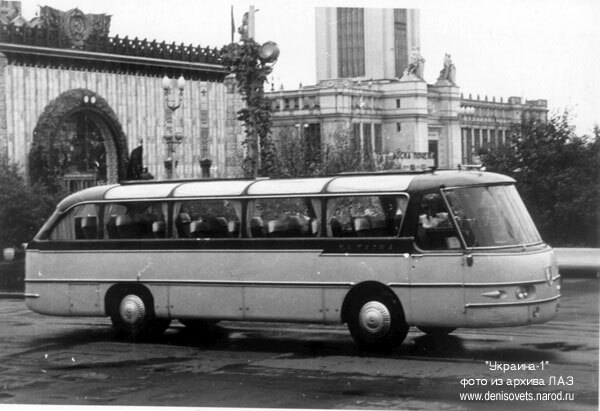 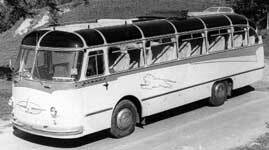 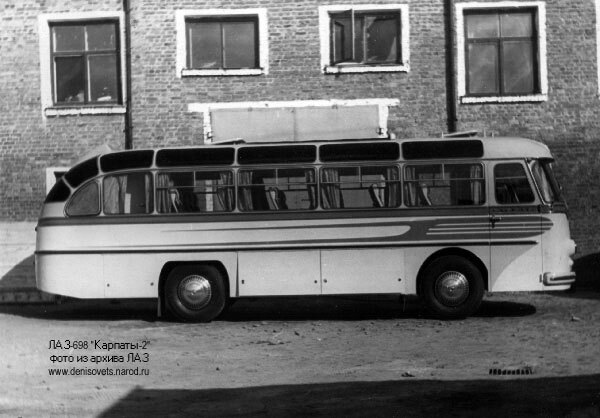 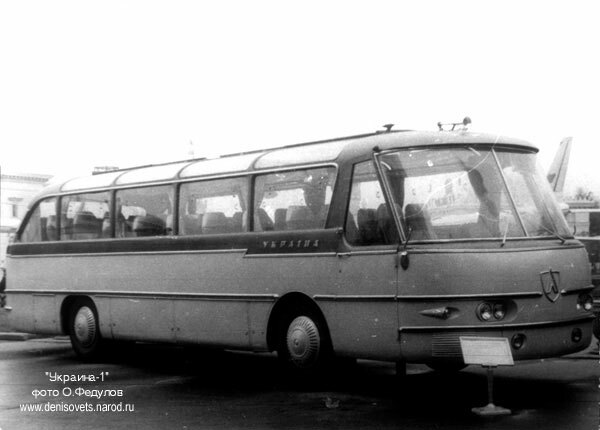 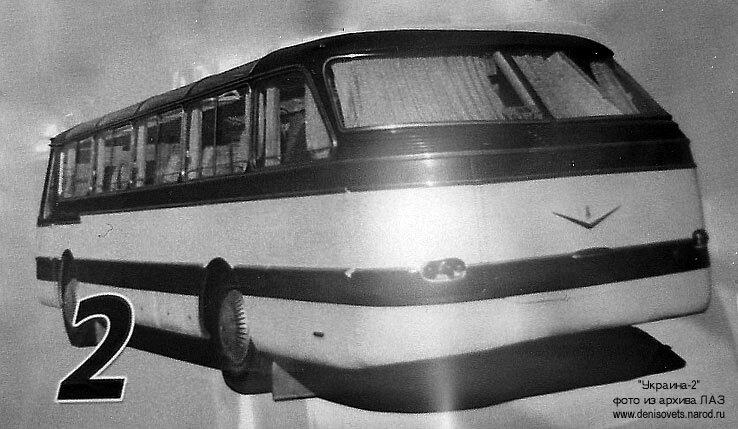 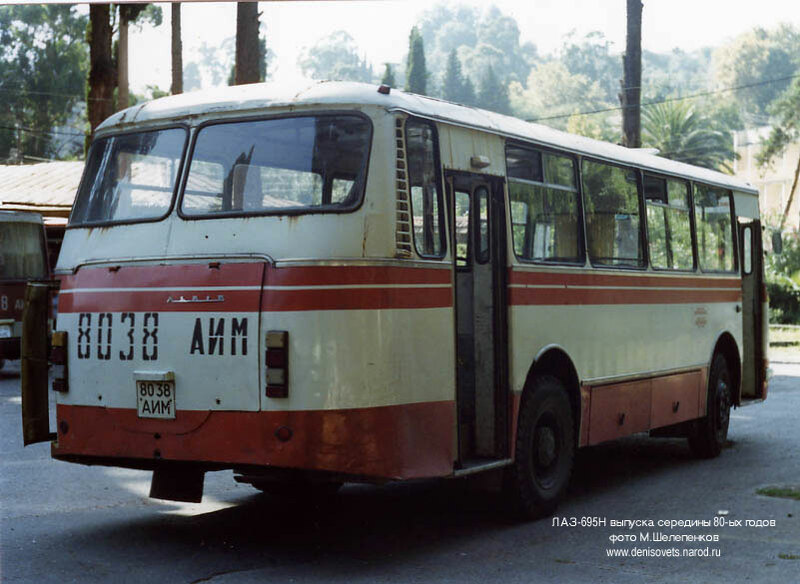 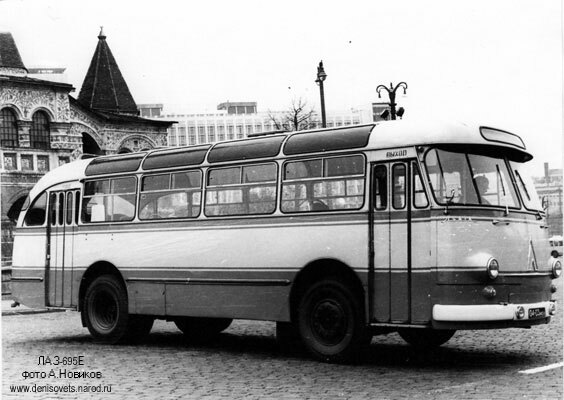 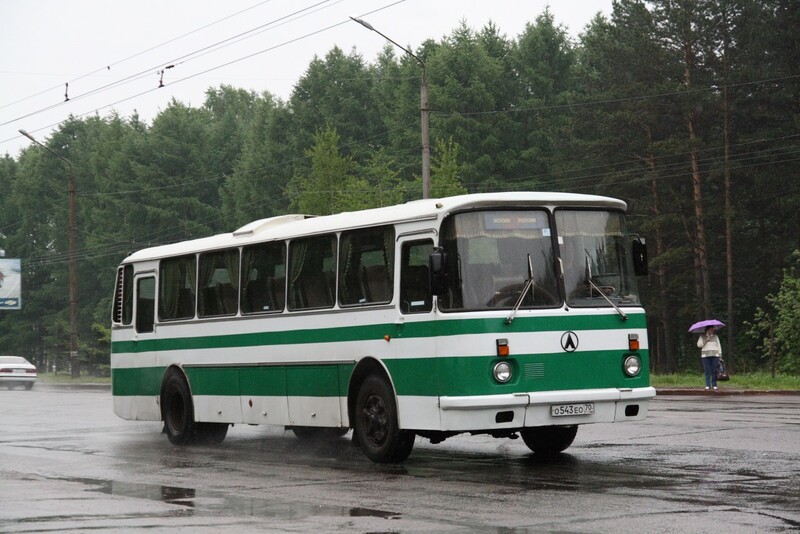 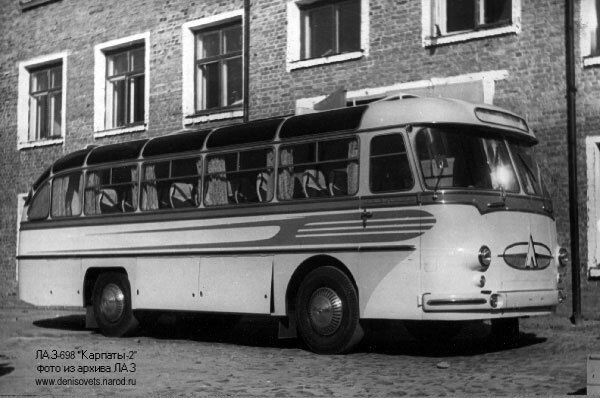 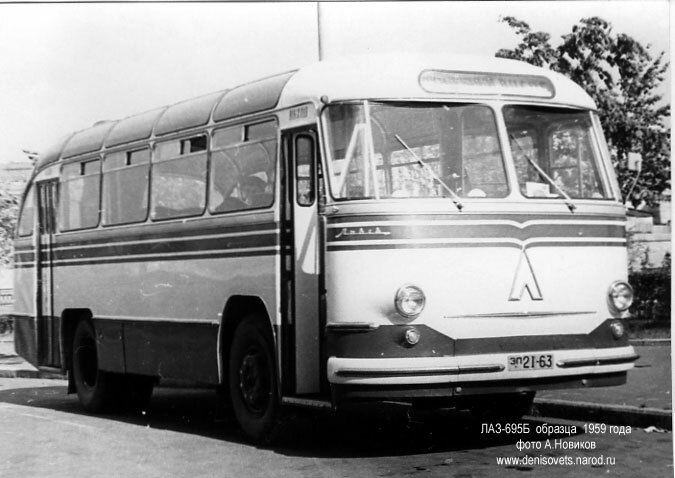 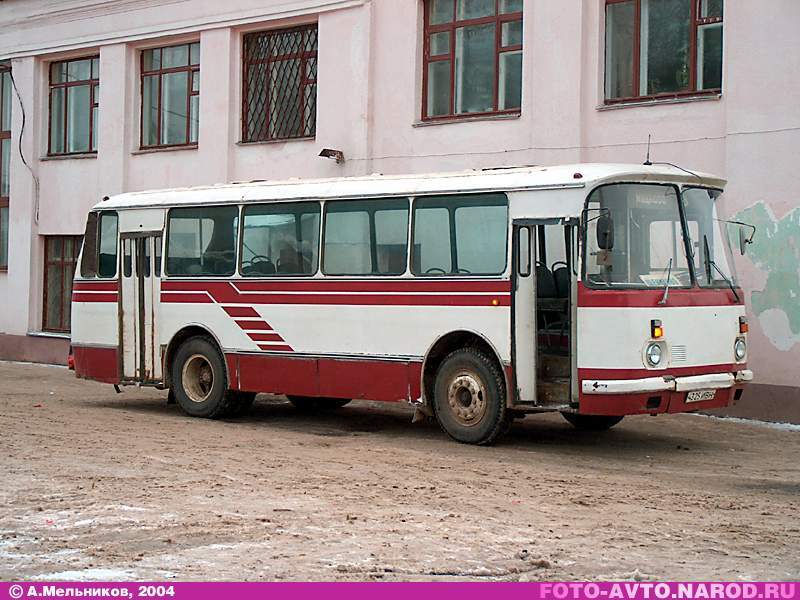 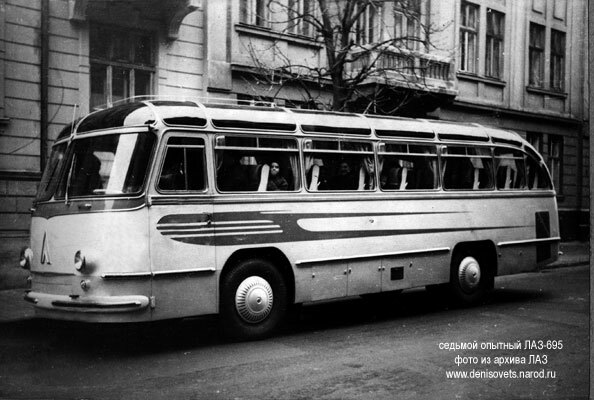 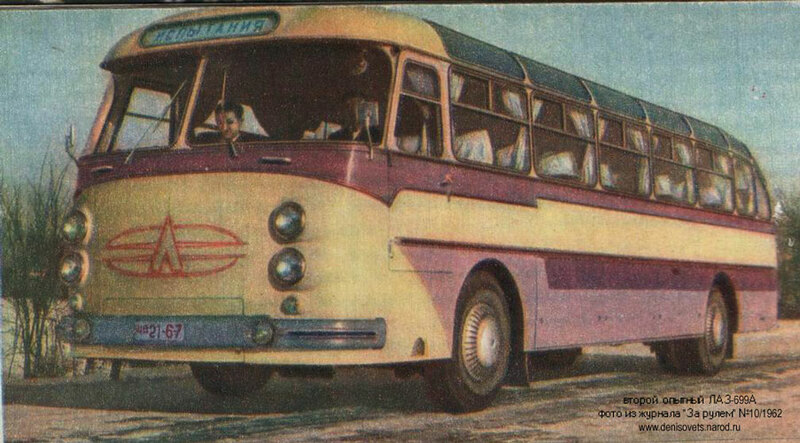 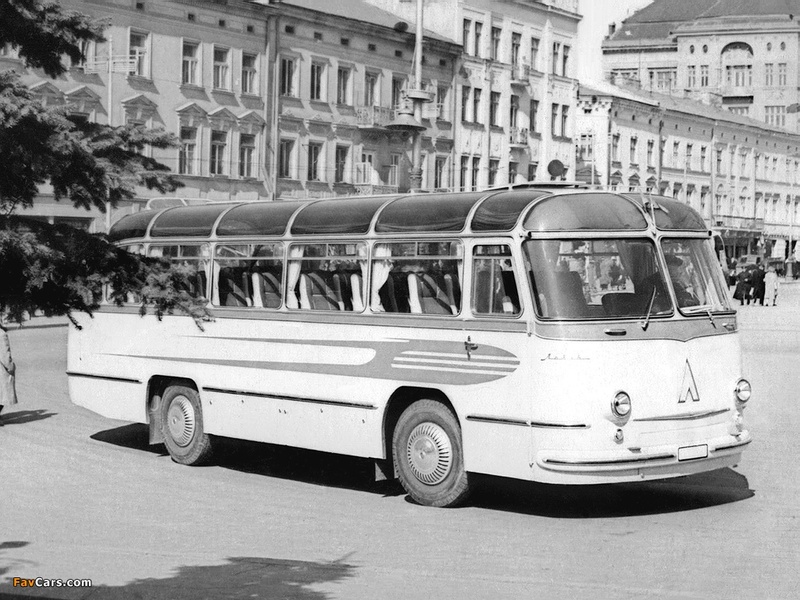 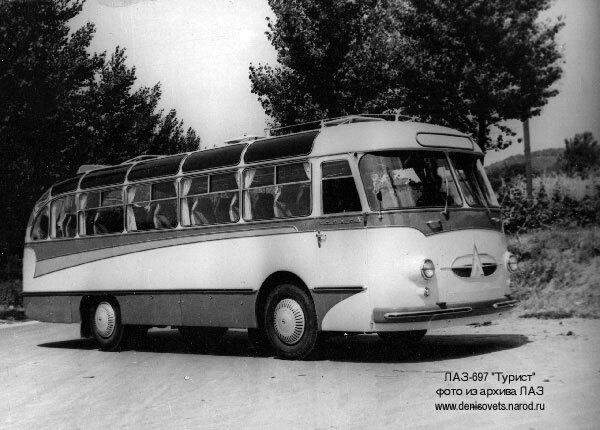 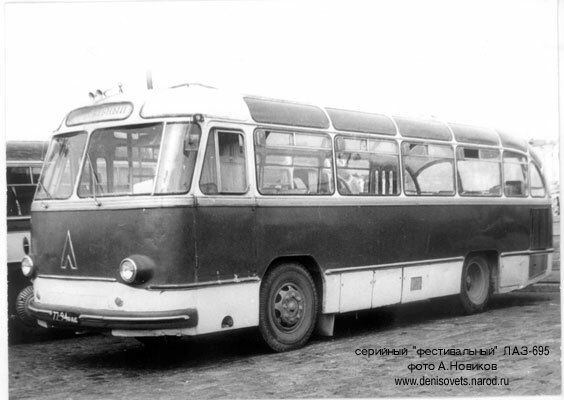 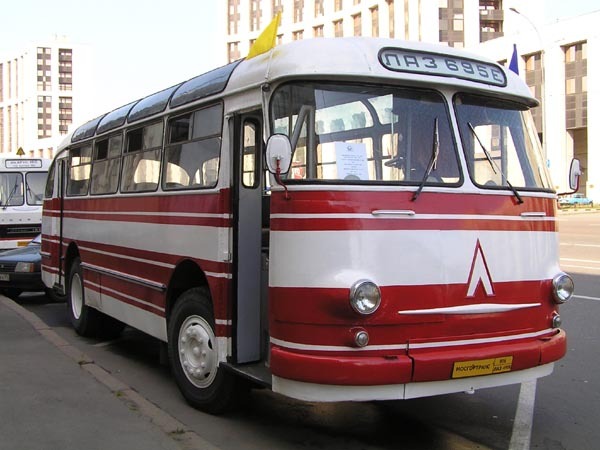 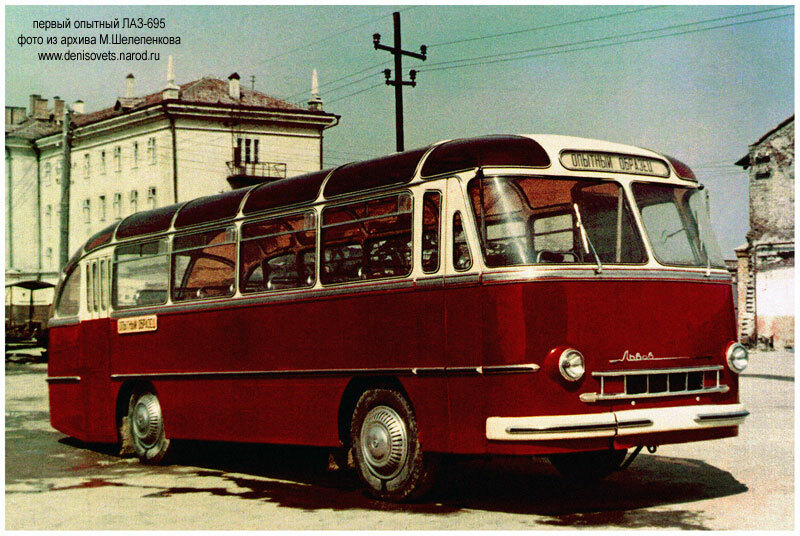 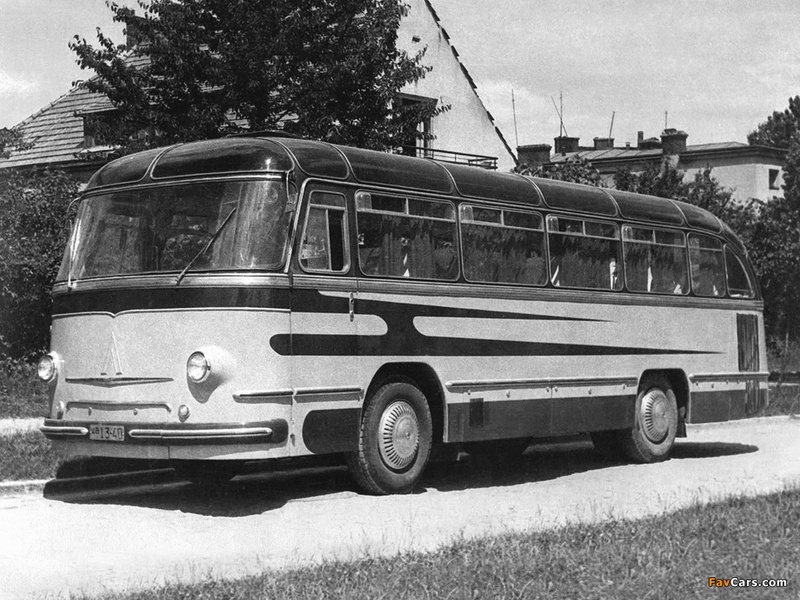 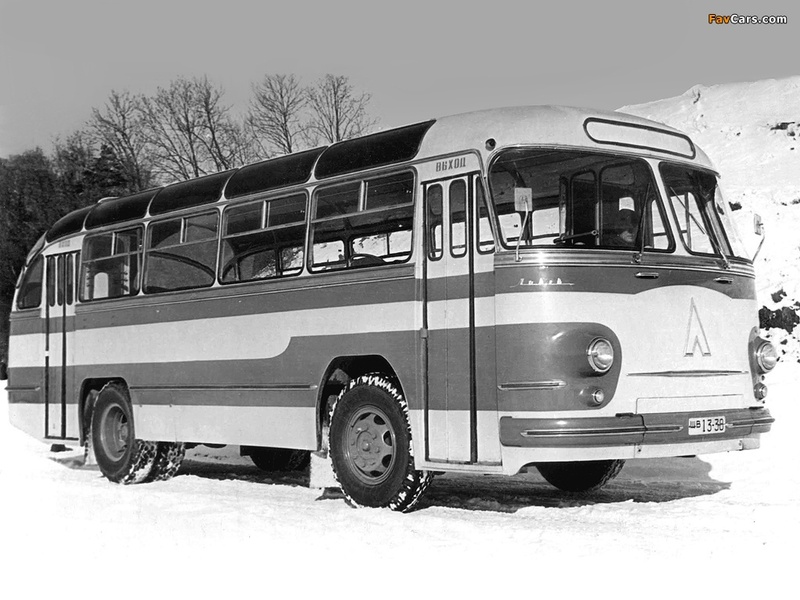 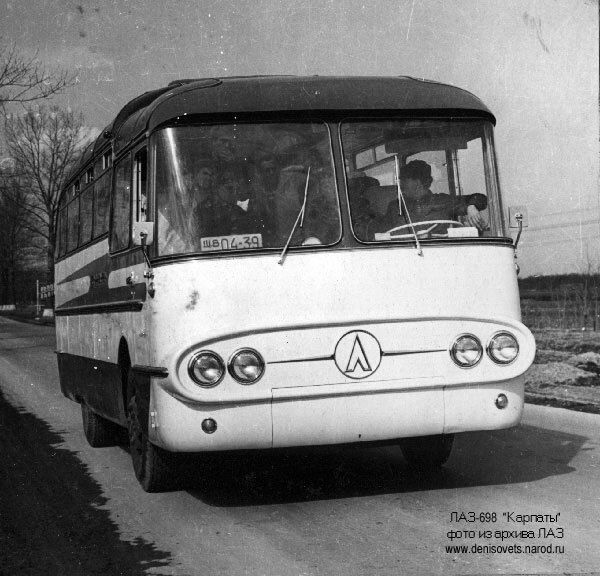 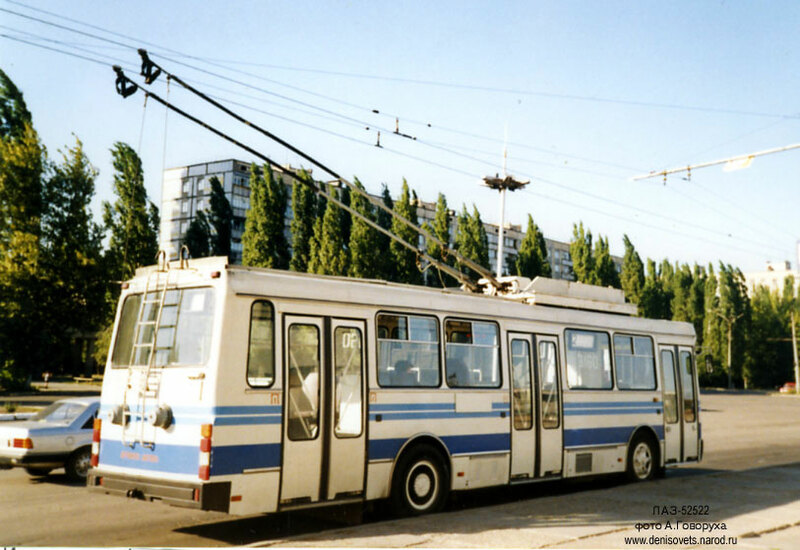 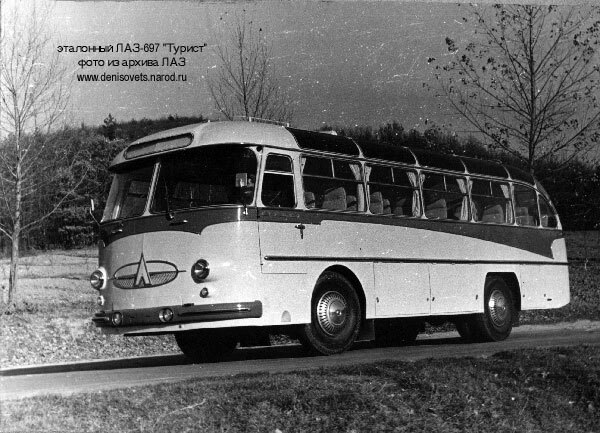 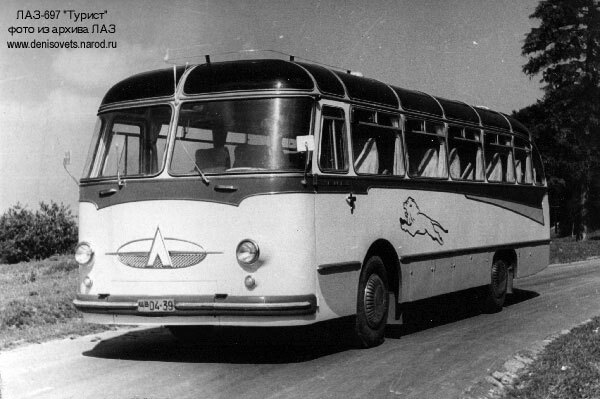 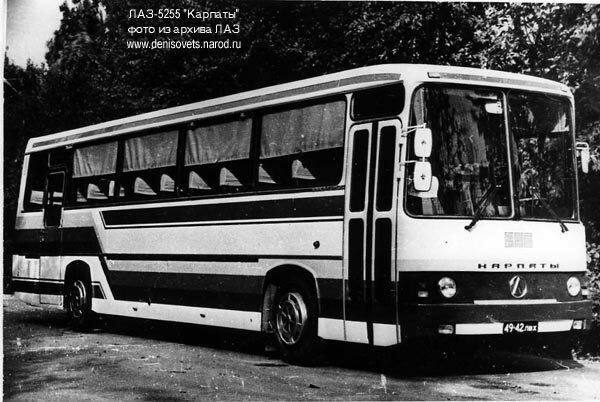 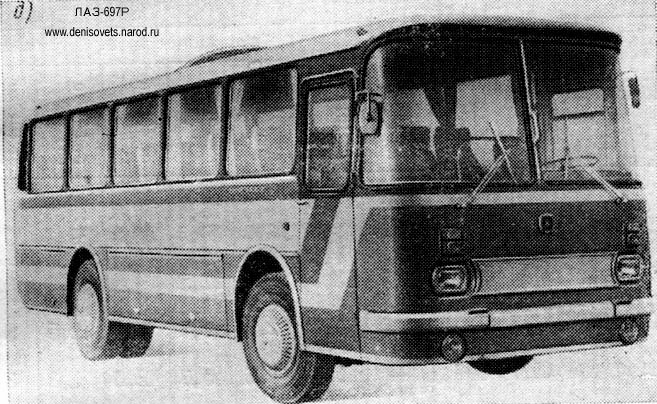 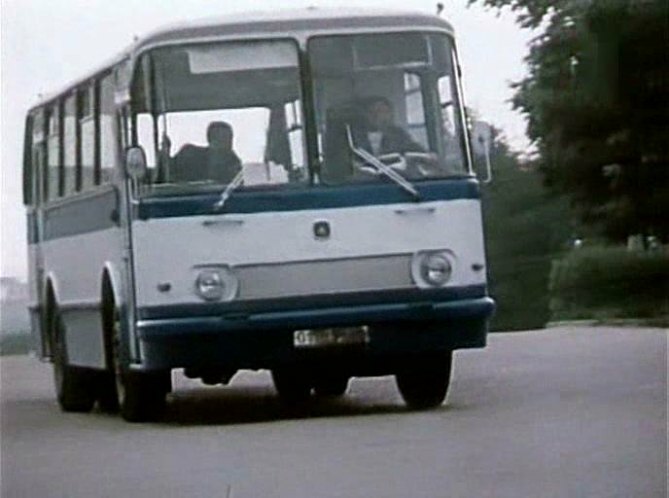 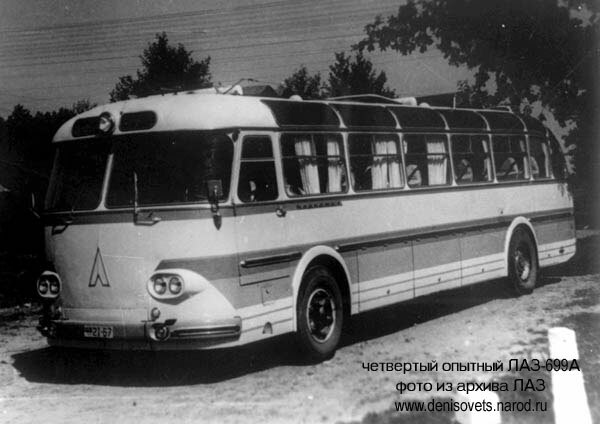 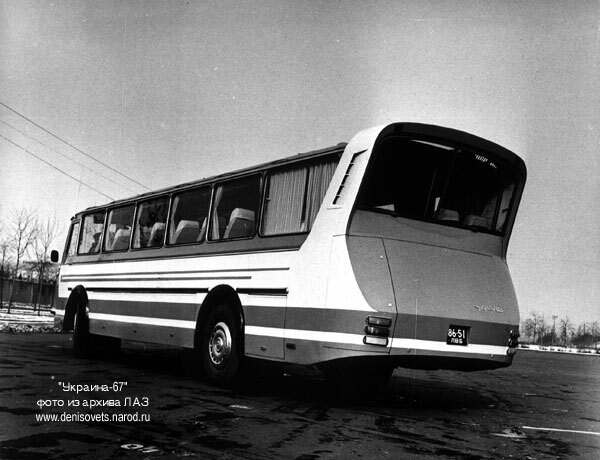 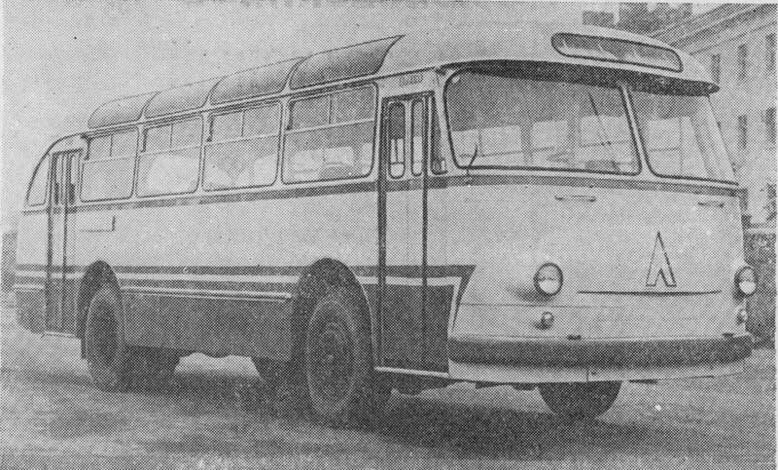 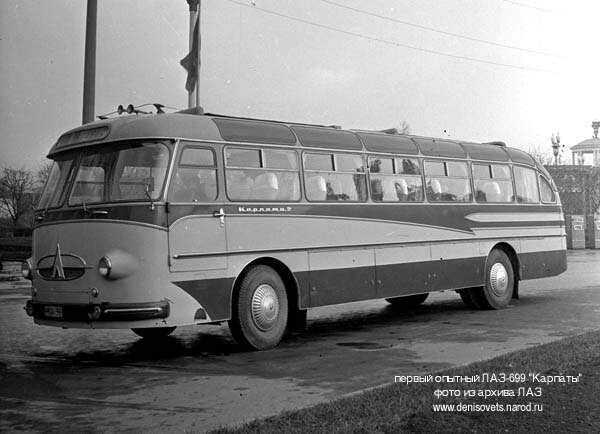 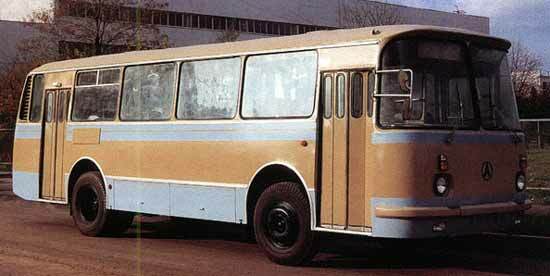 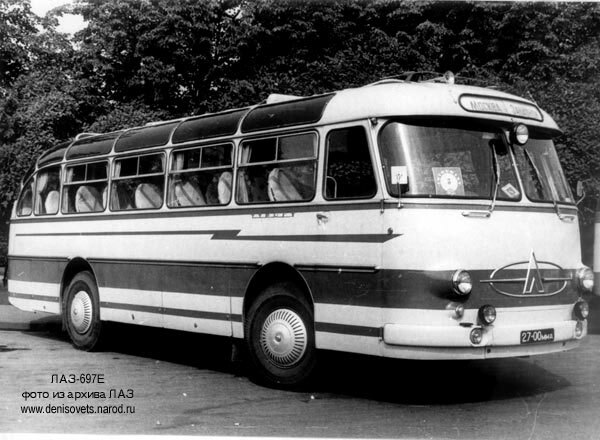 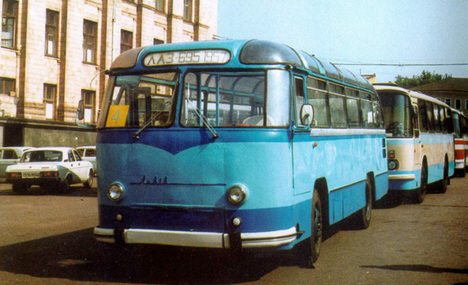 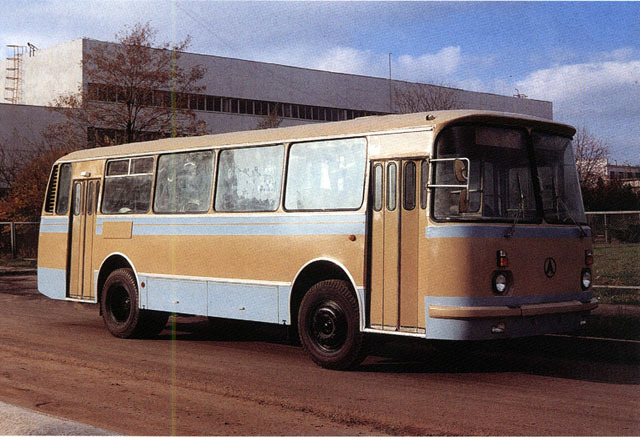 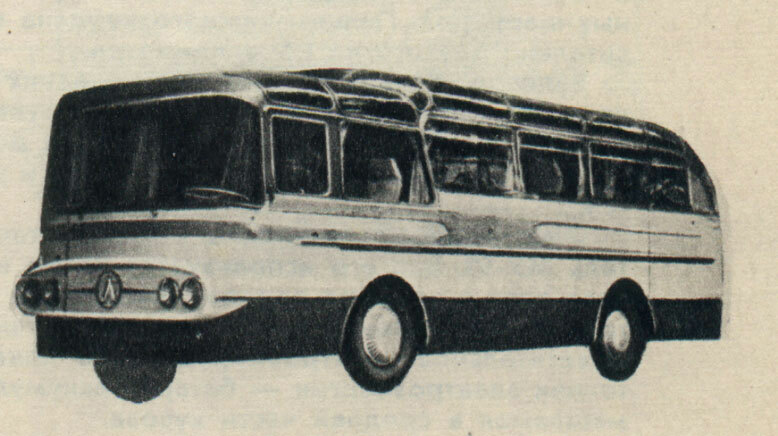 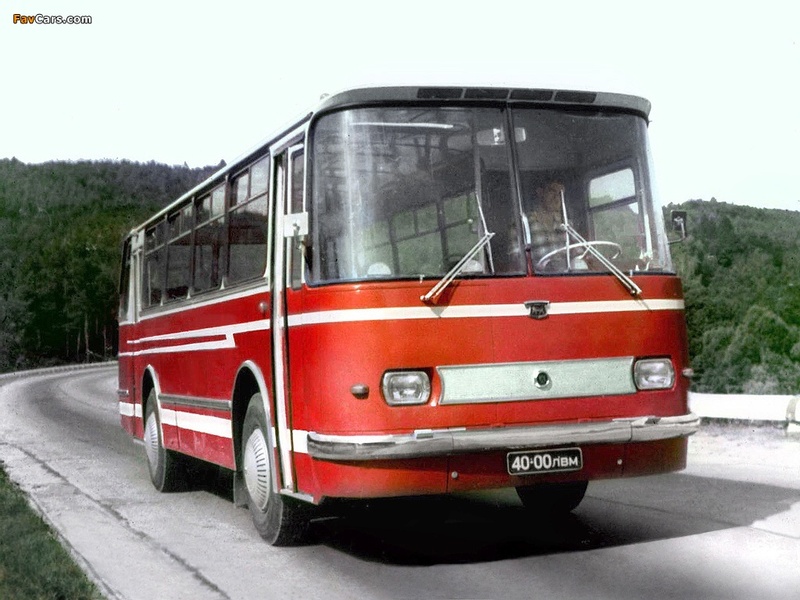 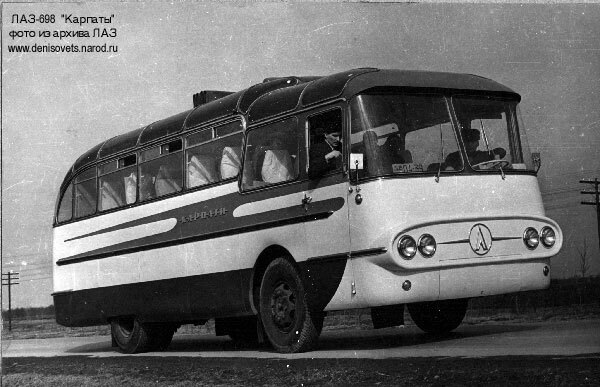 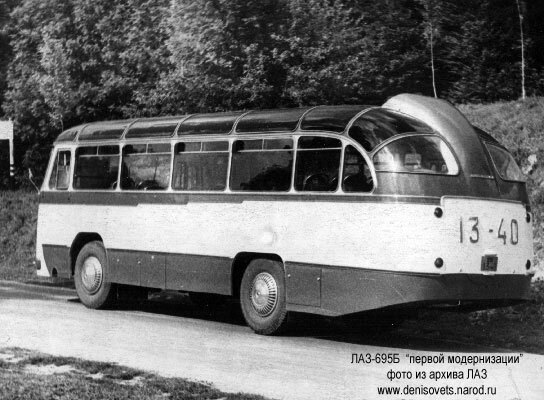 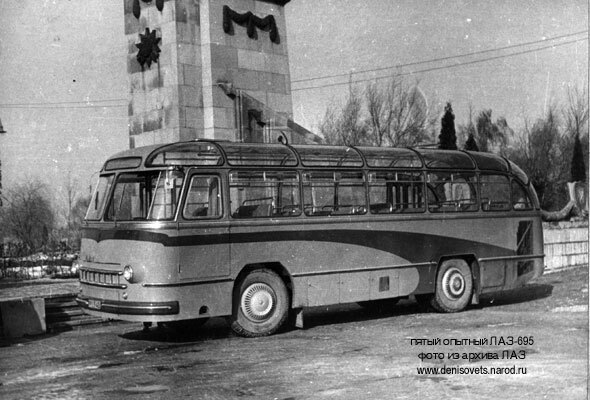 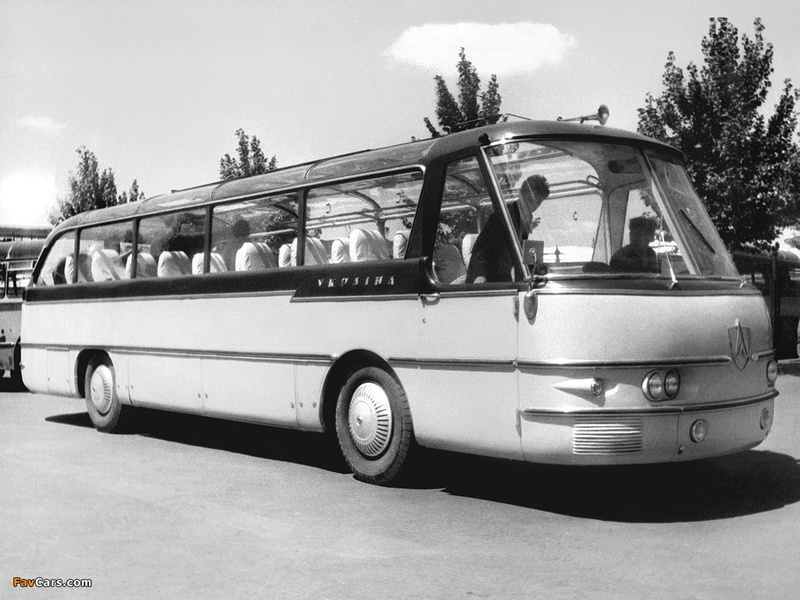 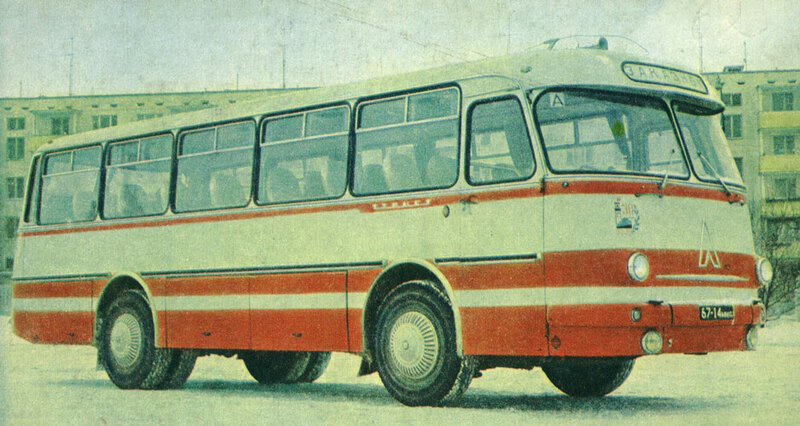 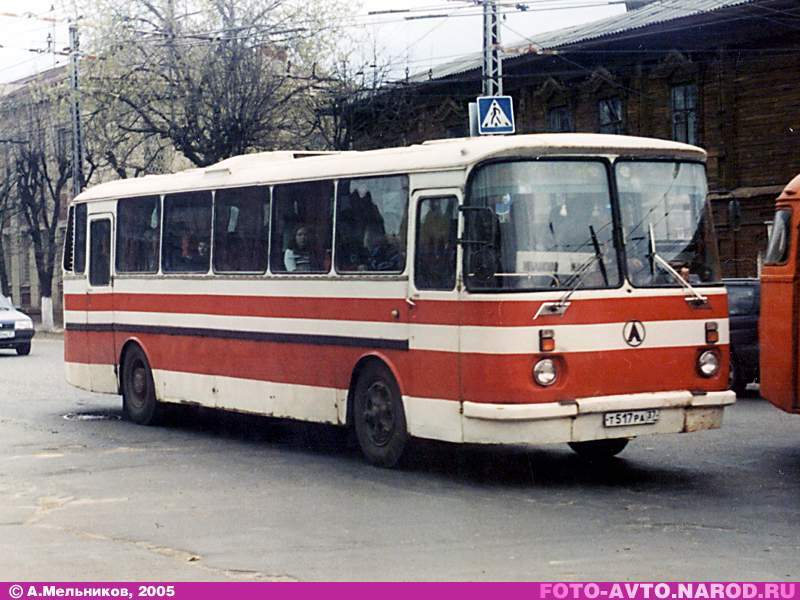 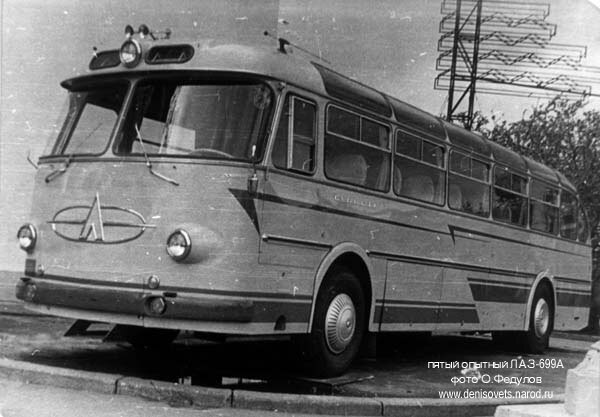 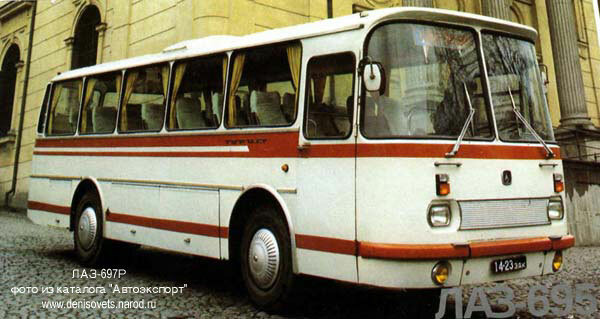 LAZ was the first ever to create the low floor bus in 1963 called the LAZ 360 designed by Nami USSR. 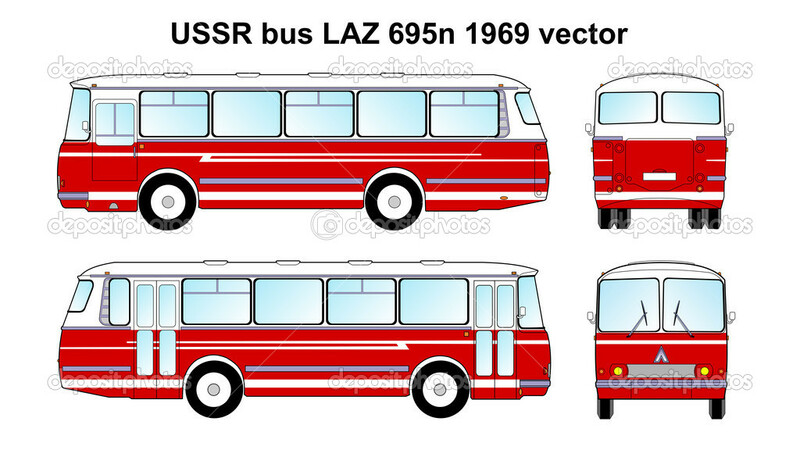 After the Soviet Union collapsed in 1991, LAZ suffered a big meltdown economically due to the loss of funding. 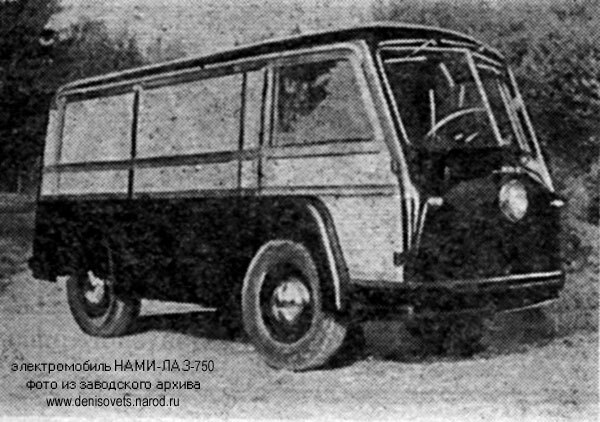 Production stopped due to no orders. 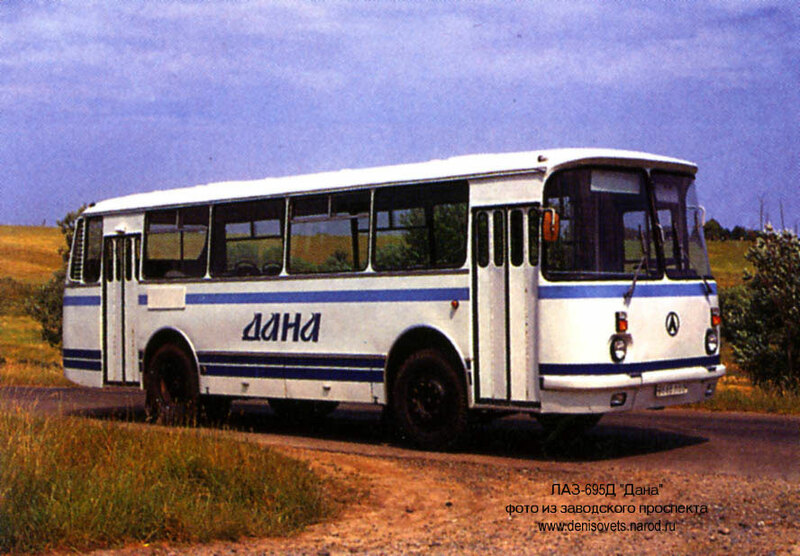 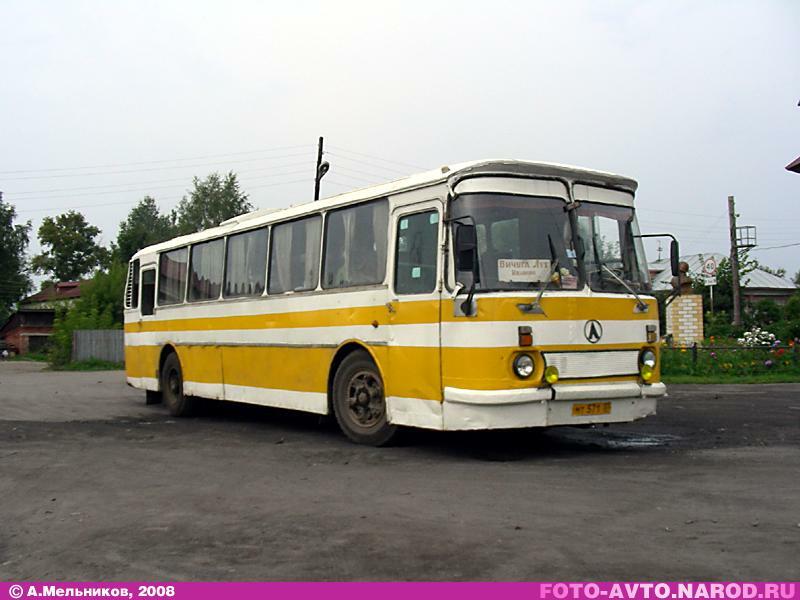 After the economy started to pick up, LAZ started to produce buses again. 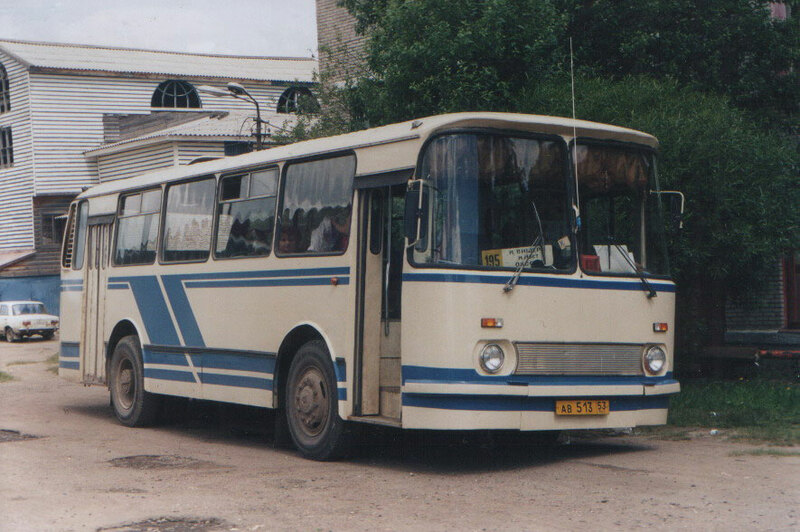 The LAZ 52523 was created. 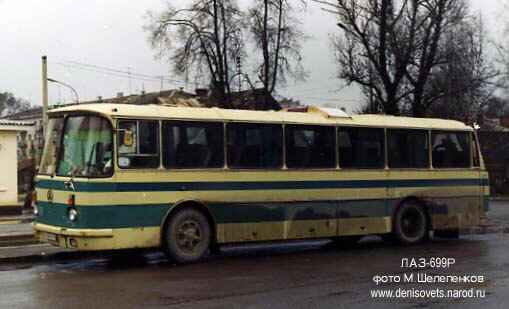 In 2001, LAZ was sold to Russian business tycoon Igor Churkin. 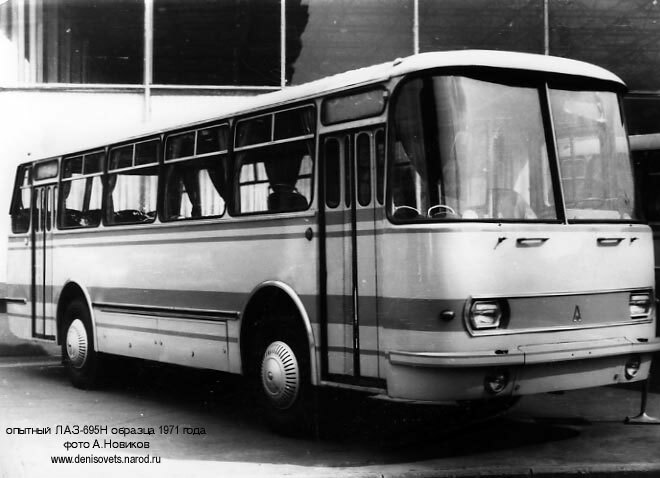 After the sale of the company, the whole line of production was re engineered to produce new buses which exceeded world standards in safety, looks, quality, and price.